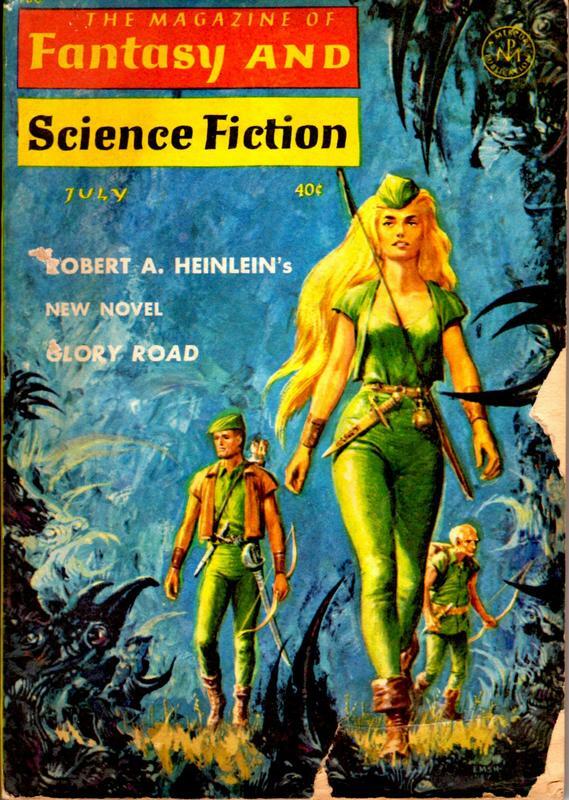 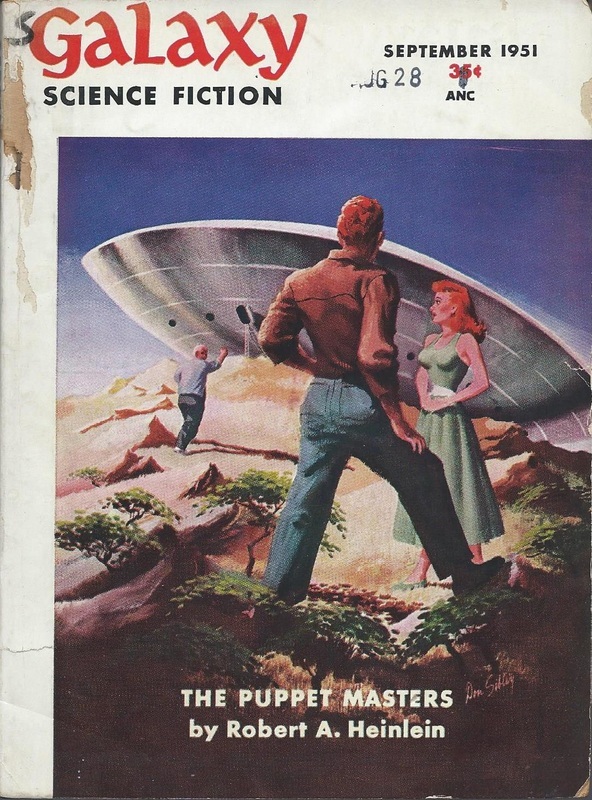 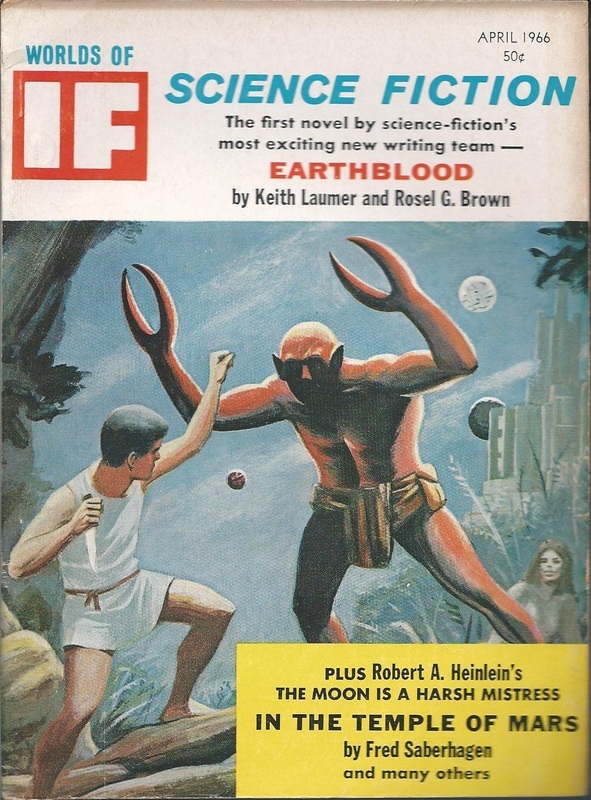 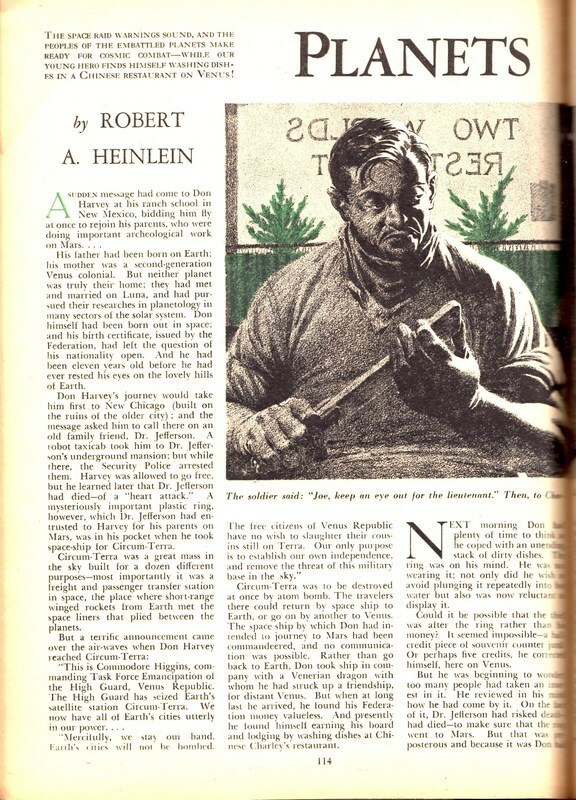 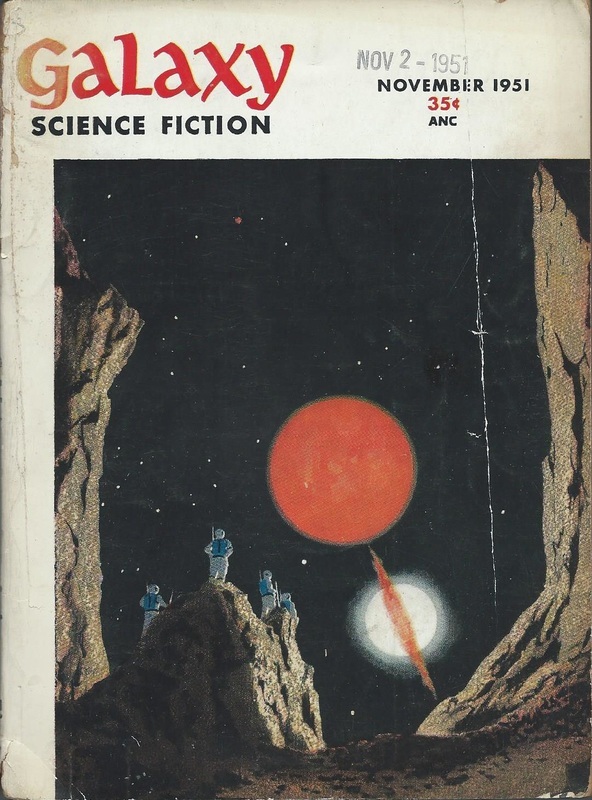 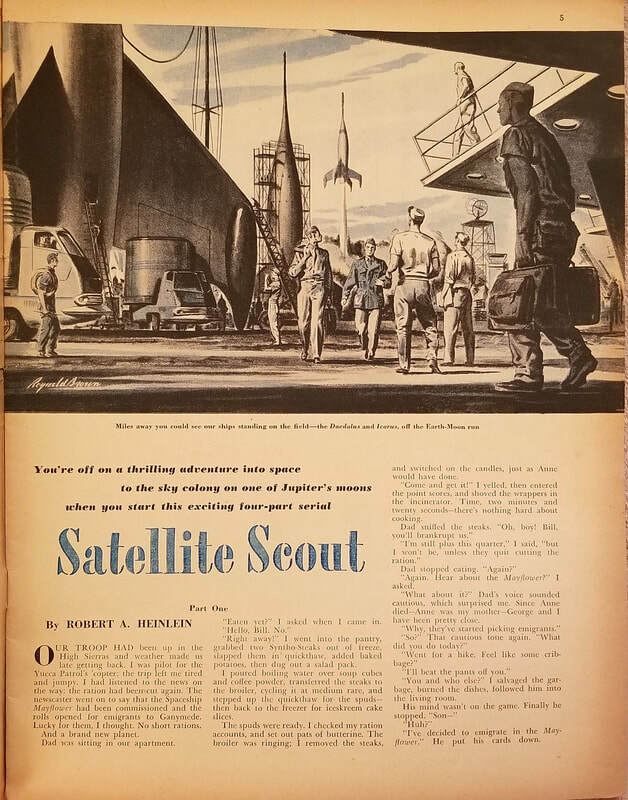 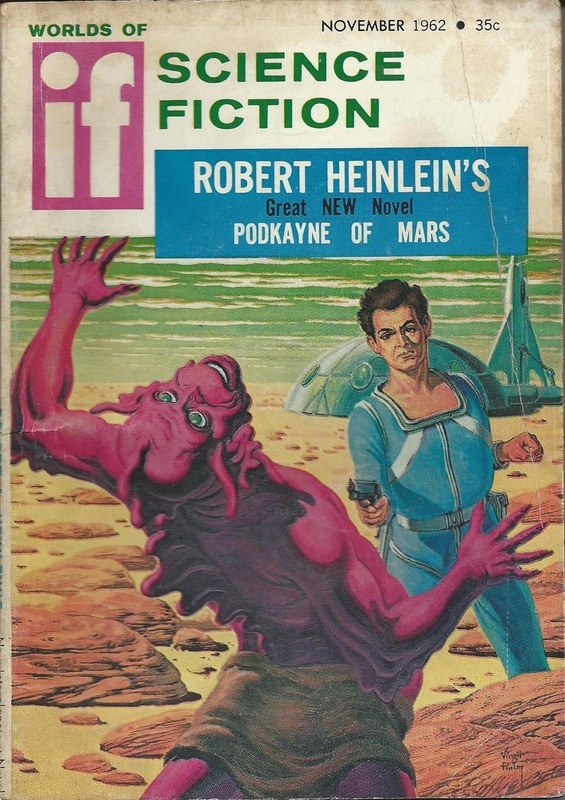 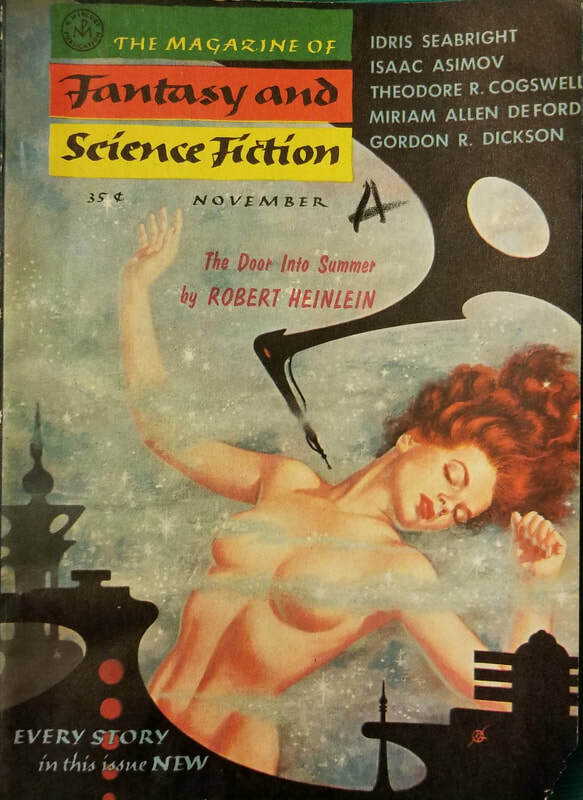 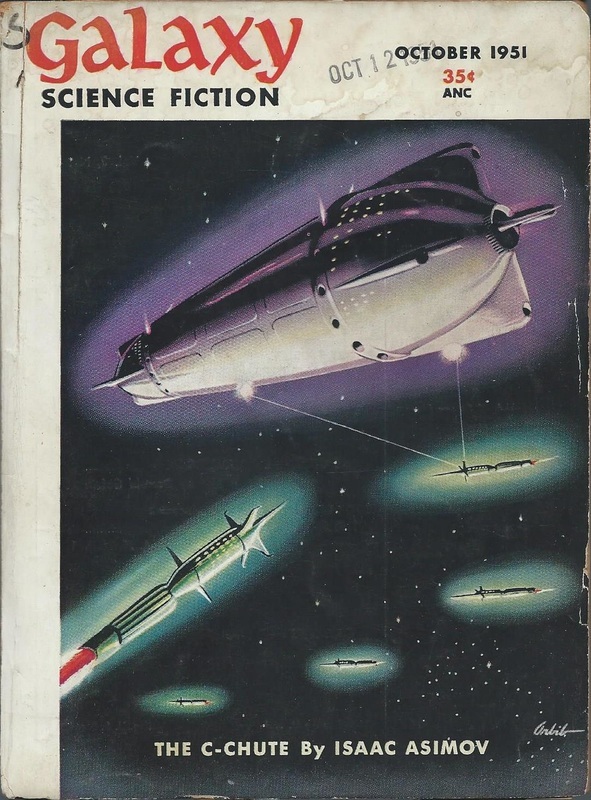 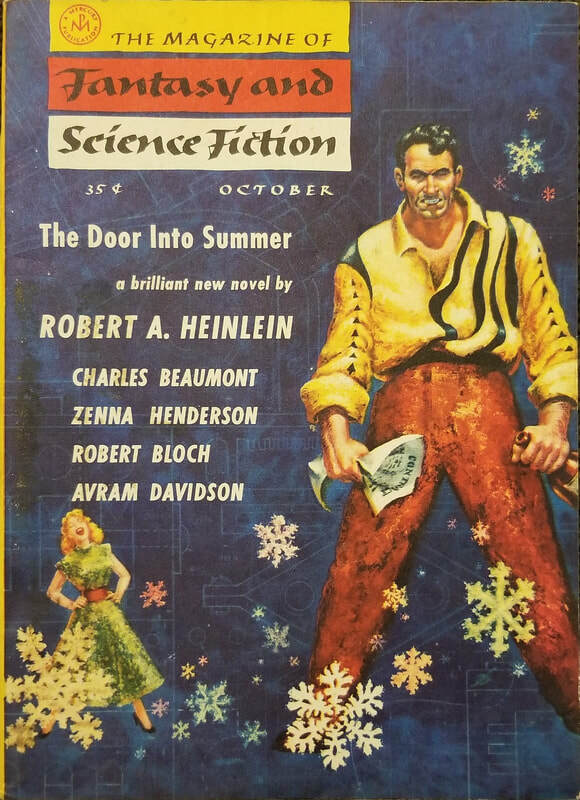 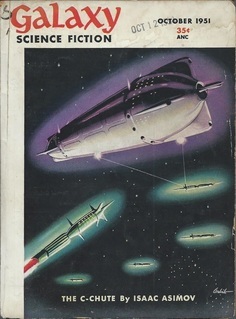 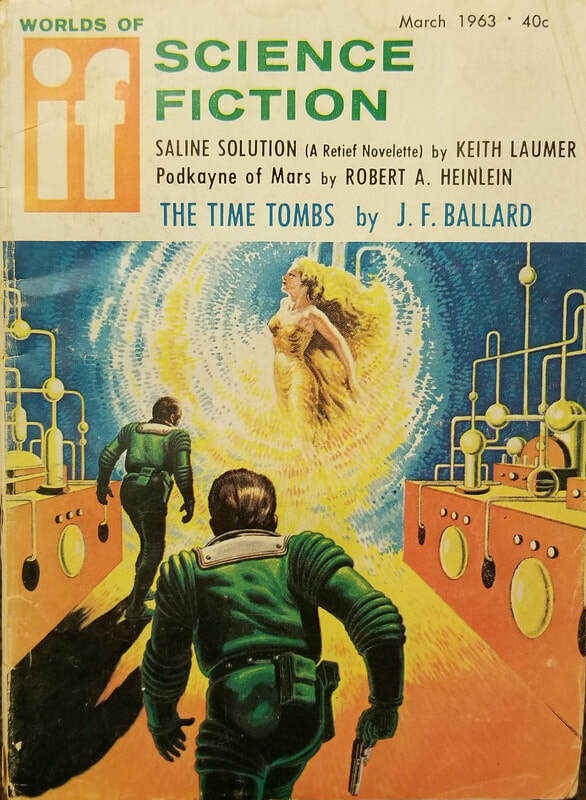 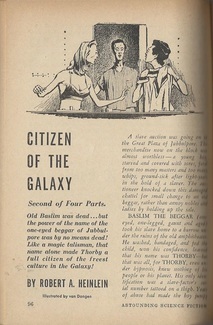 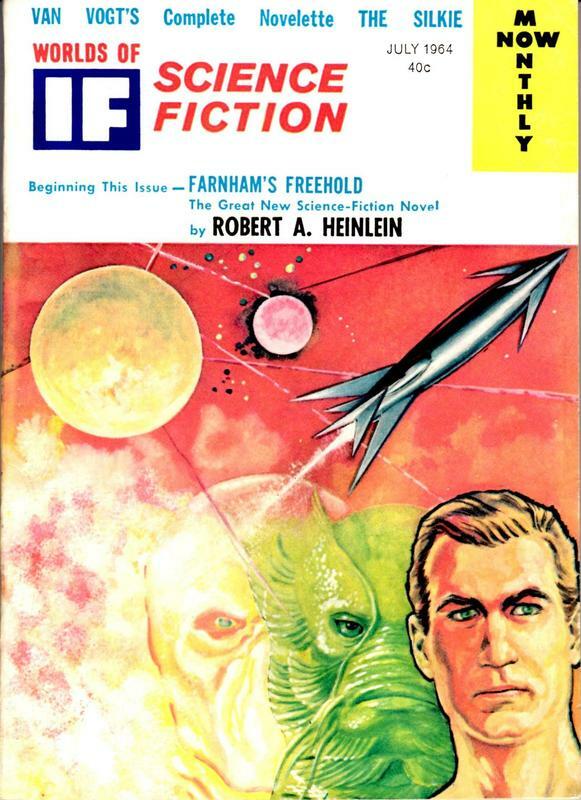 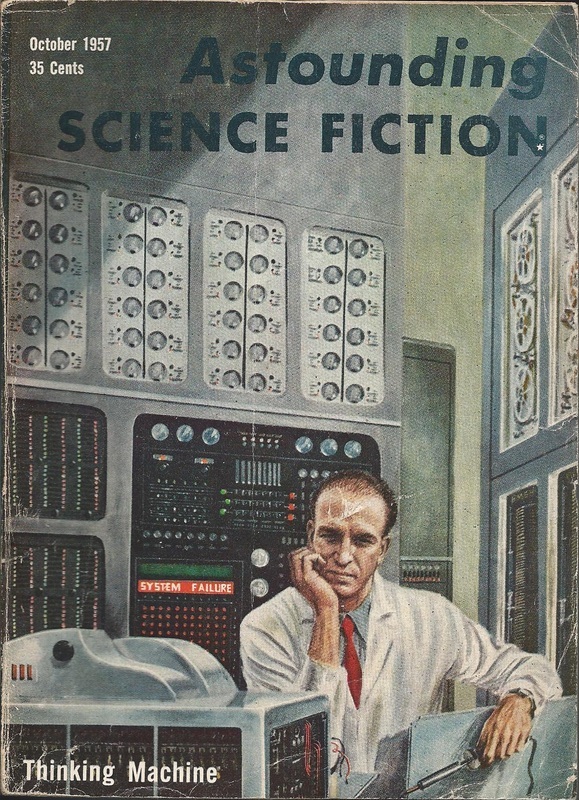 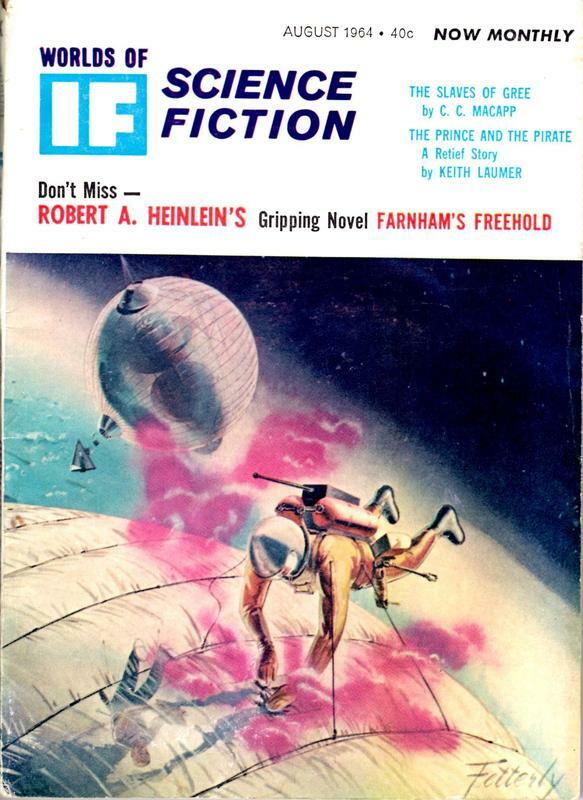 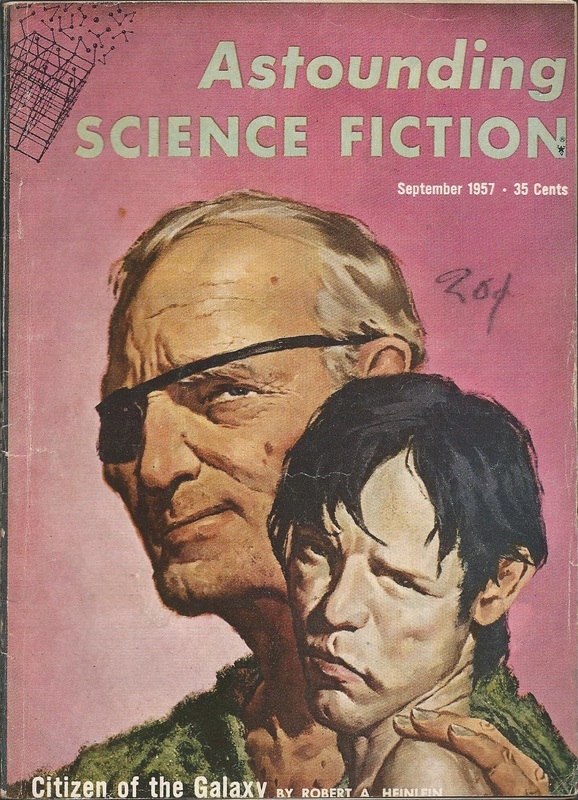 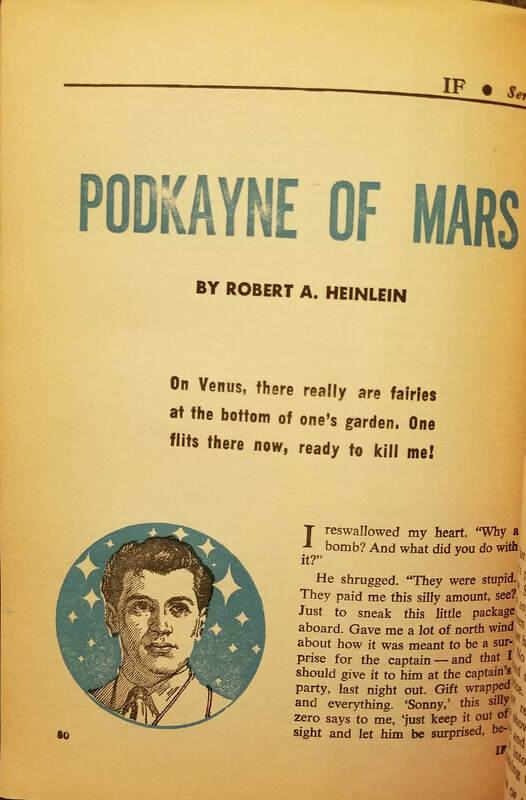 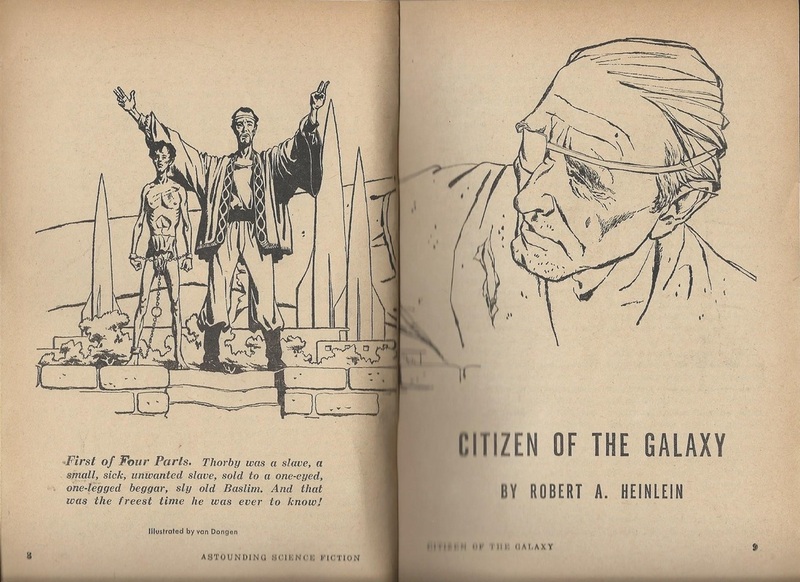 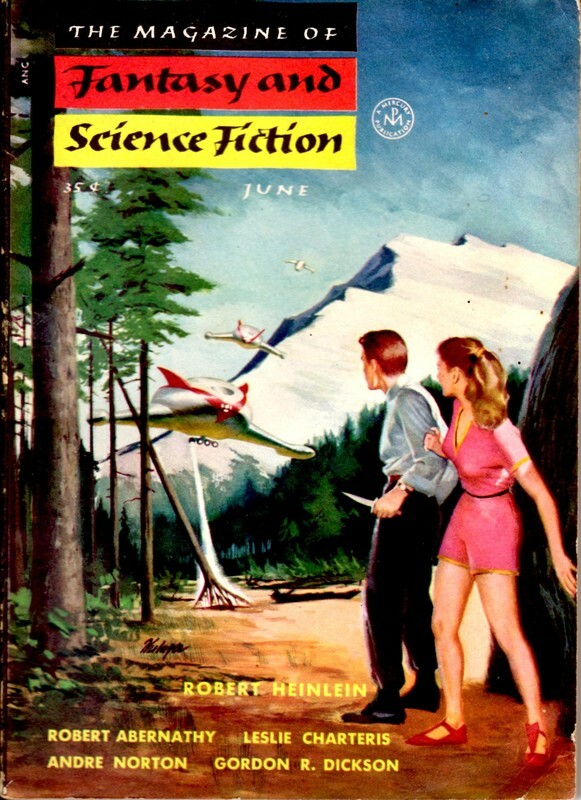 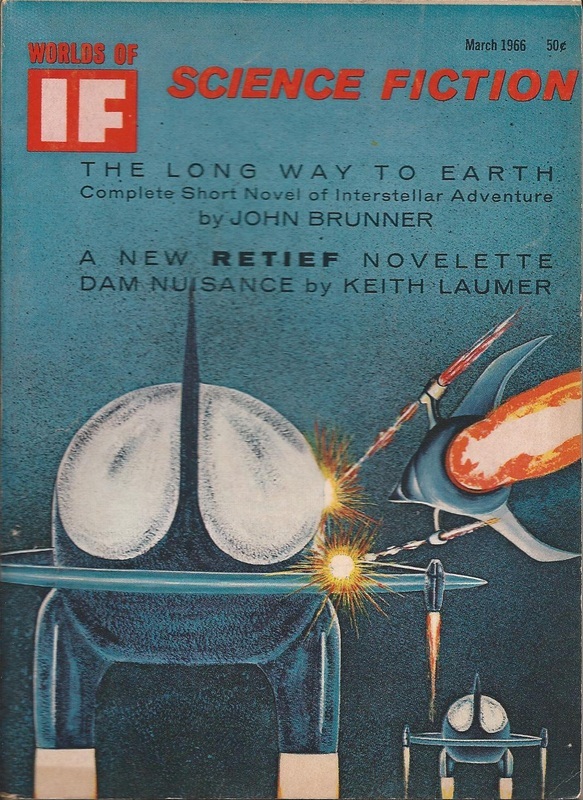 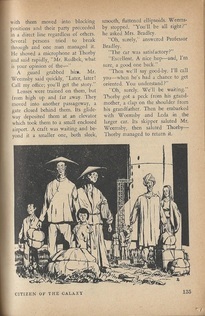 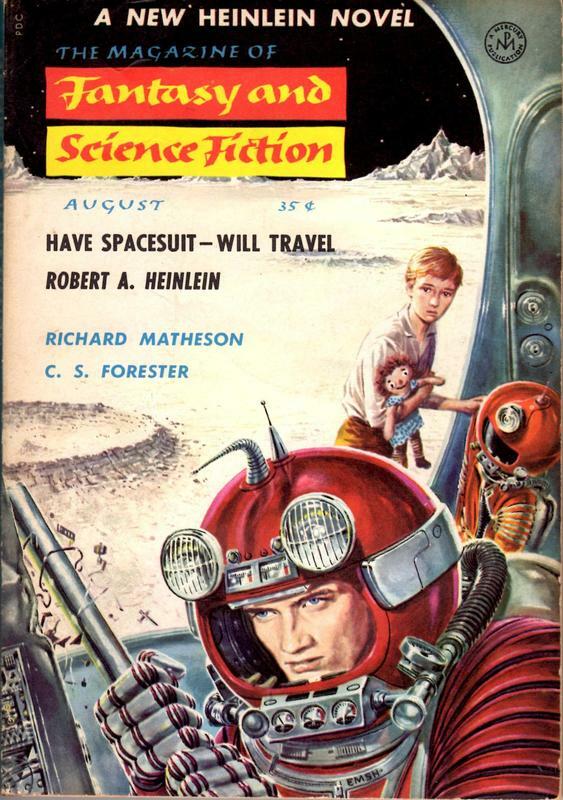 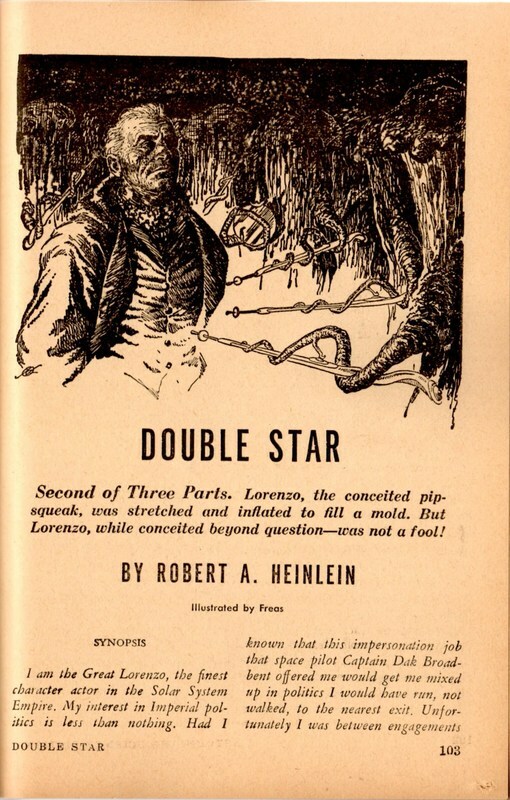 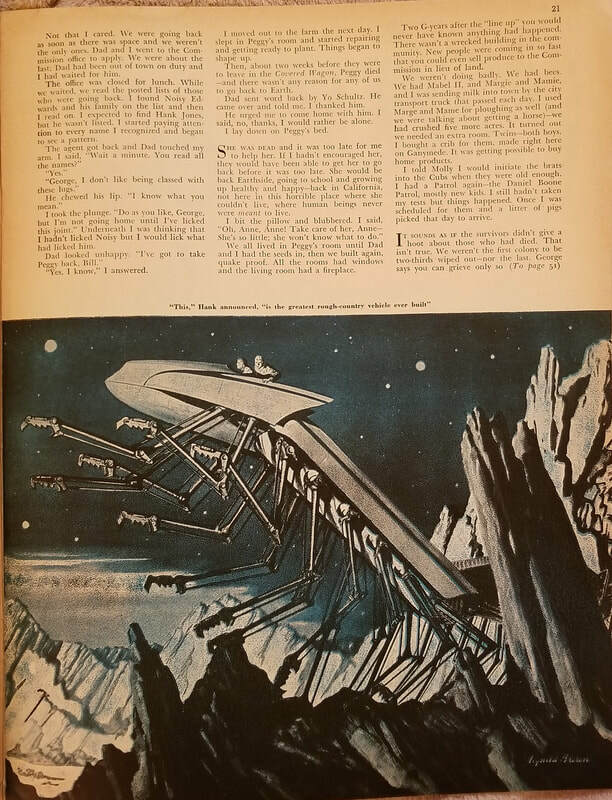 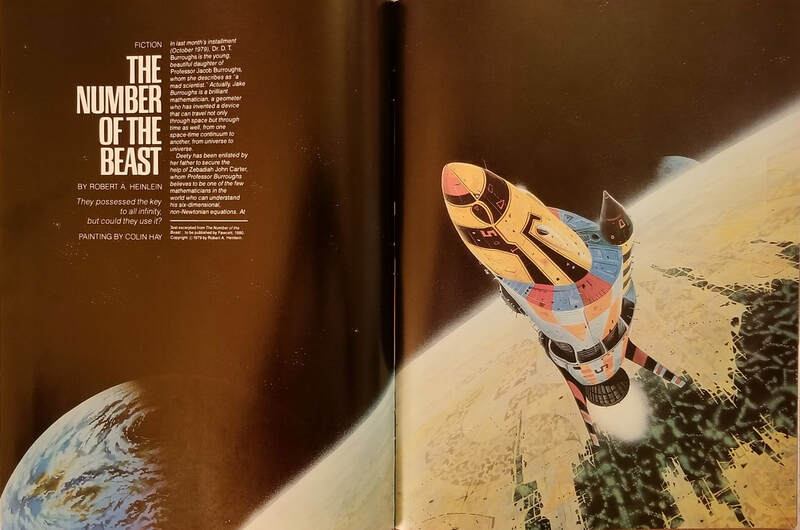 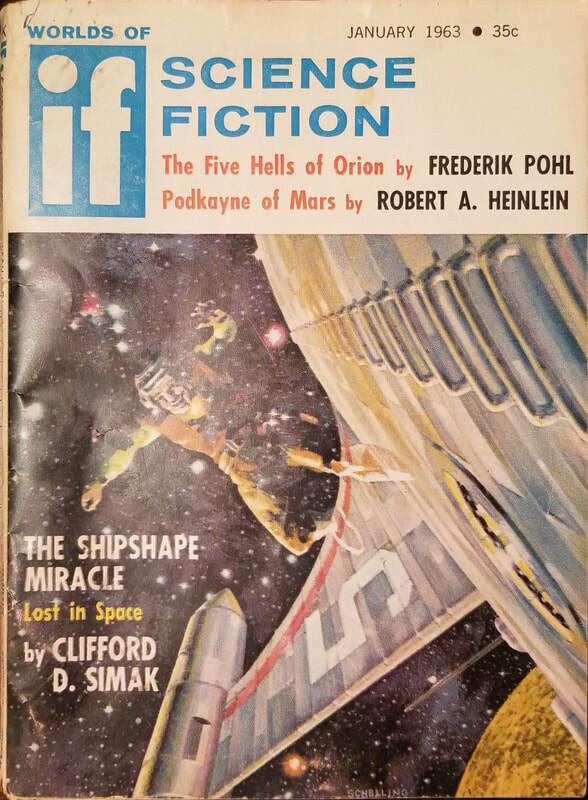 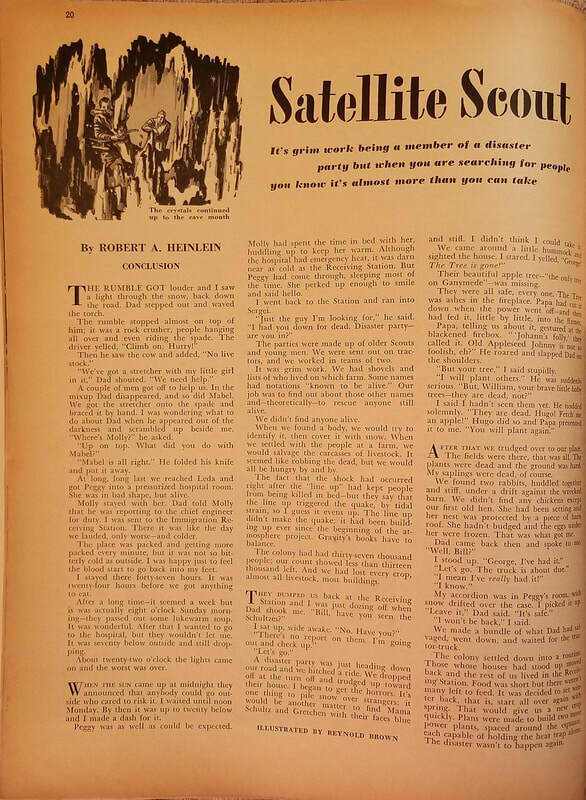 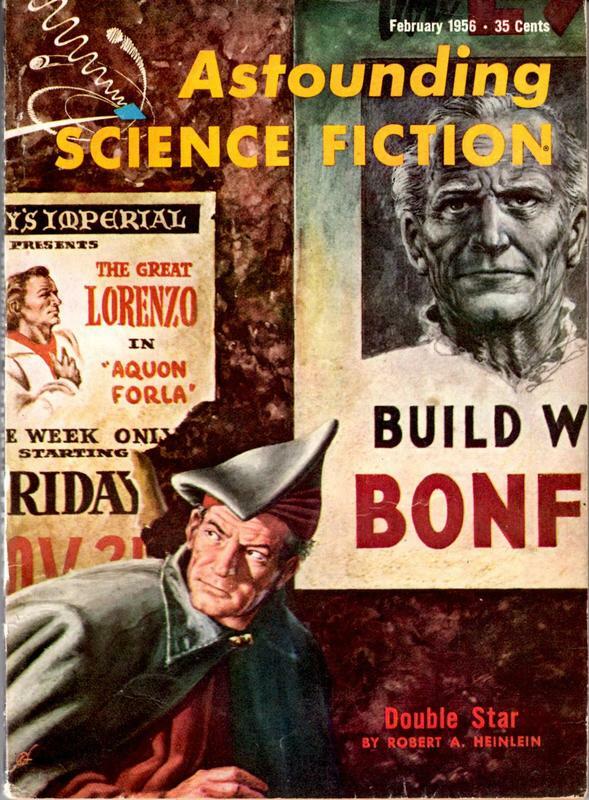 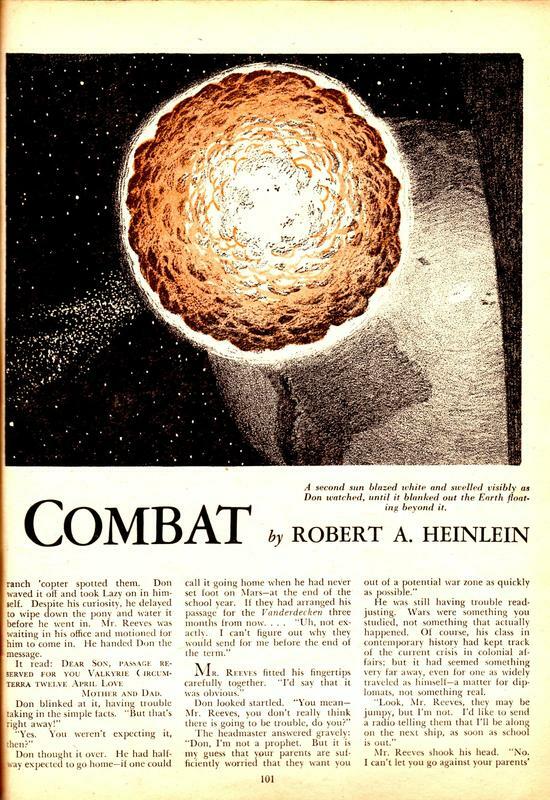 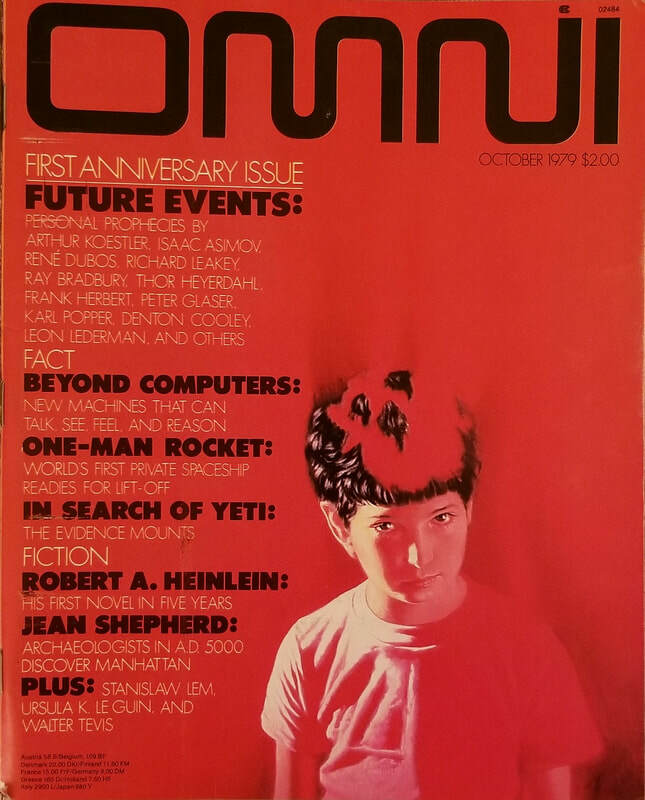 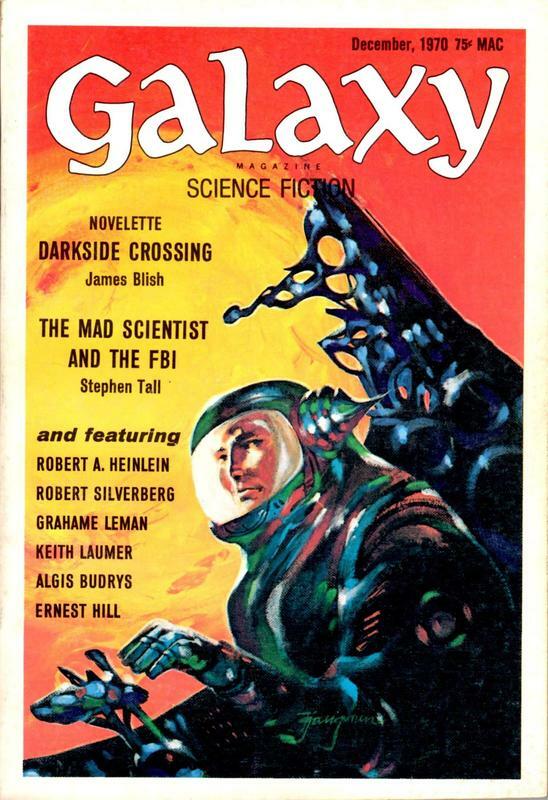 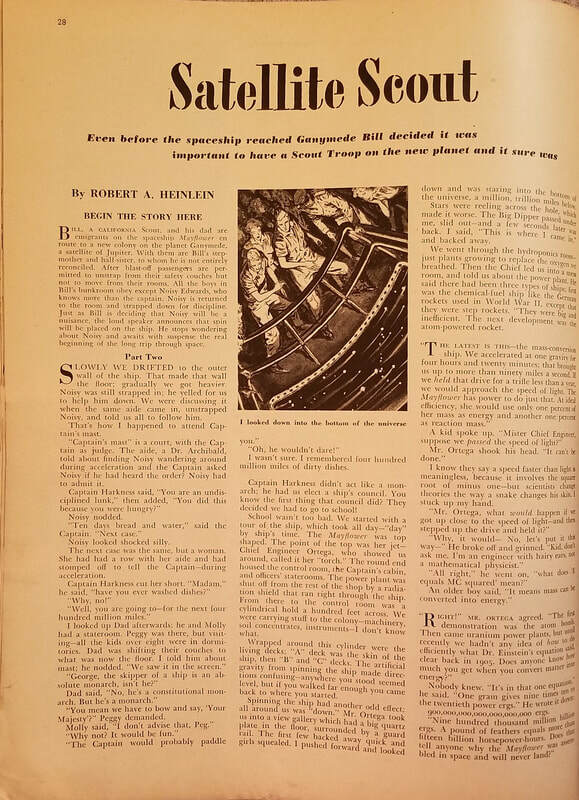 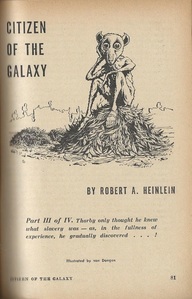 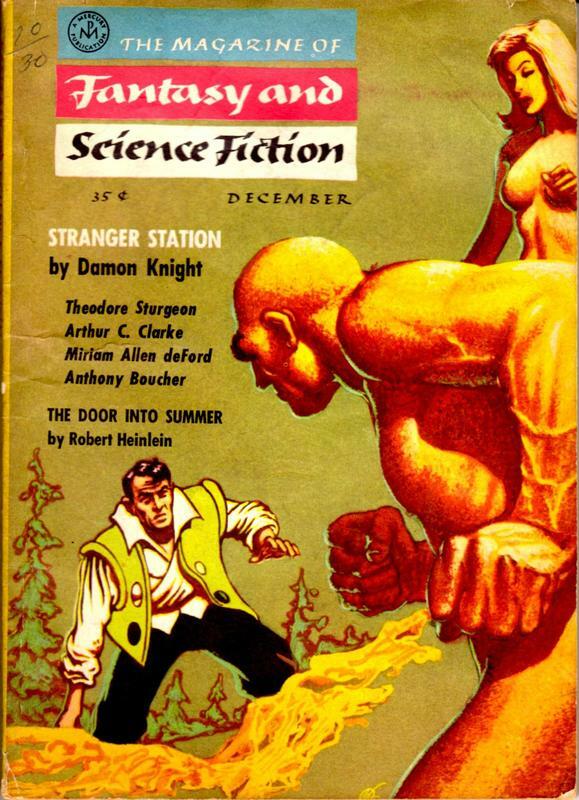 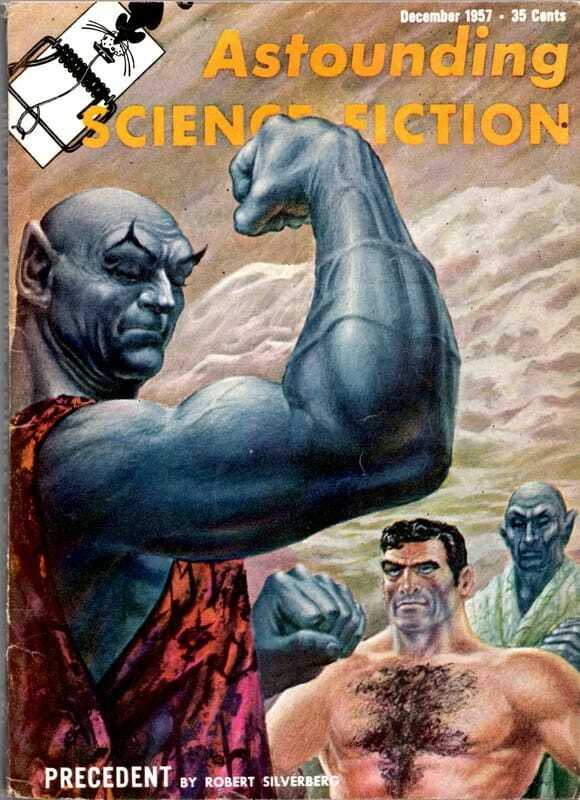 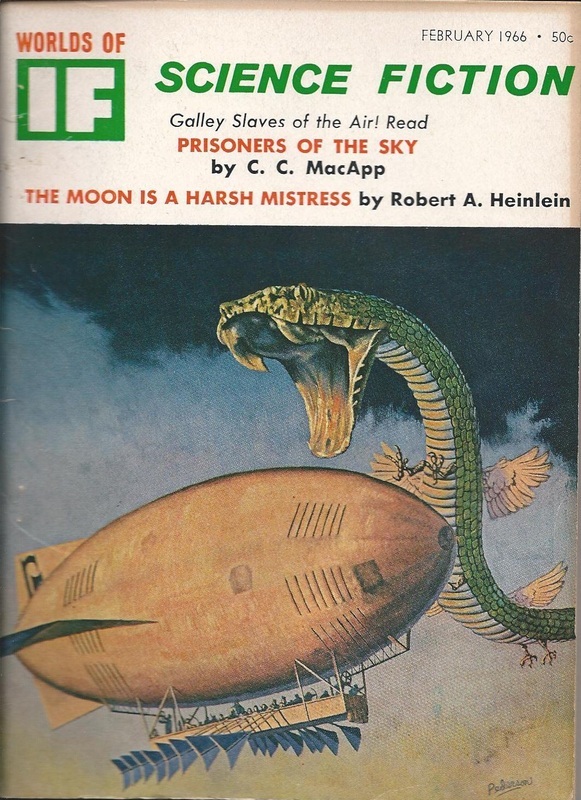 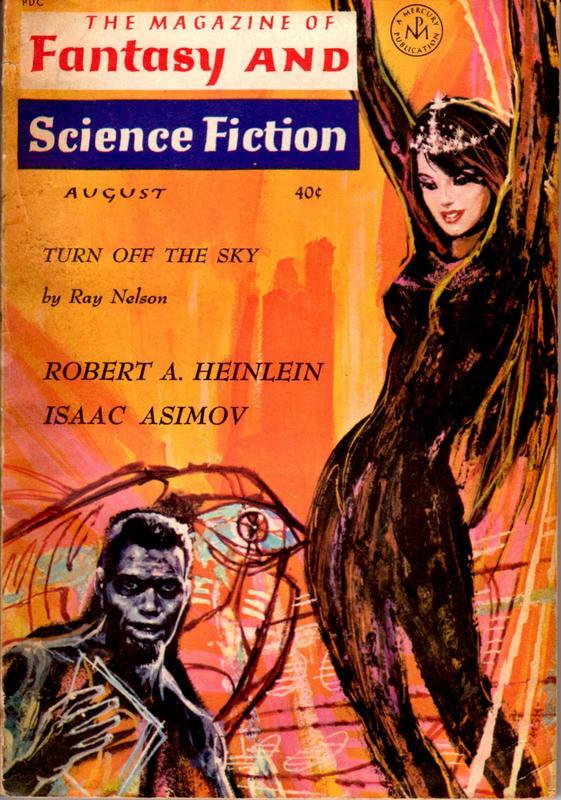 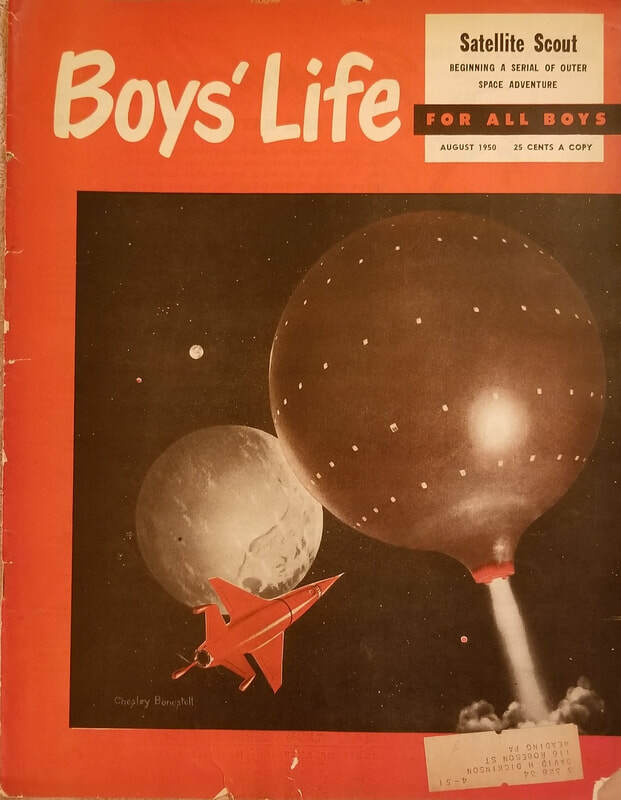 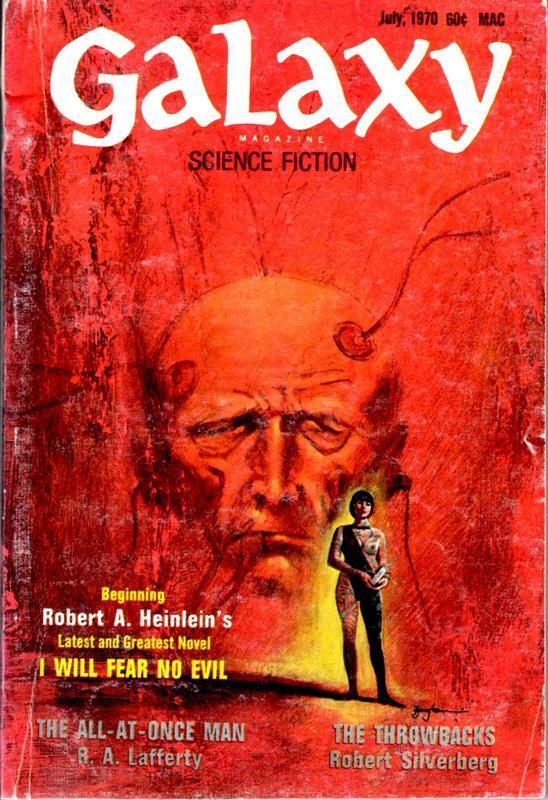 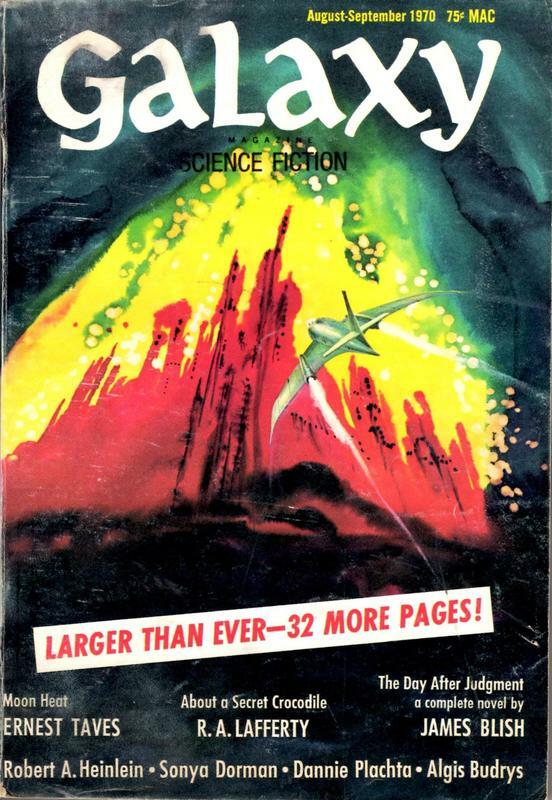 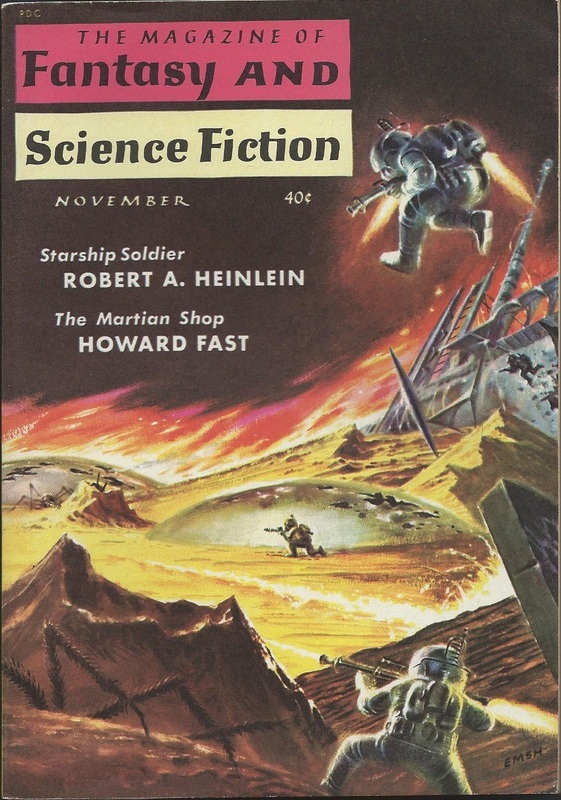 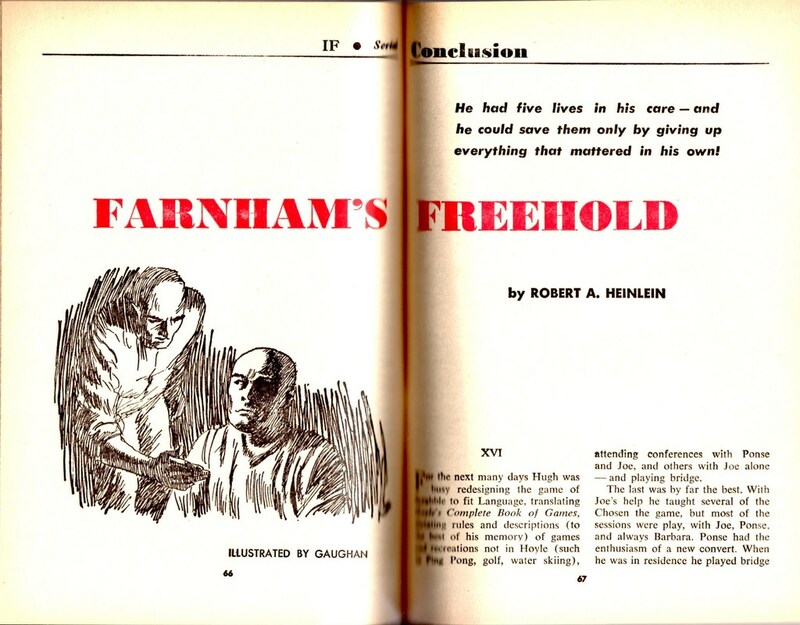 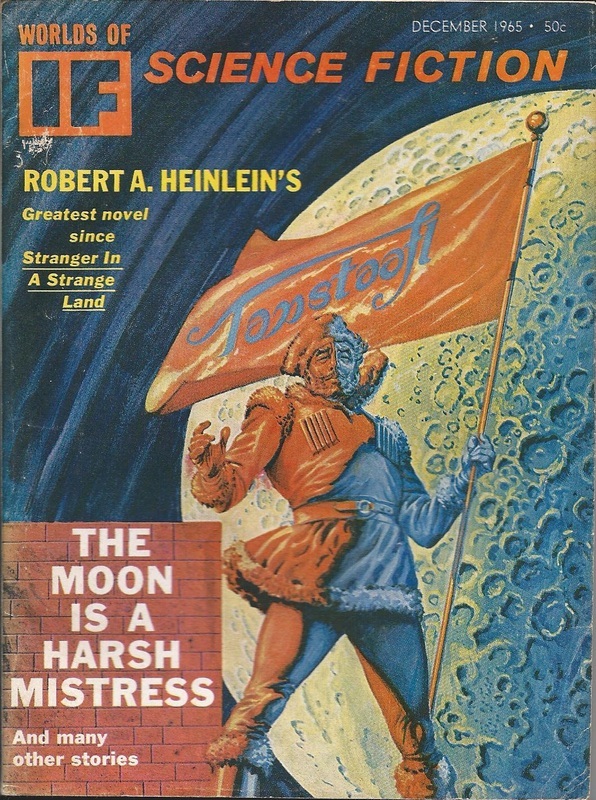 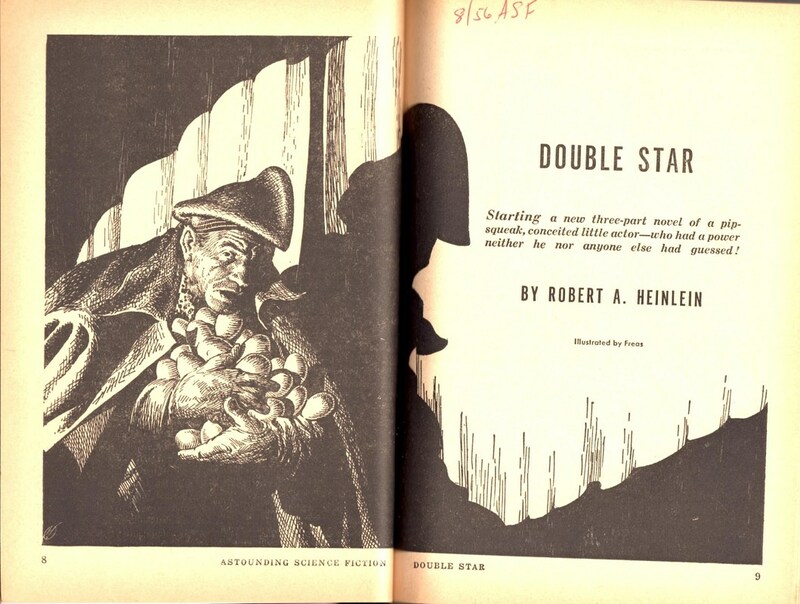 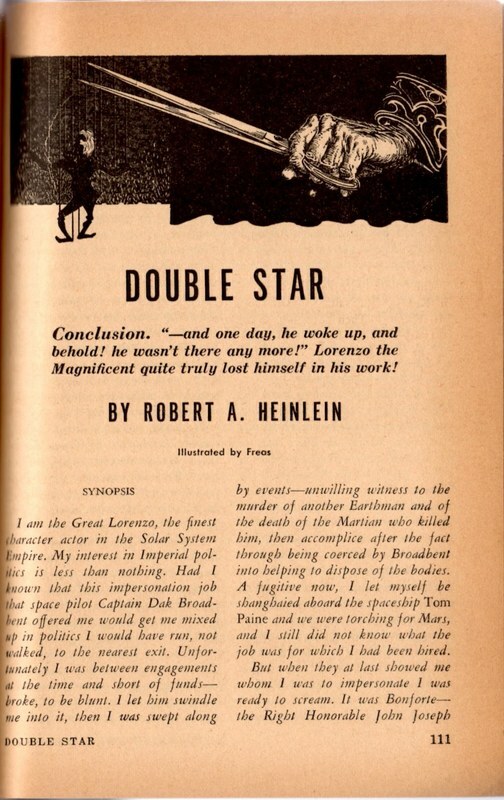 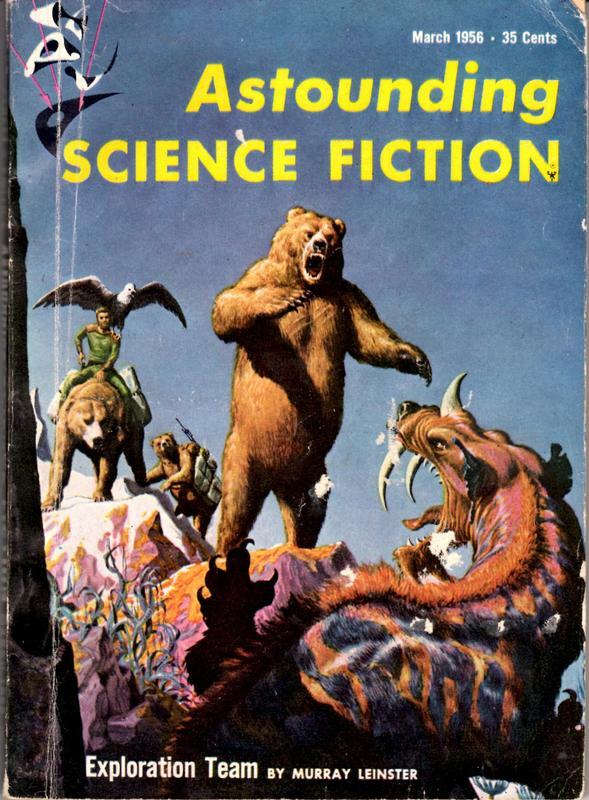 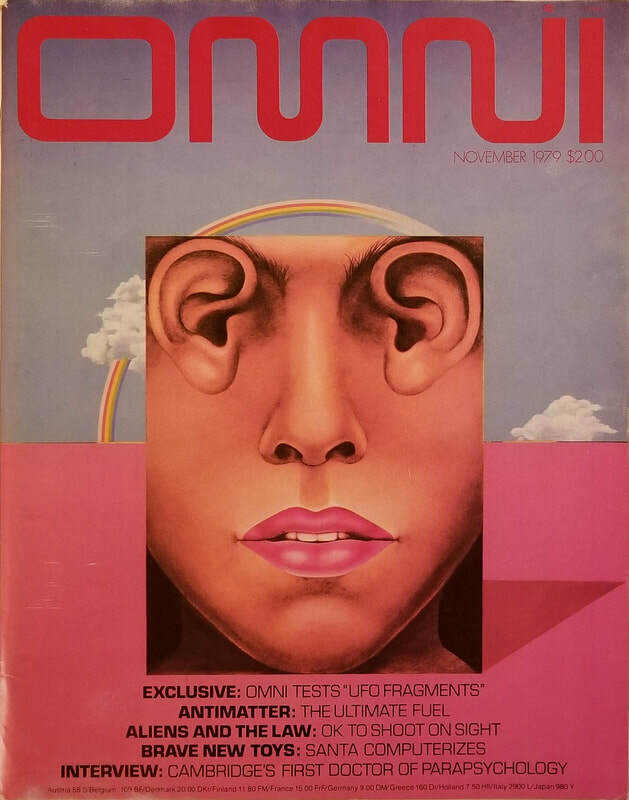 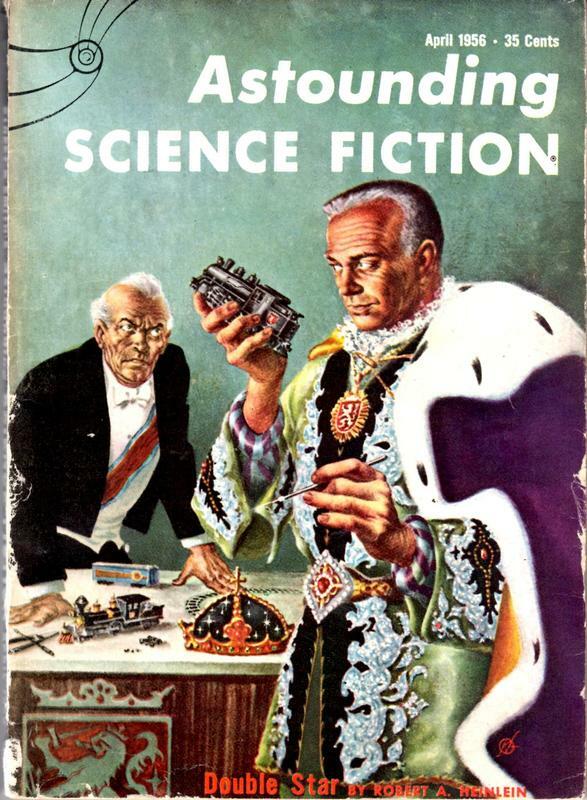 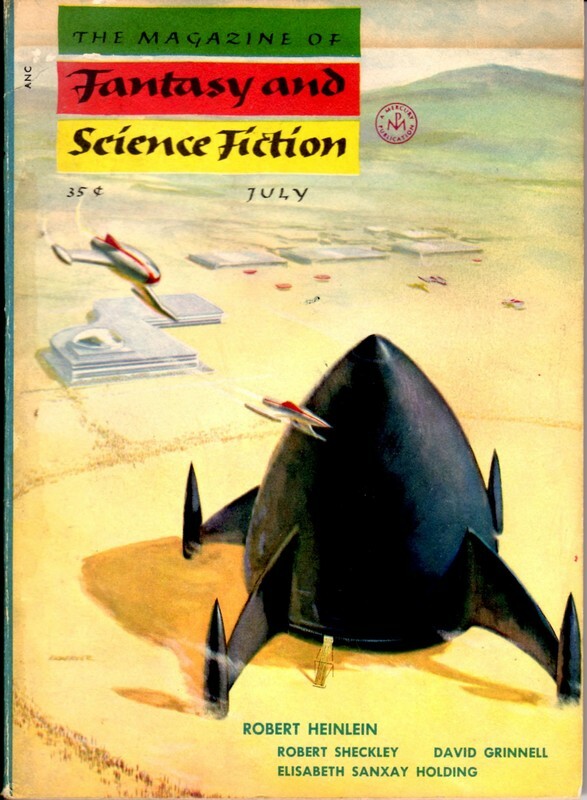 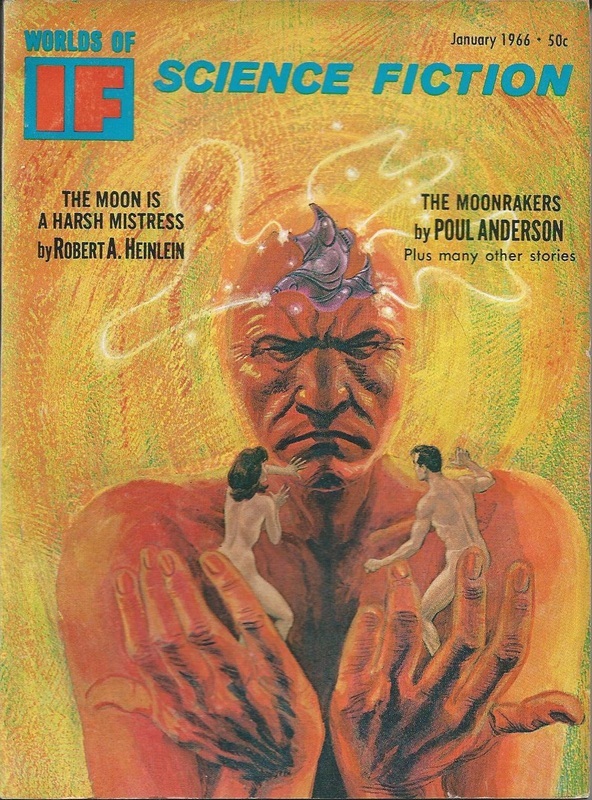 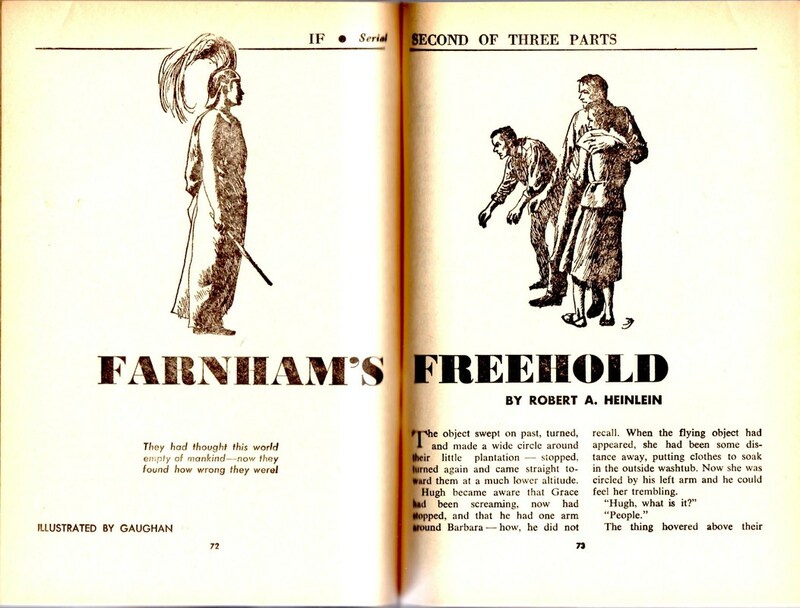 Before they appeared in their final book forms, a great many of Heinlein’s novels appeared first in installments across a number of issues of SF magazines. 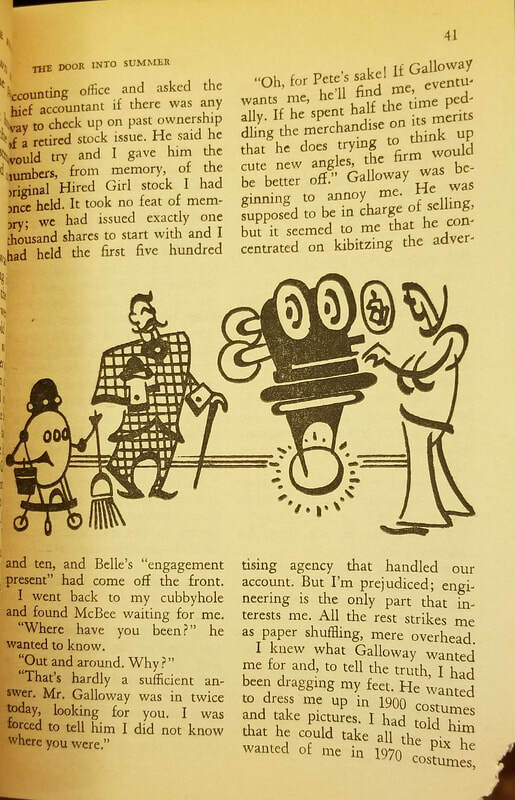 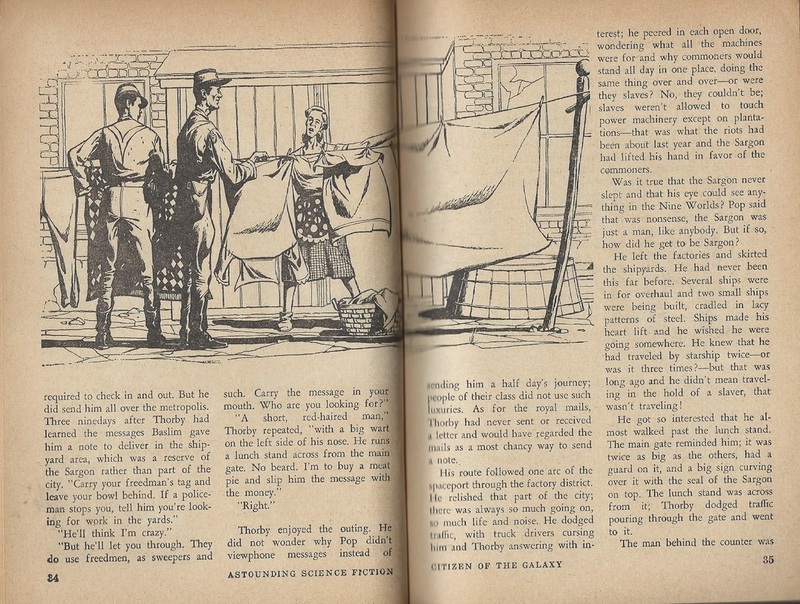 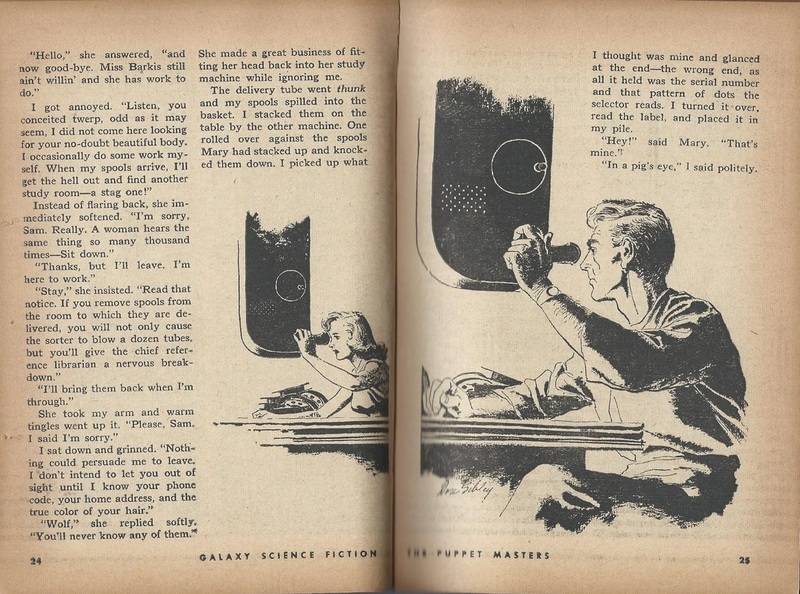 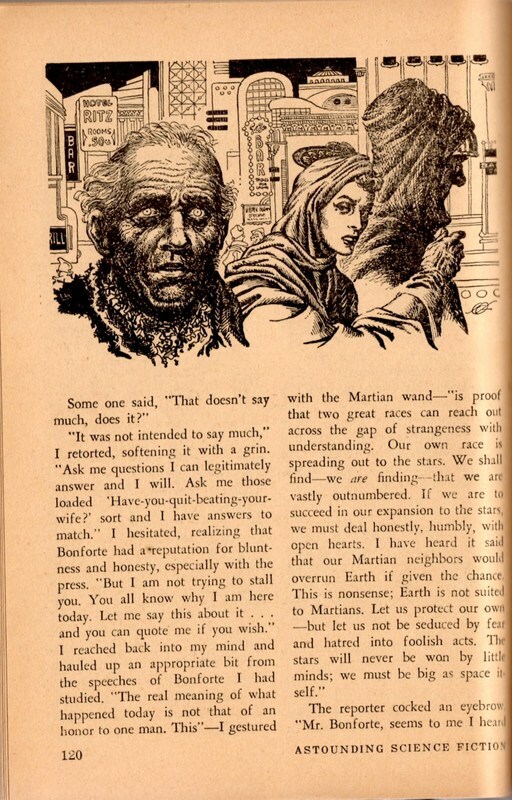 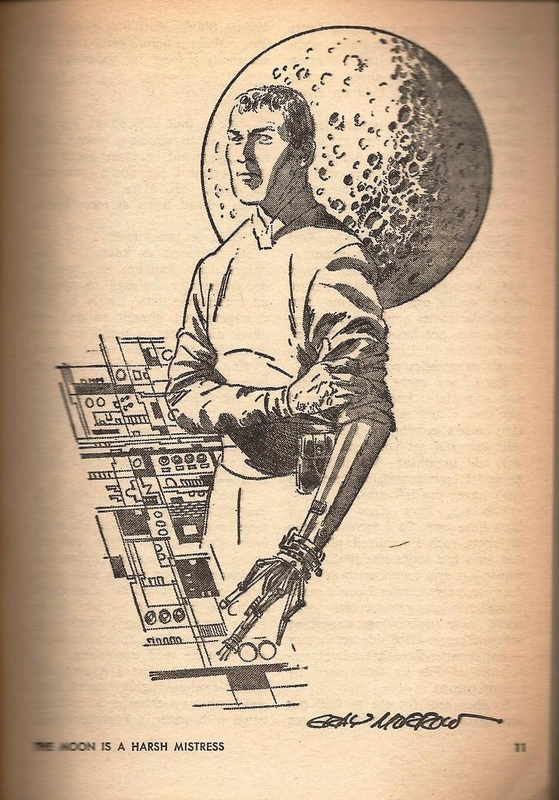 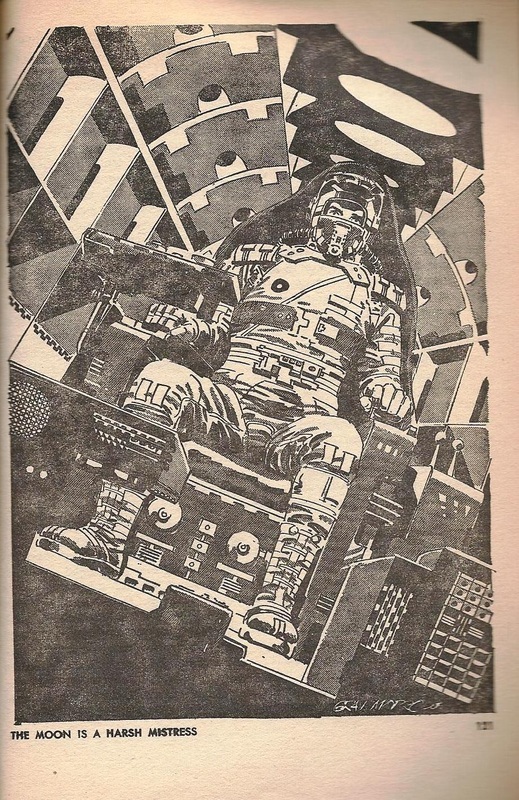 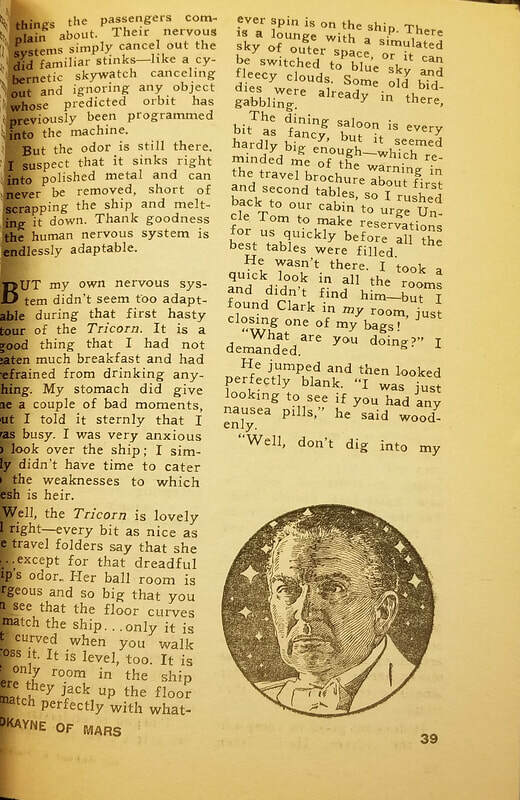 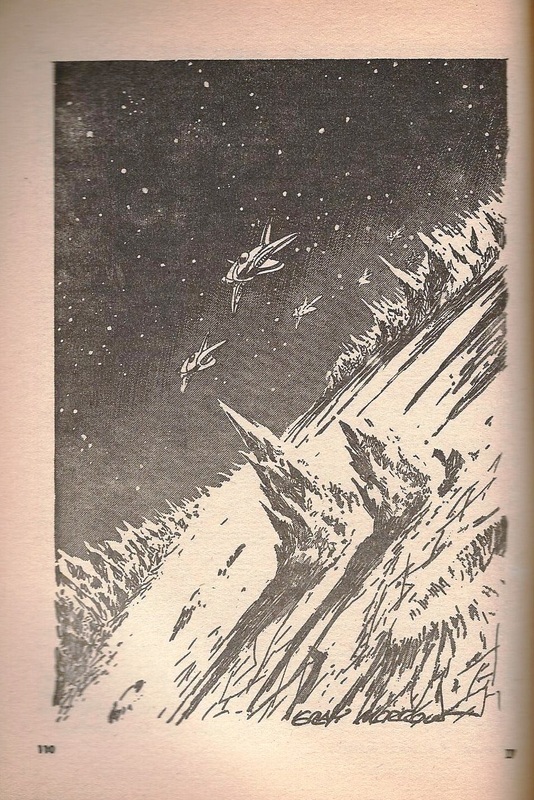 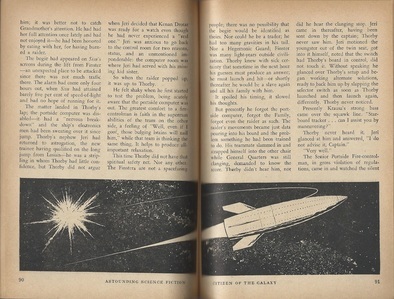 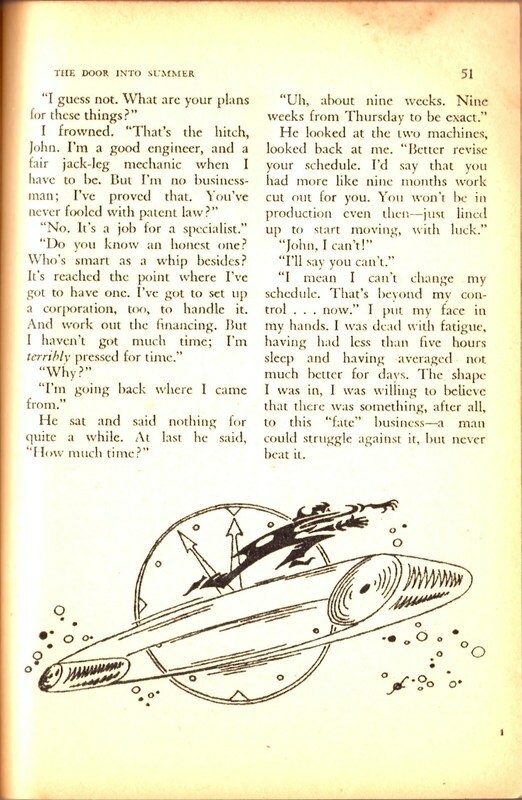 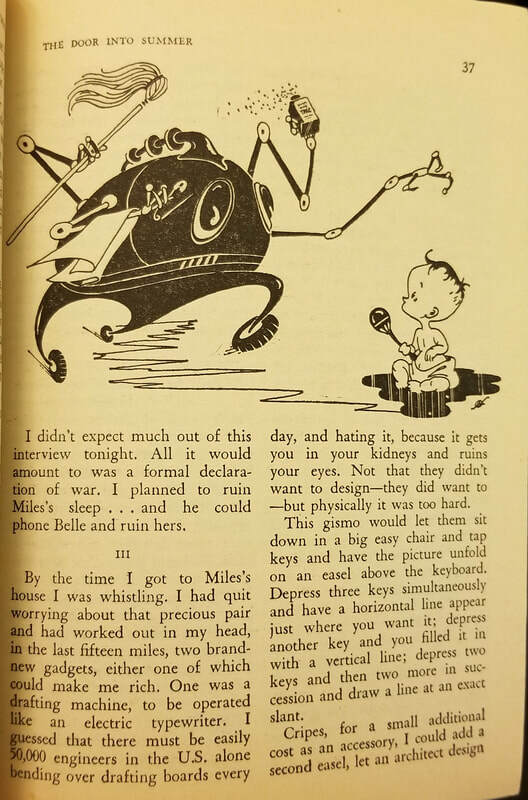 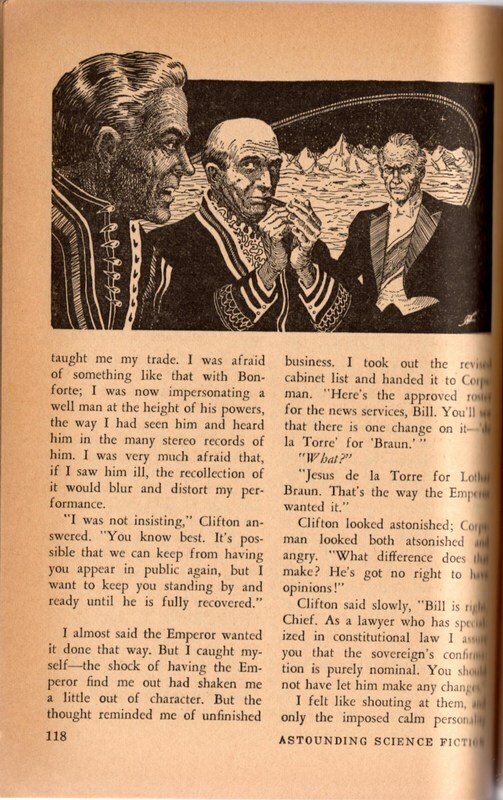 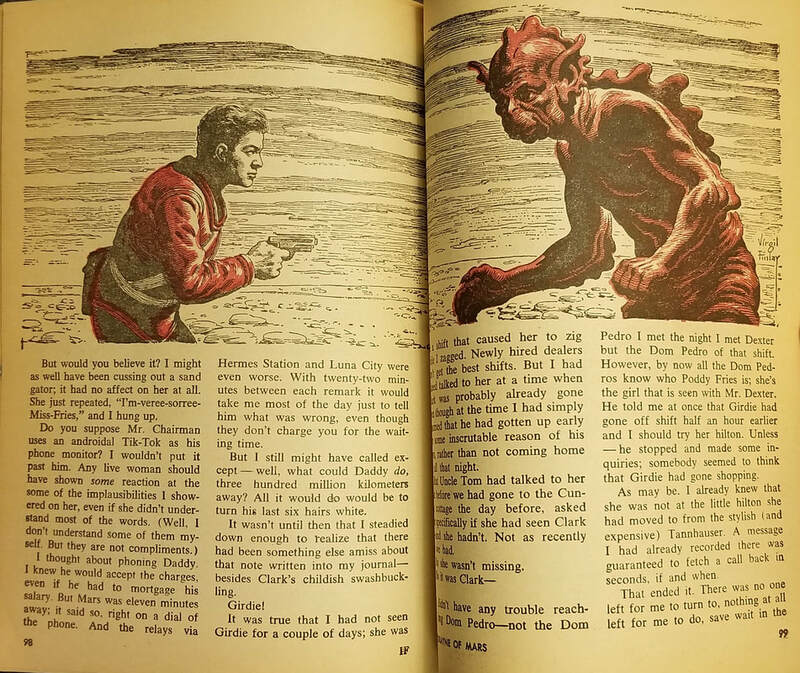 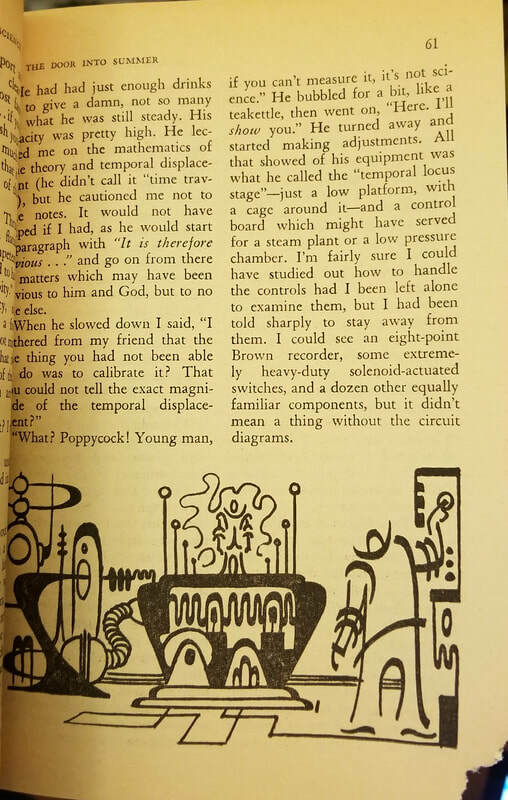 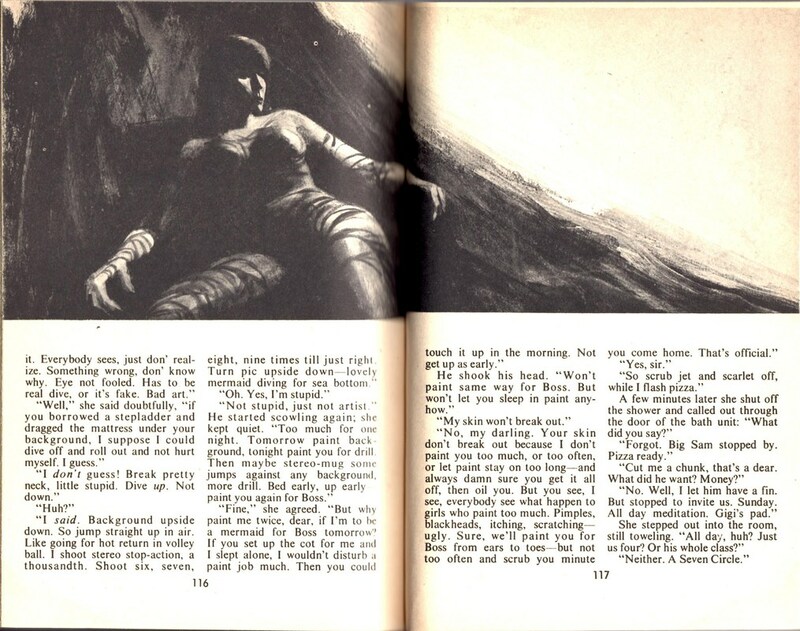 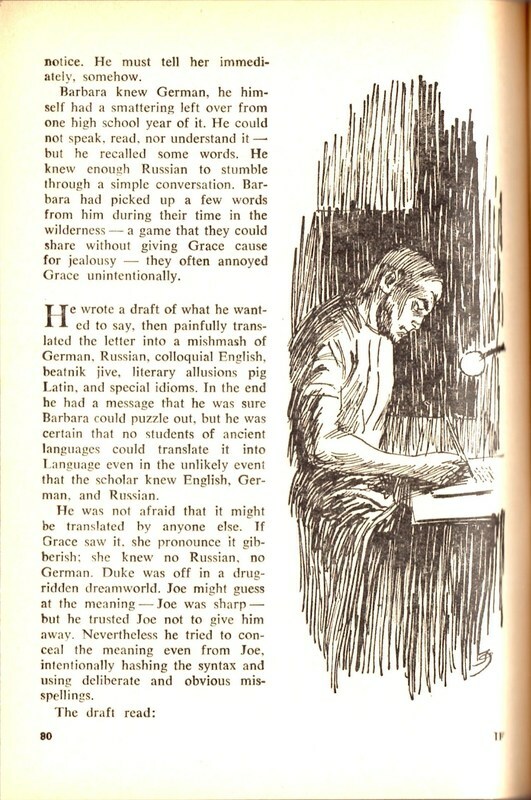 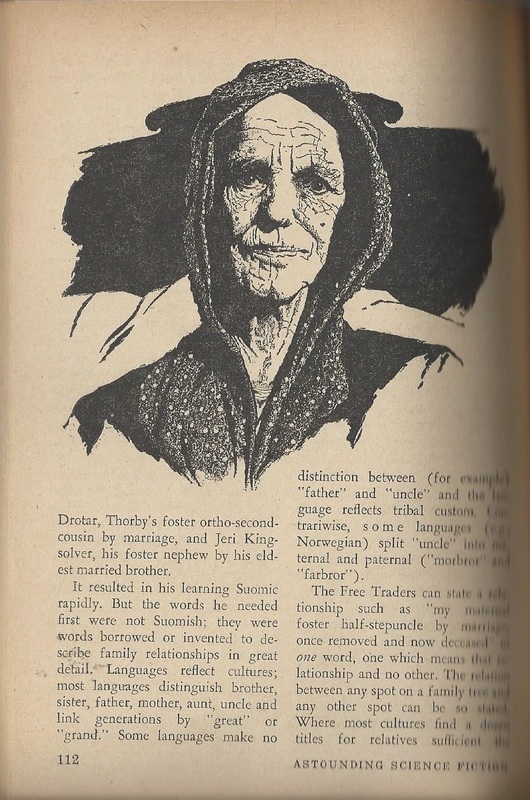 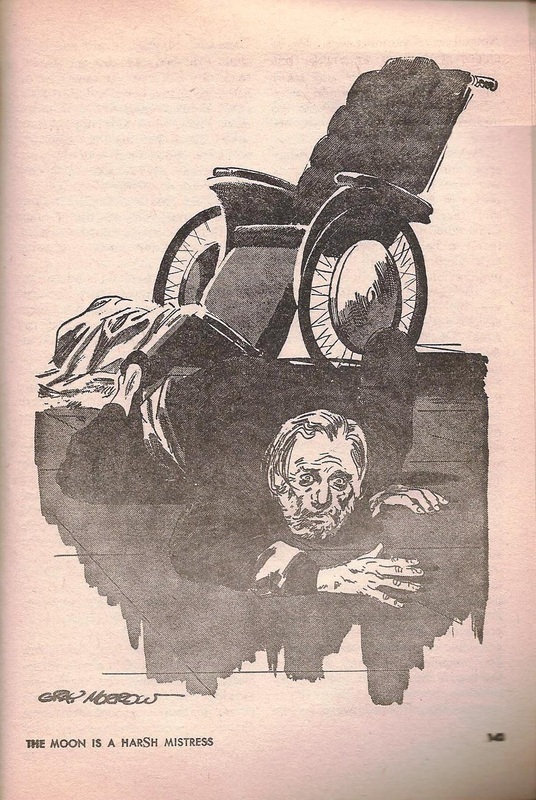 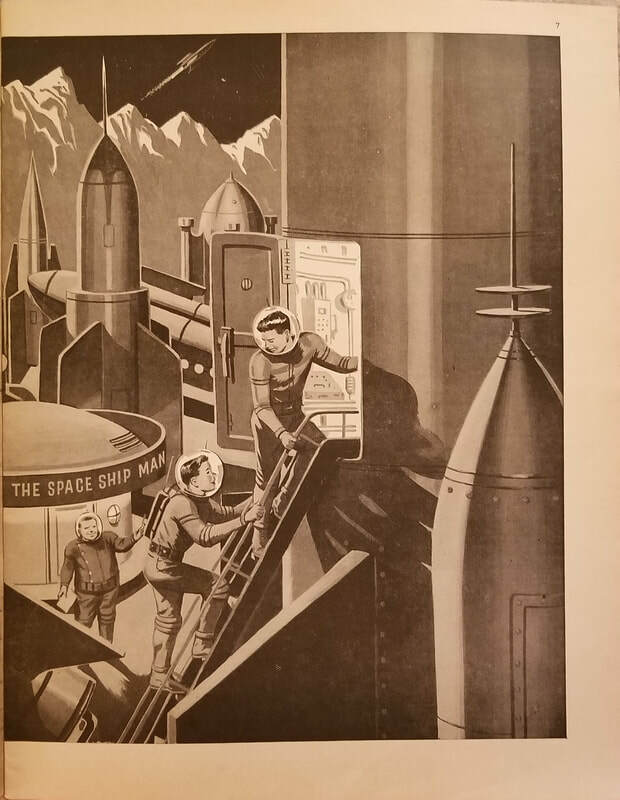 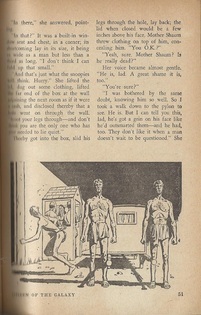 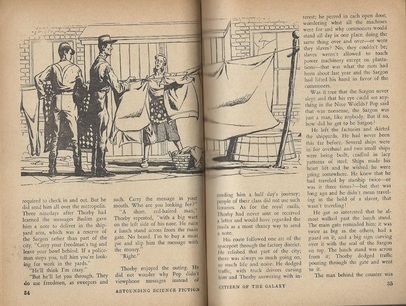 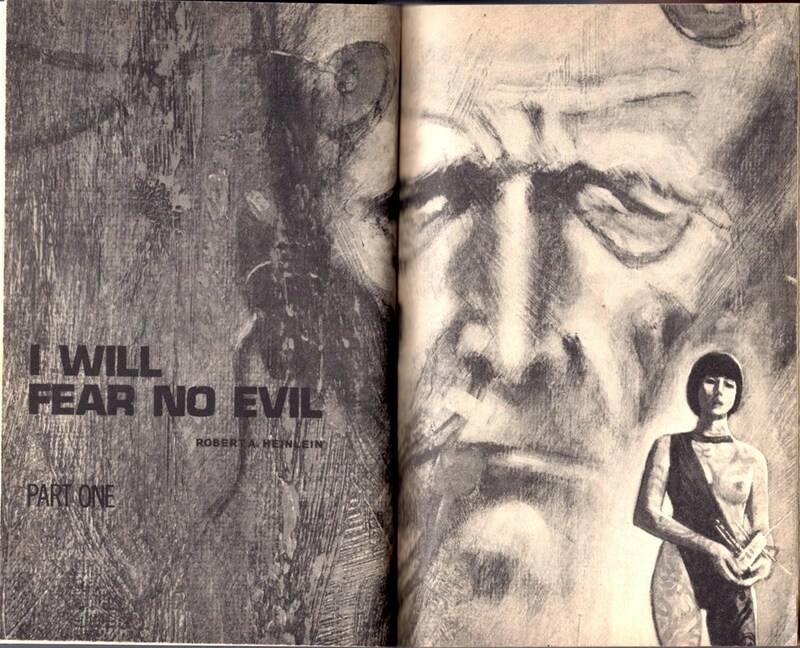 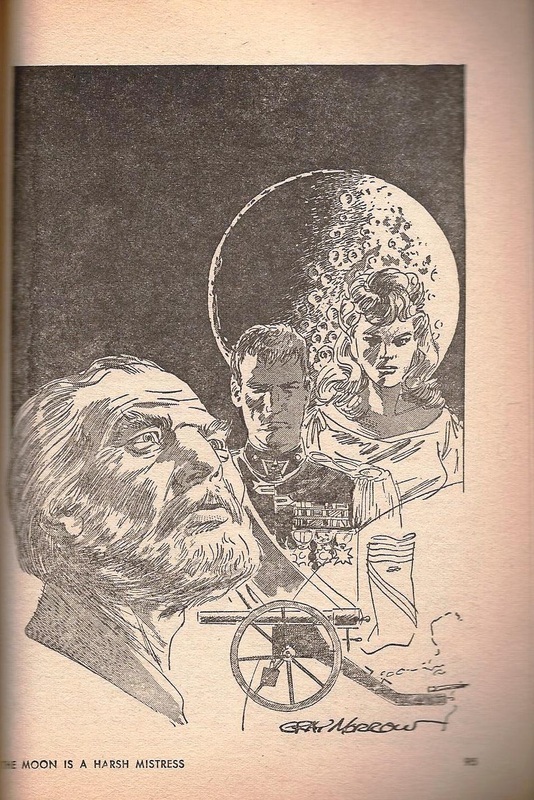 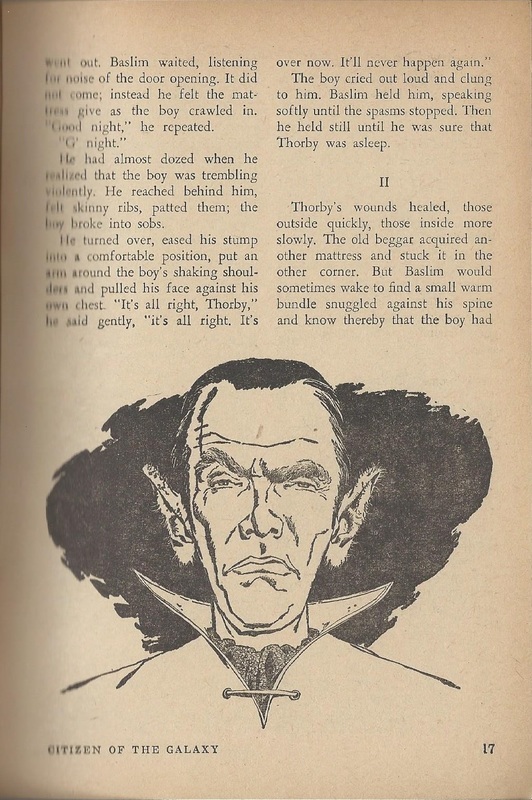 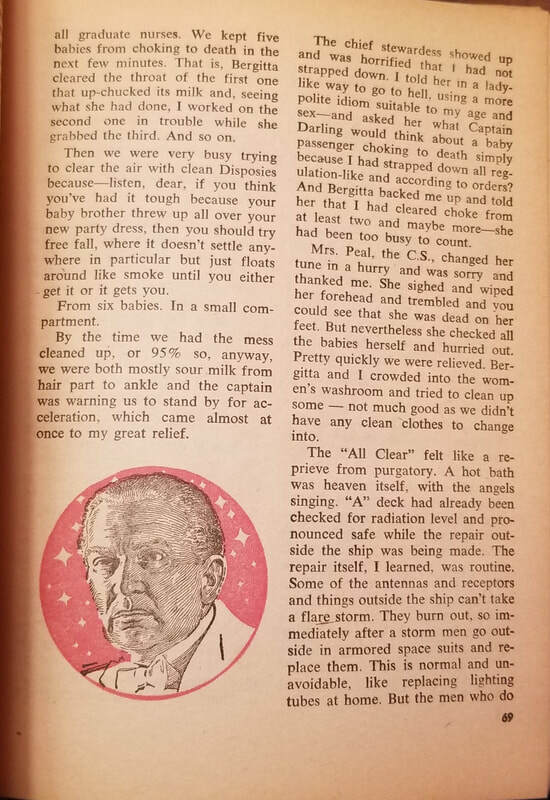 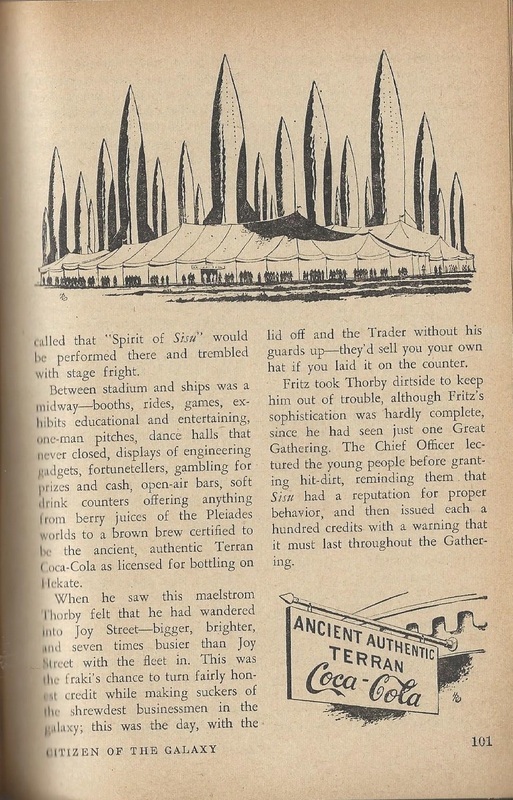 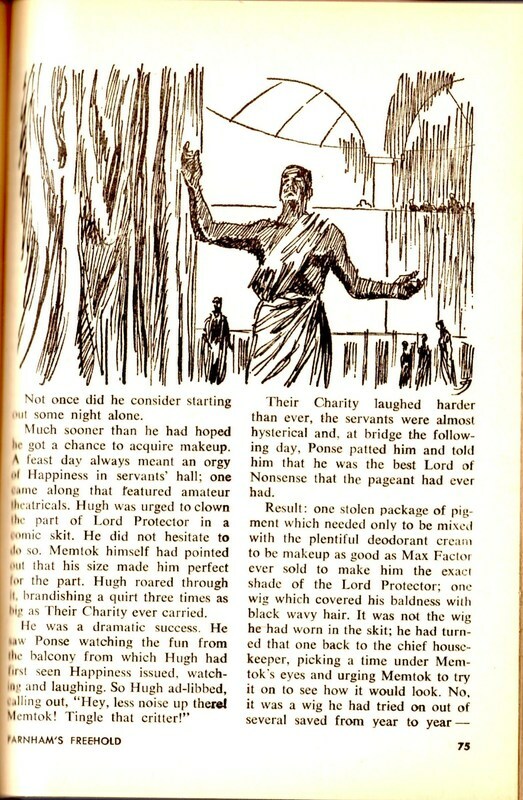 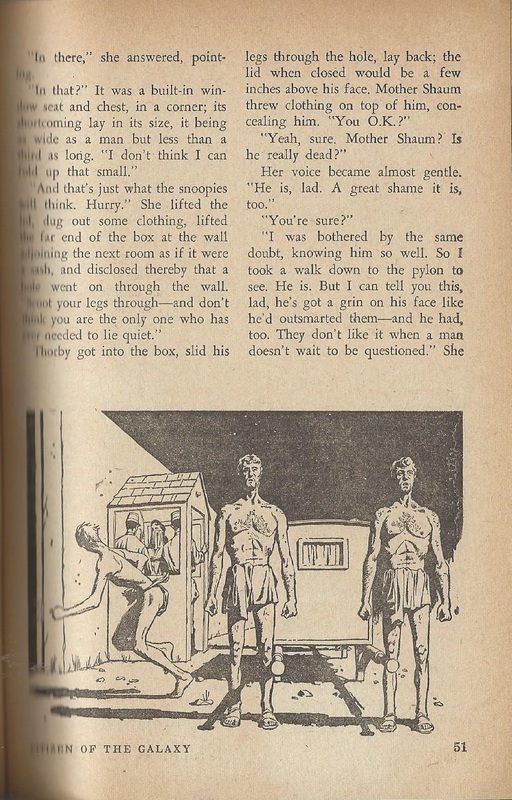 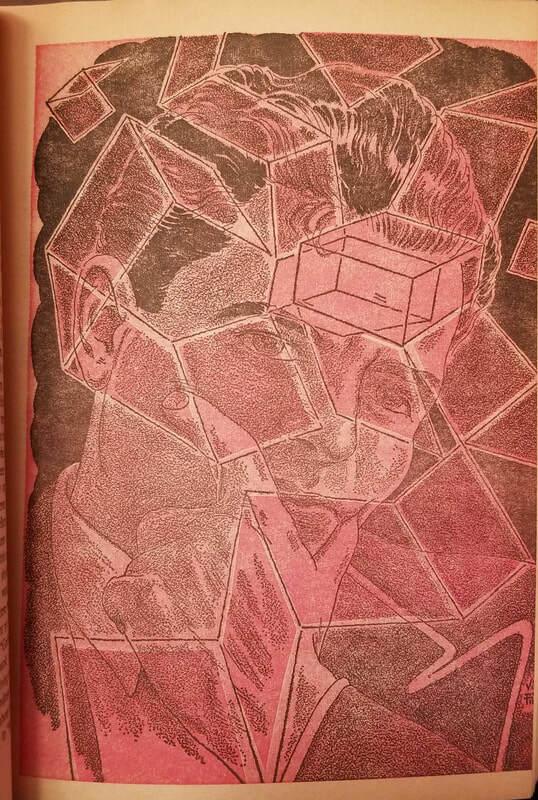 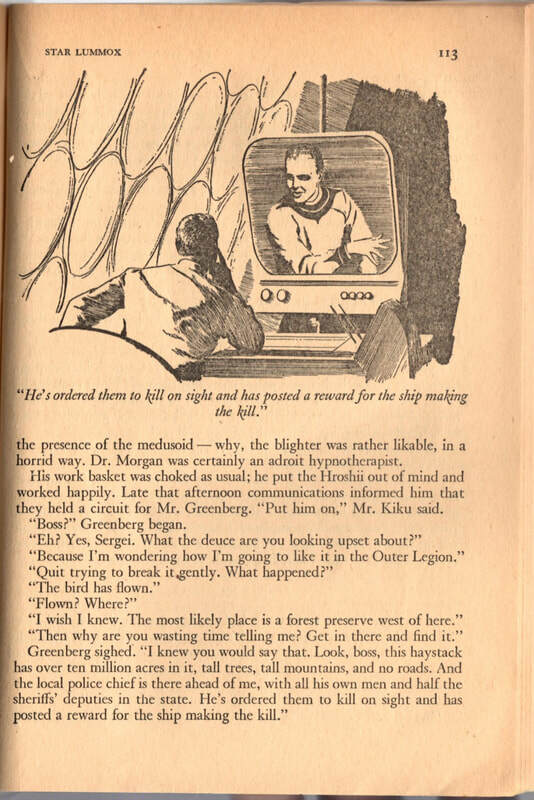 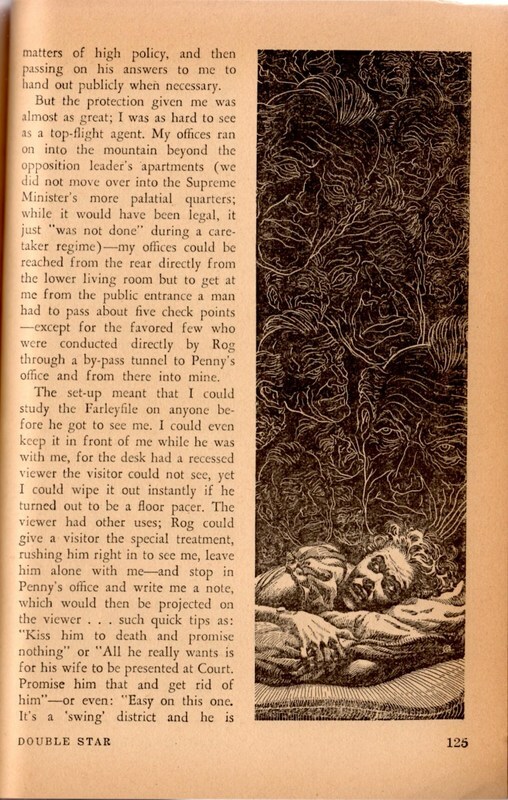 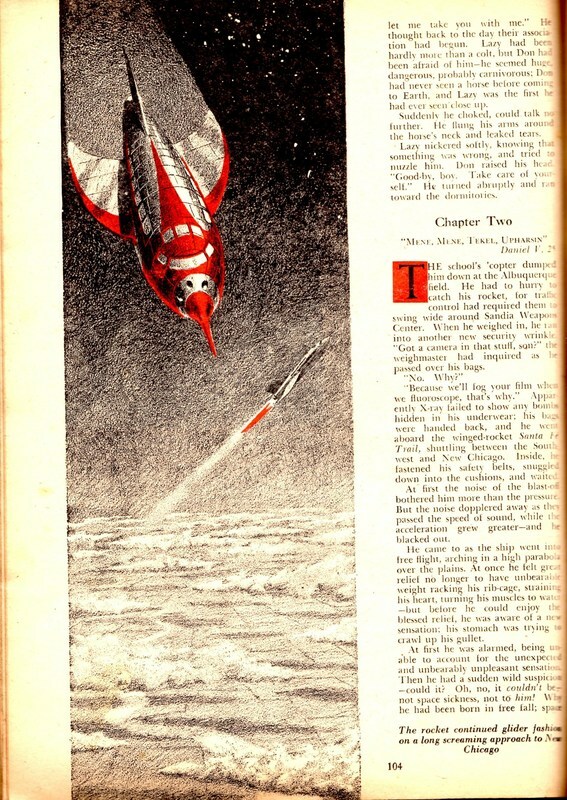 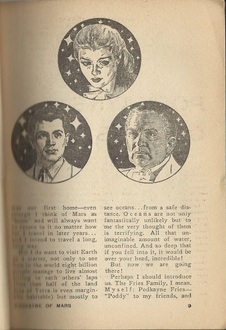 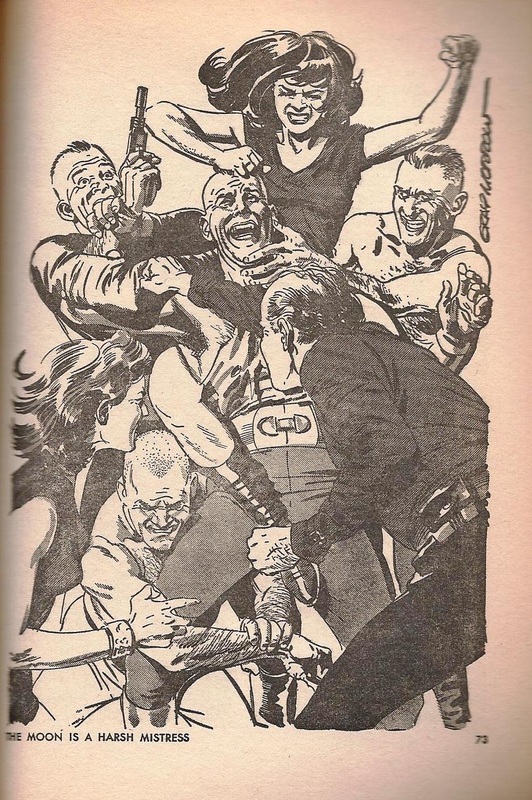 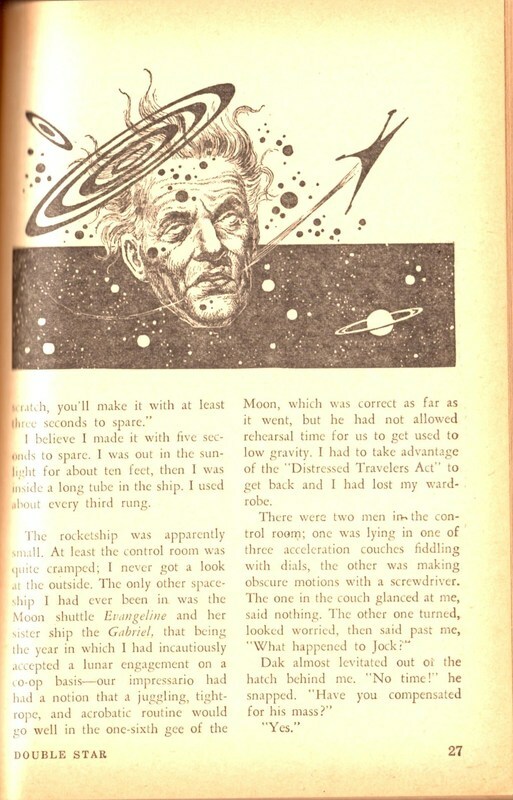 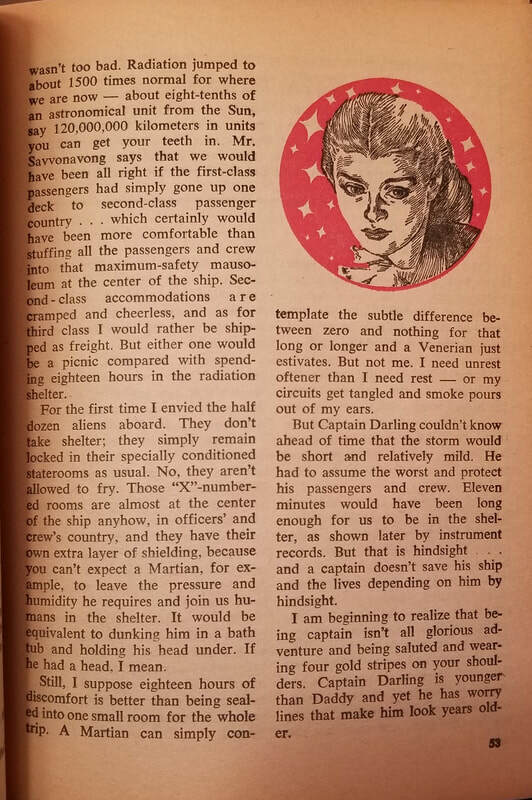 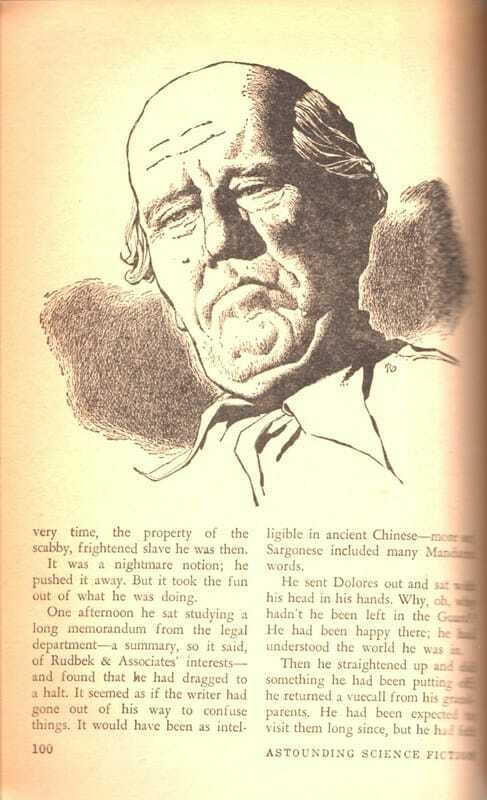 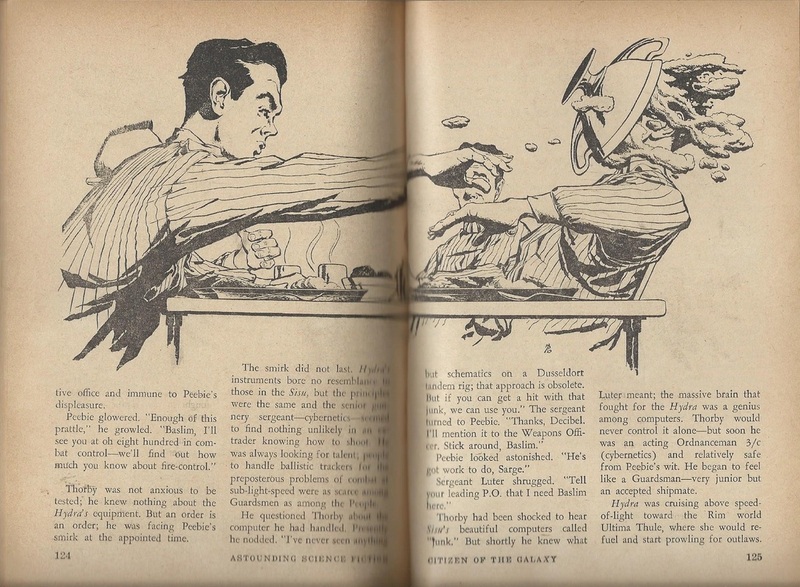 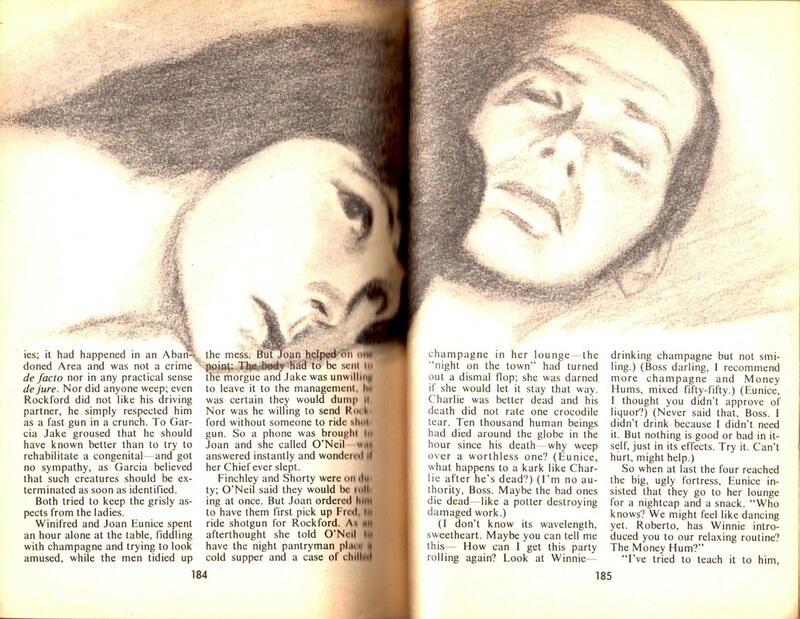 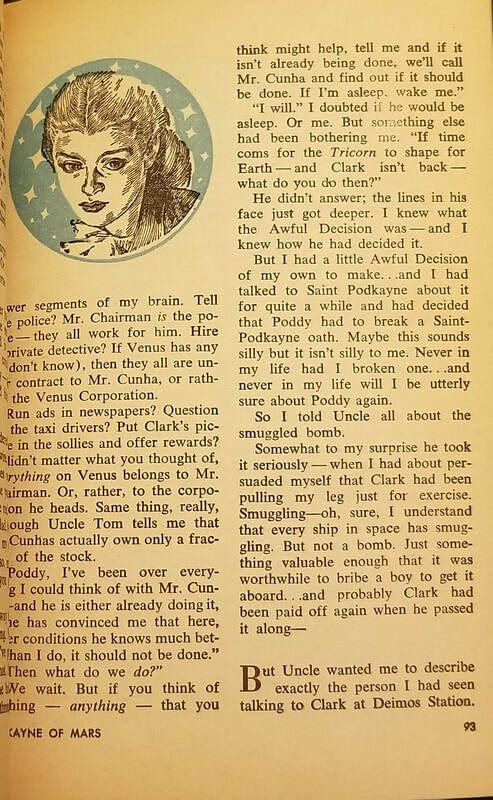 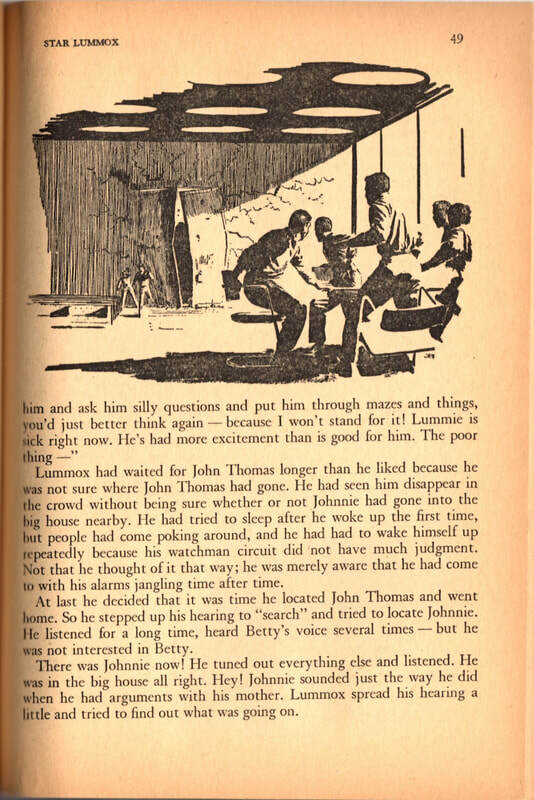 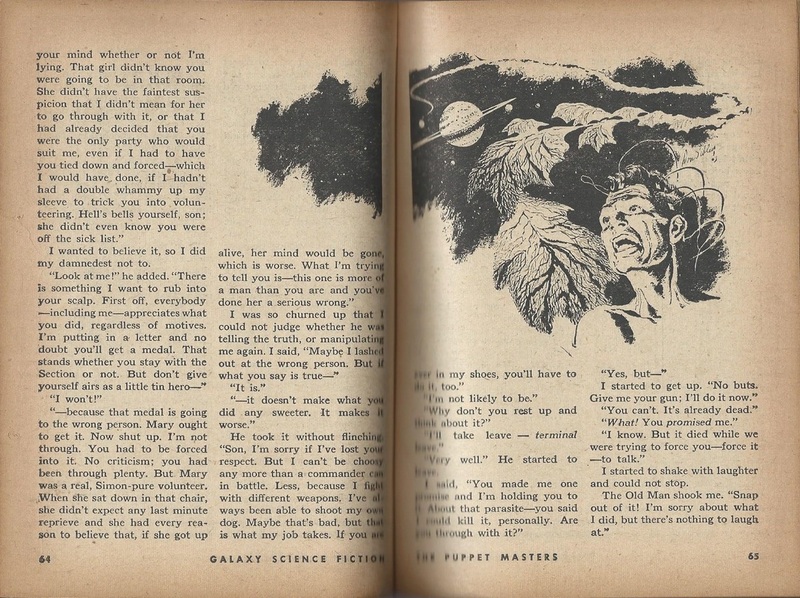 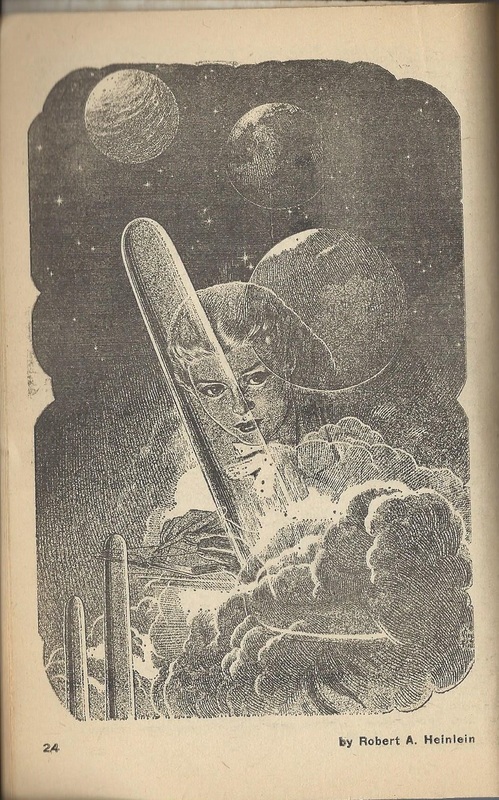 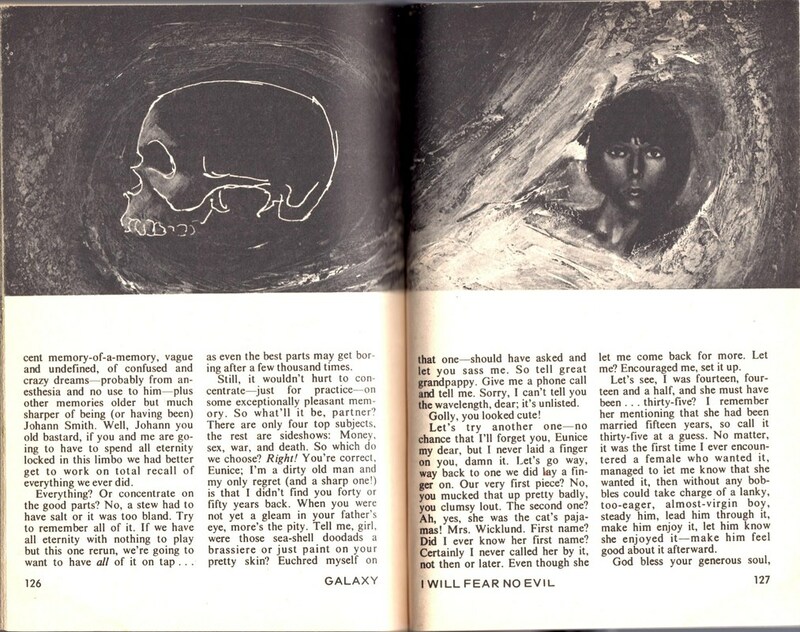 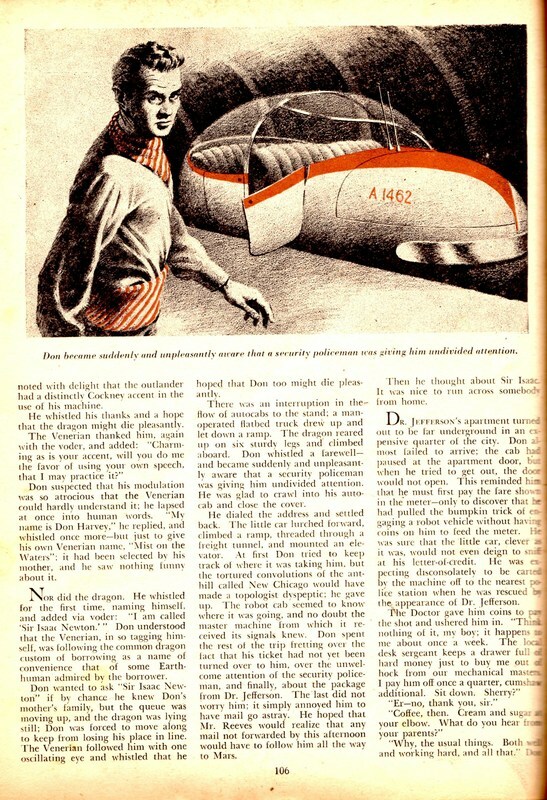 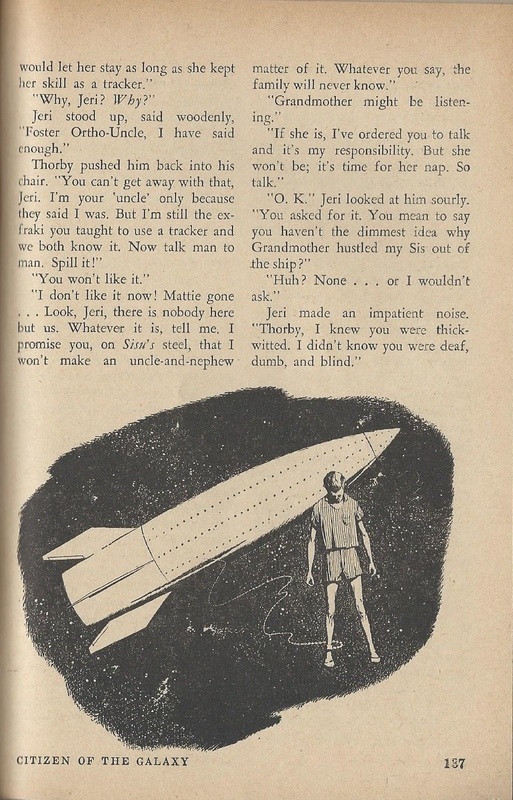 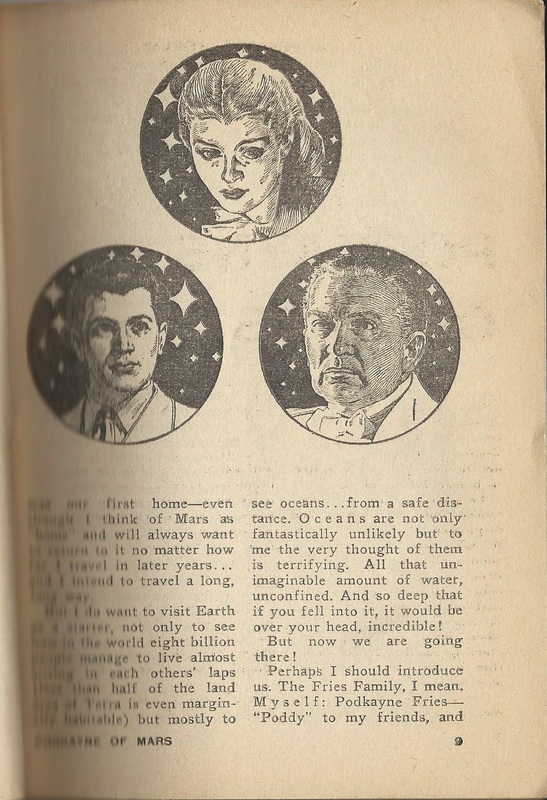 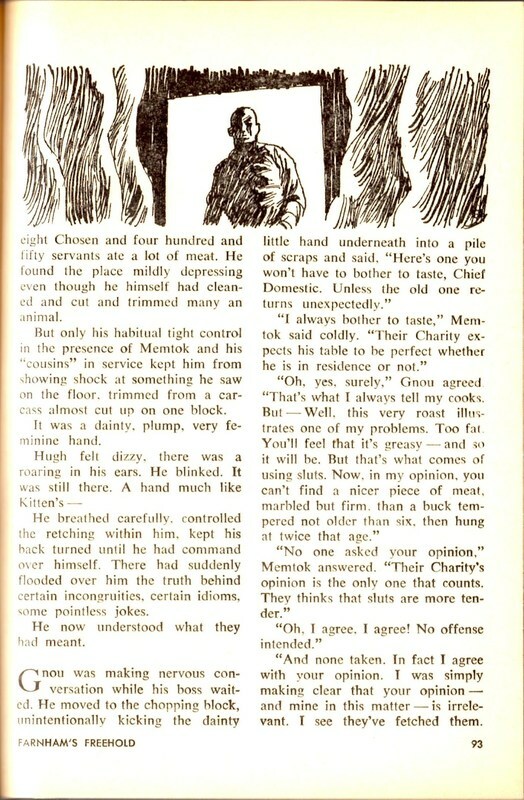 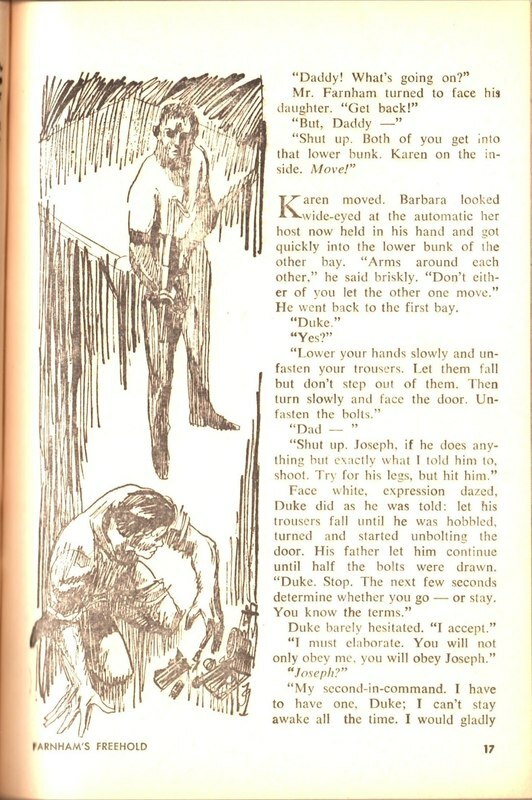 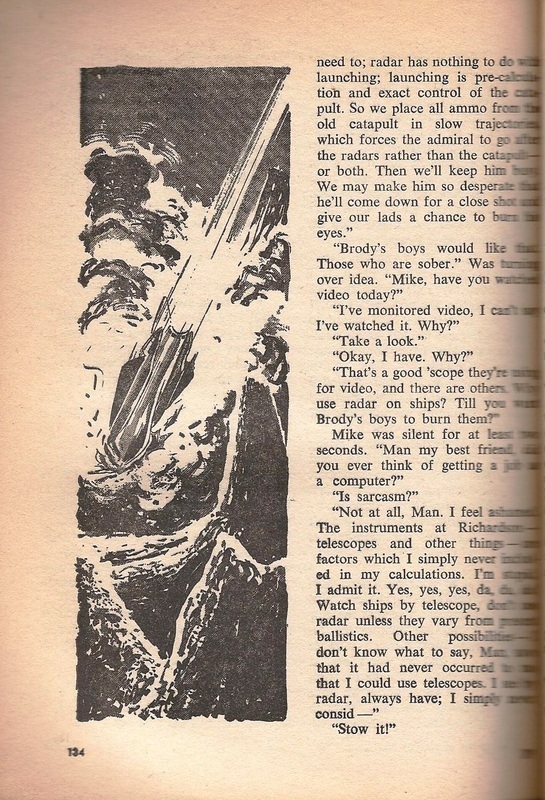 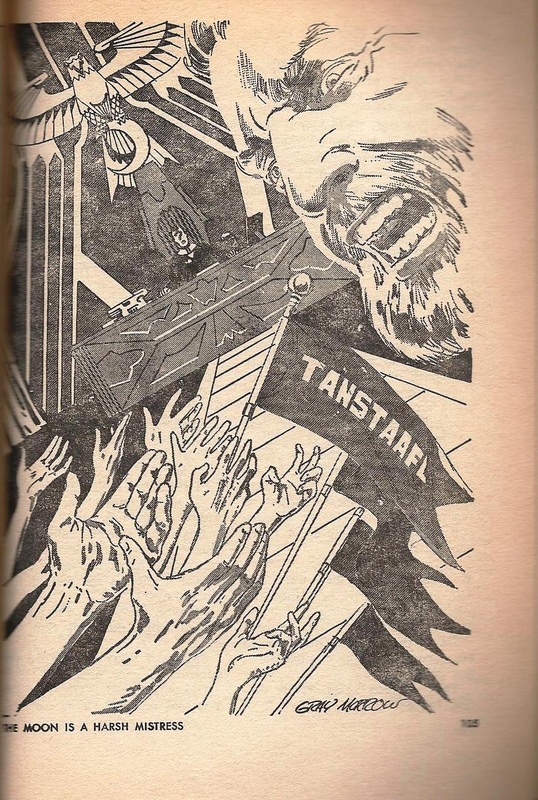 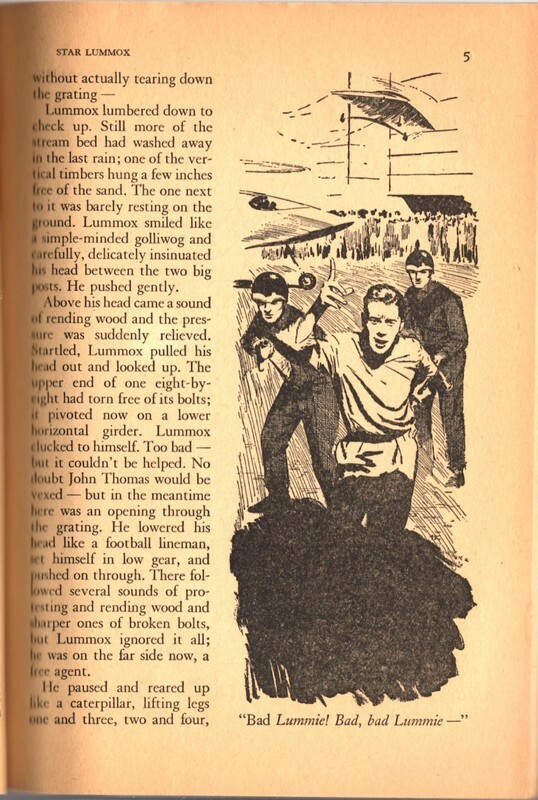 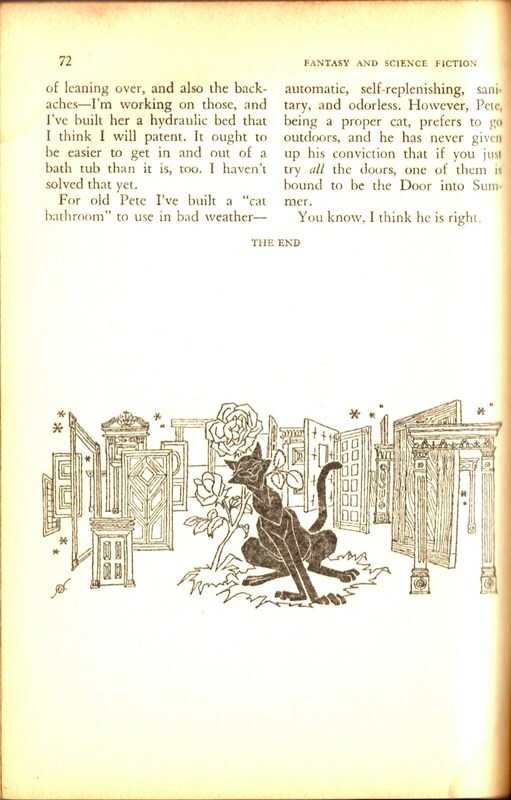 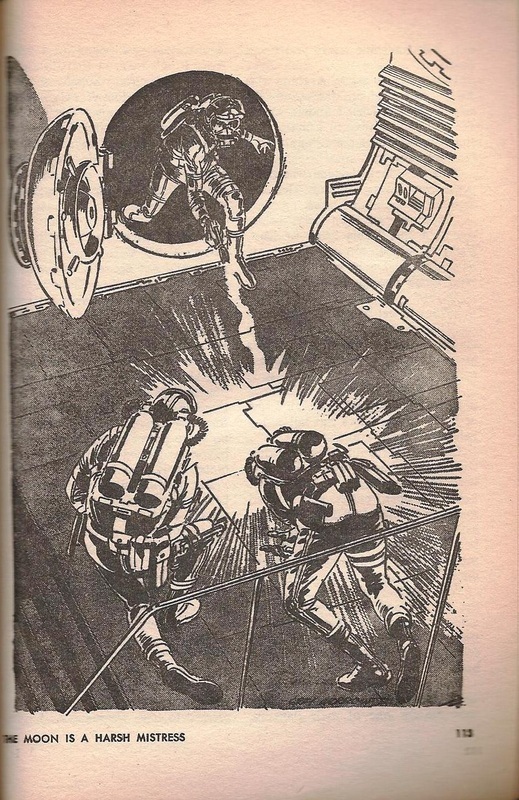 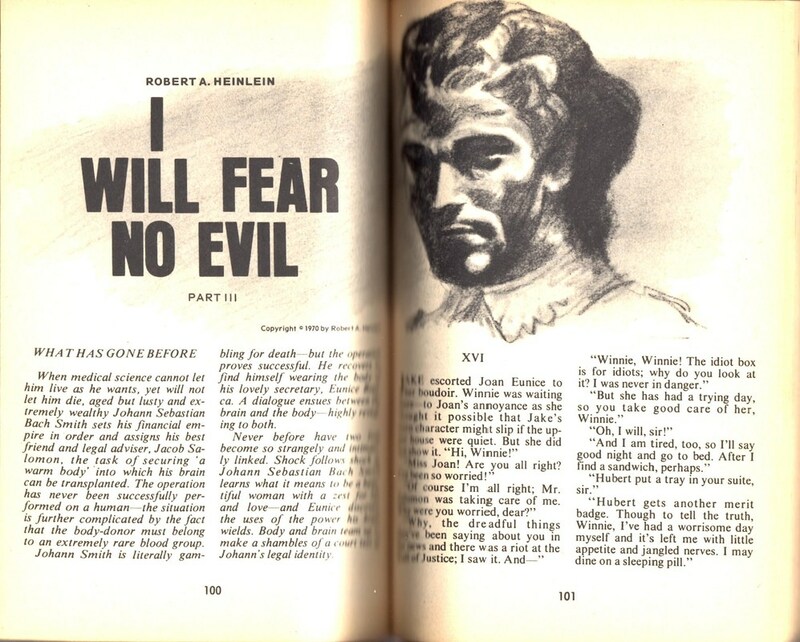 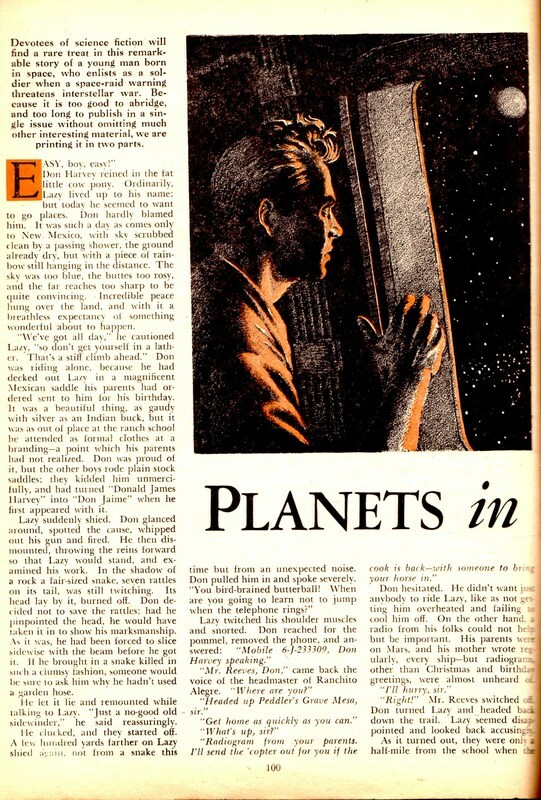 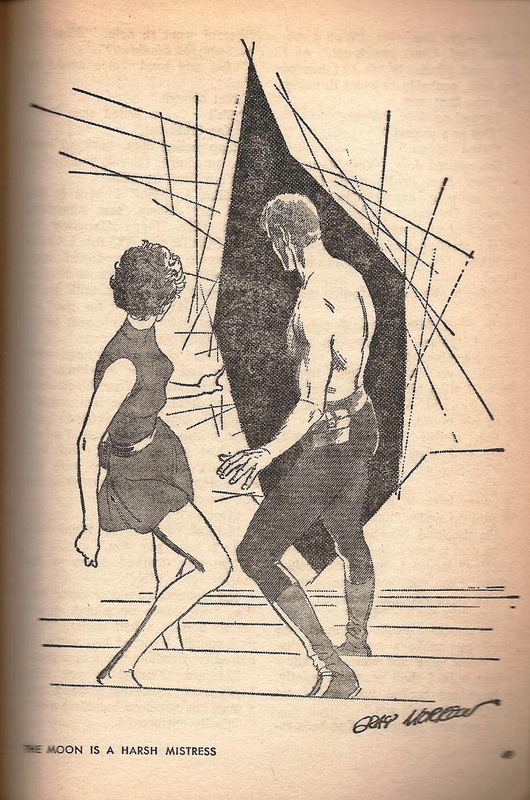 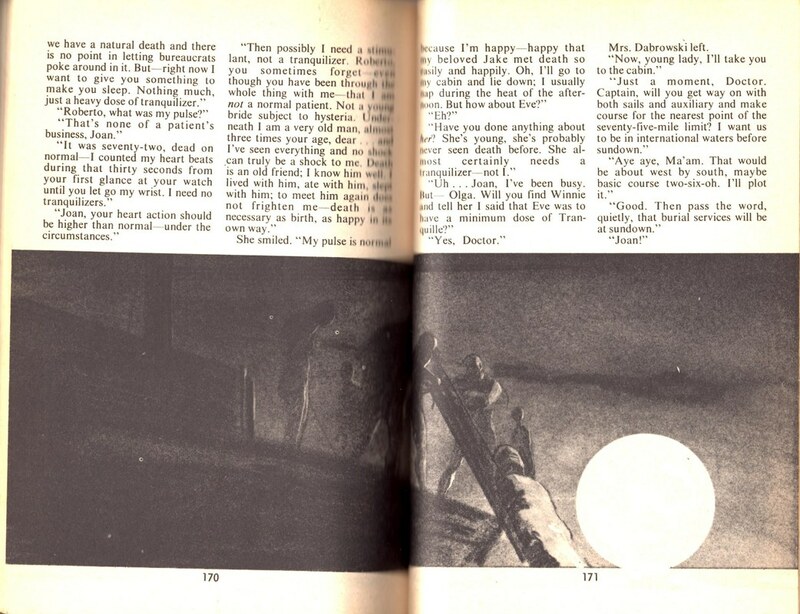 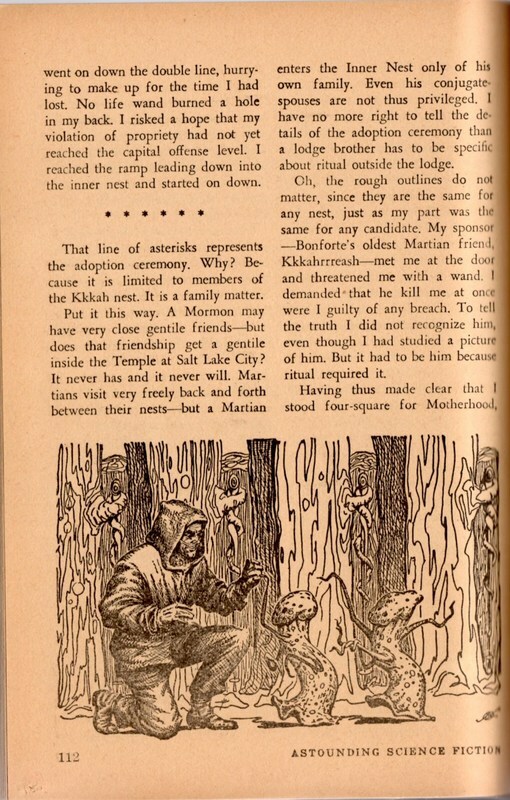 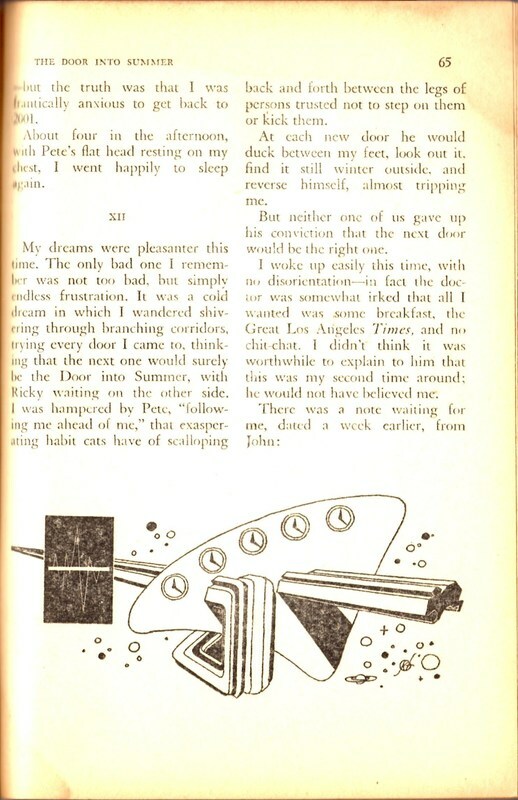 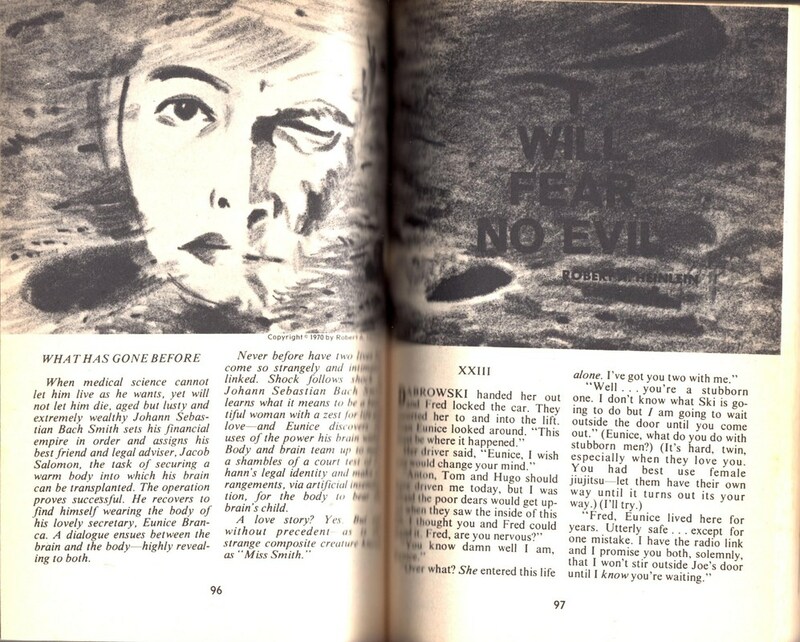 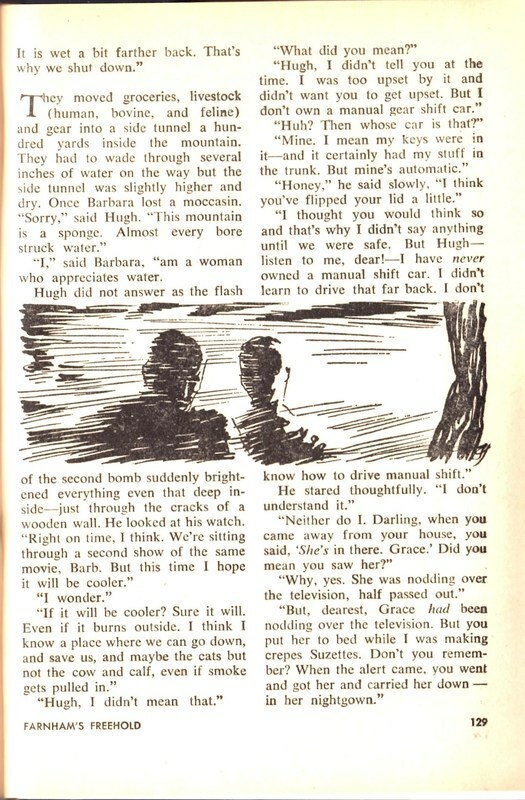 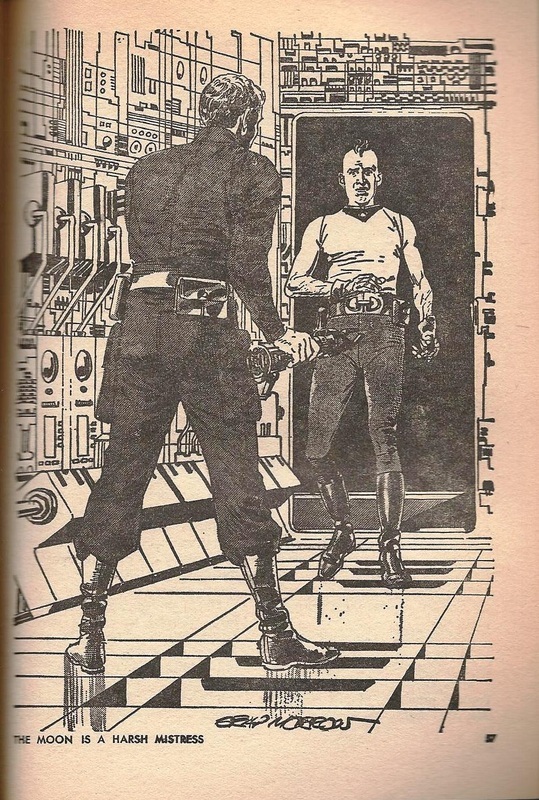 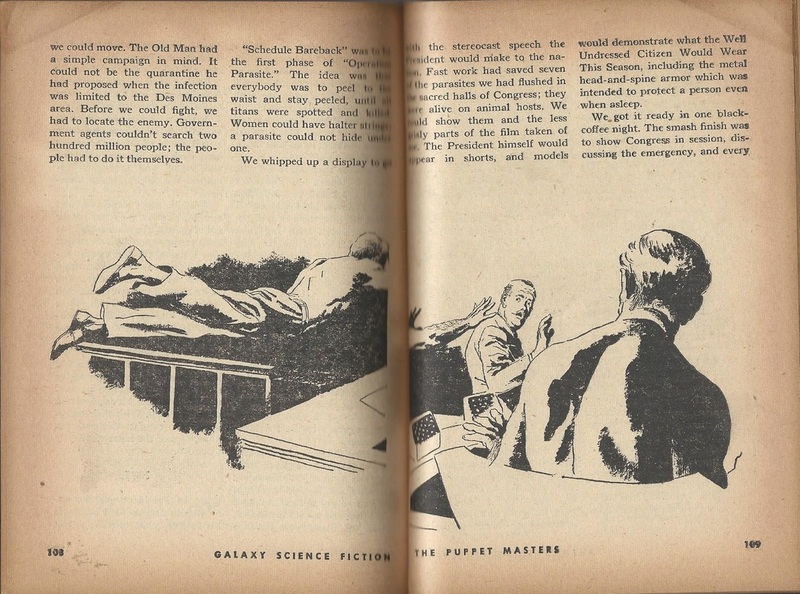 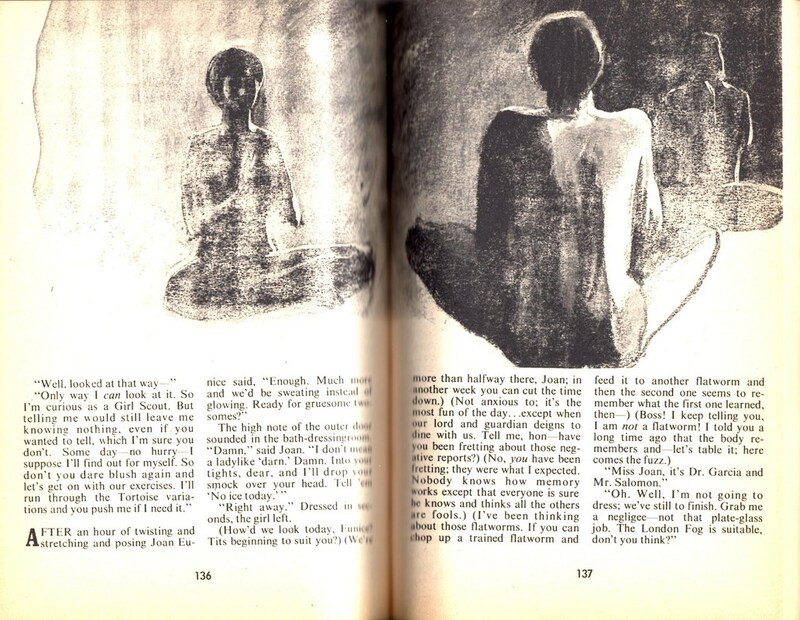 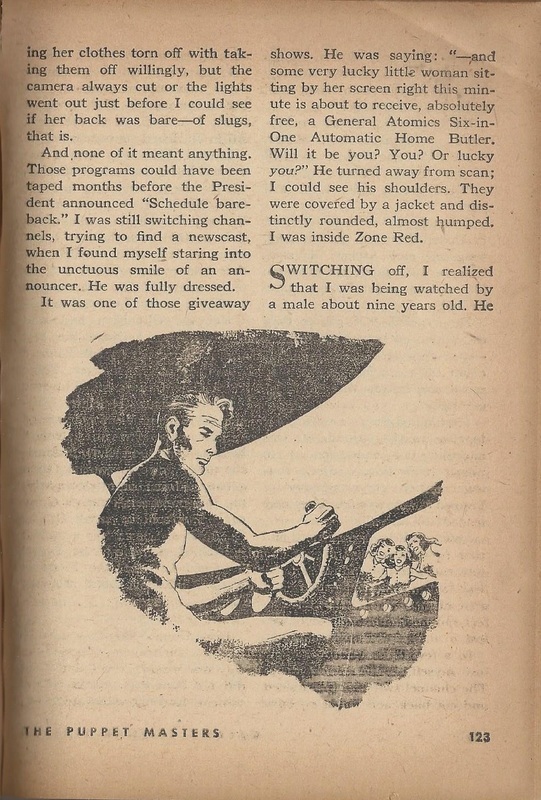 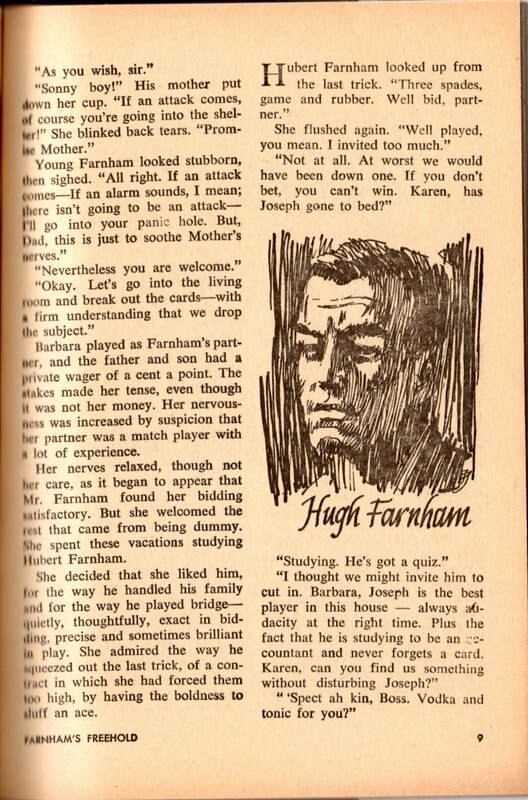 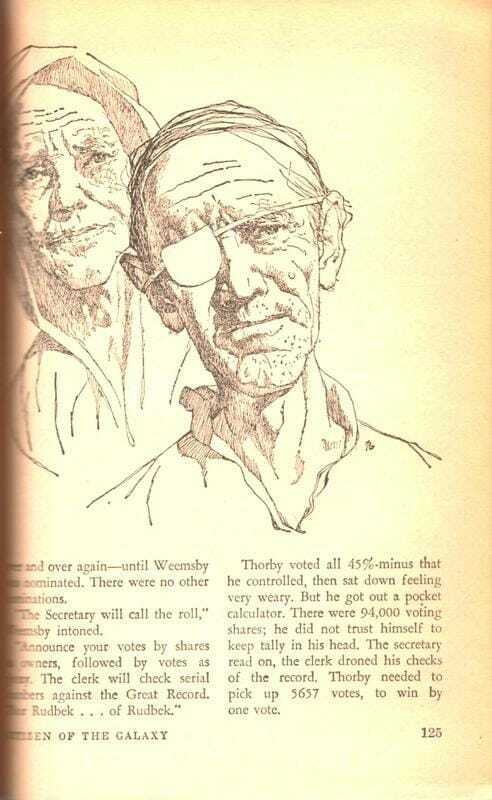 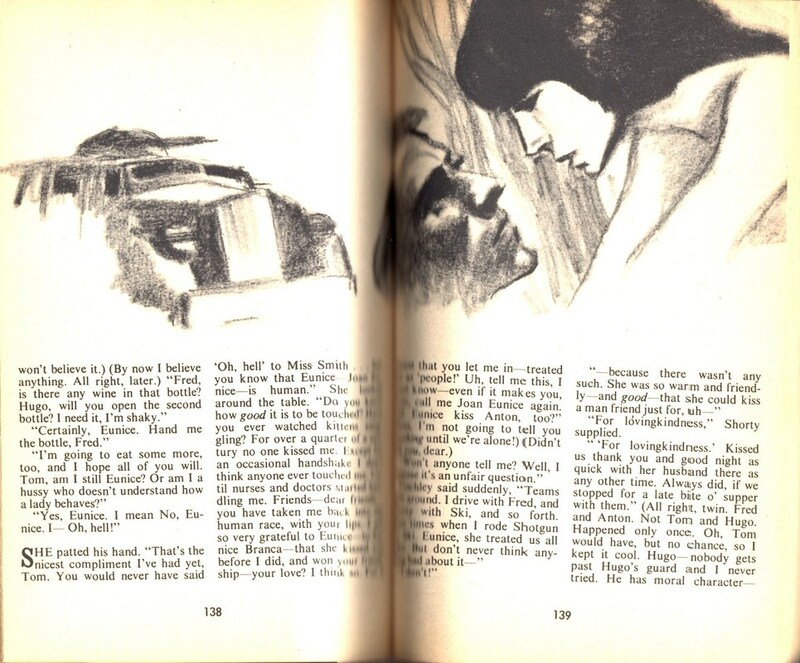 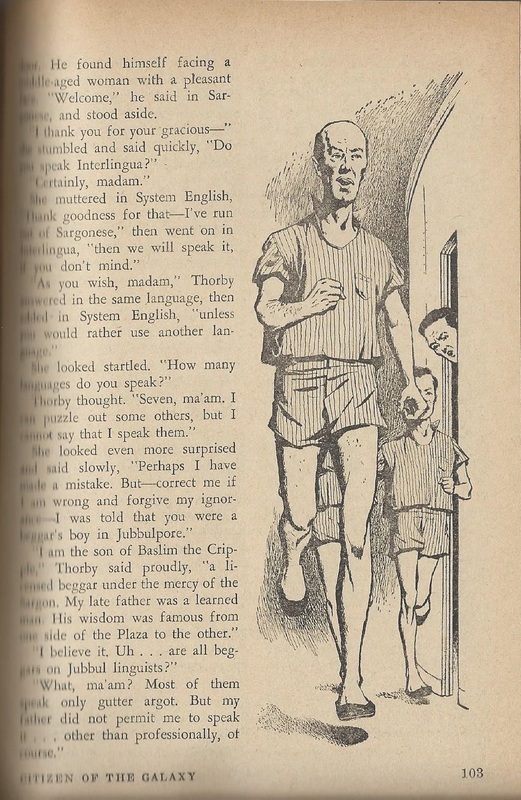 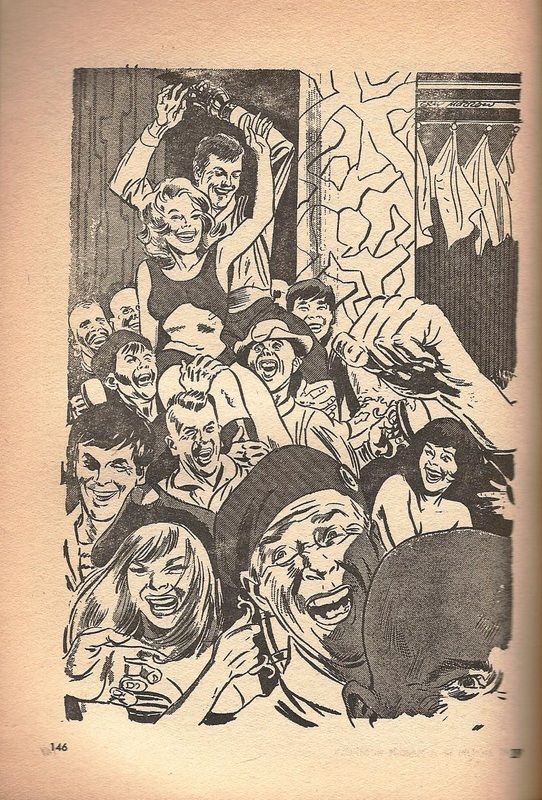 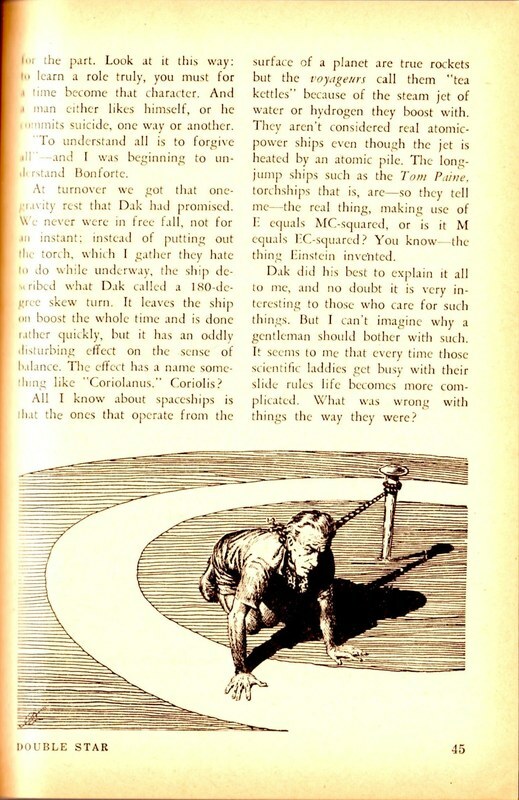 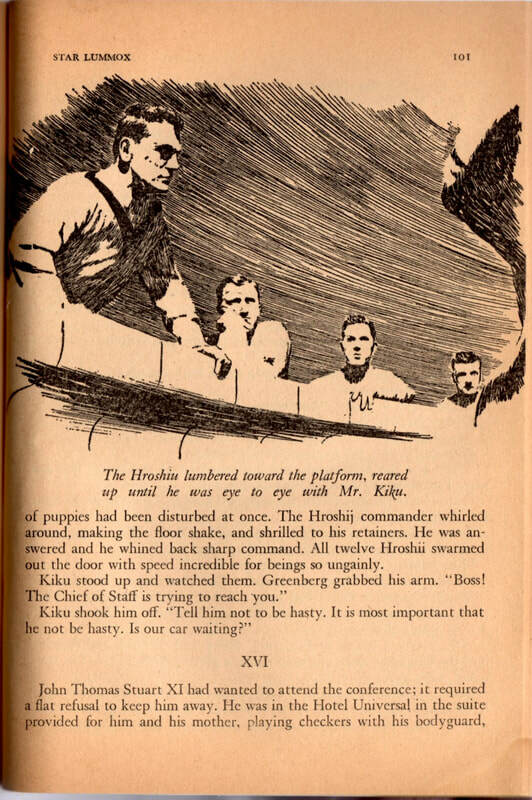 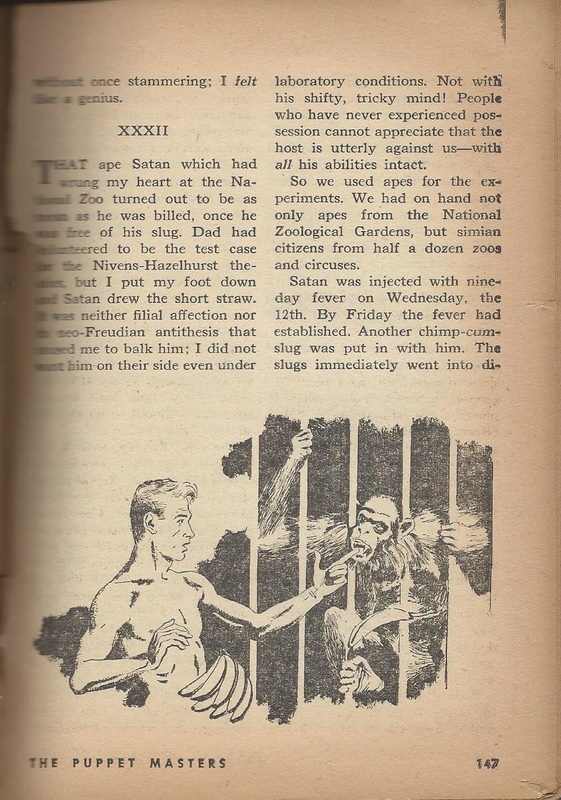 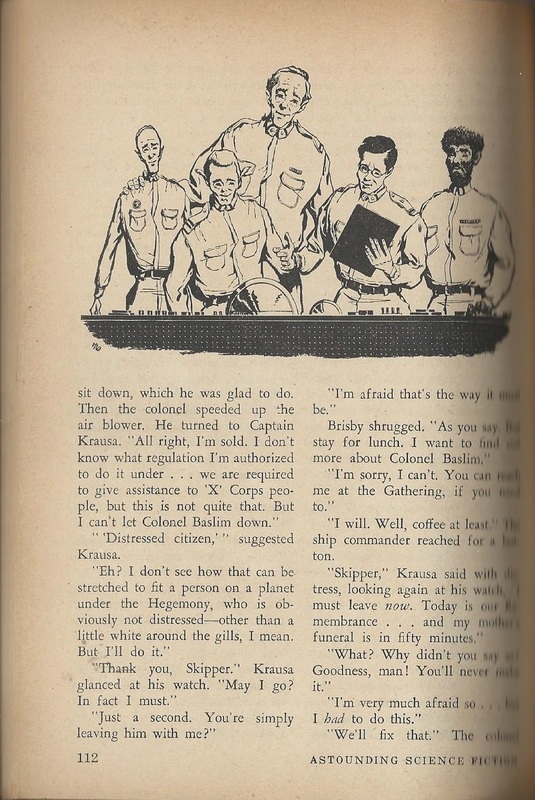 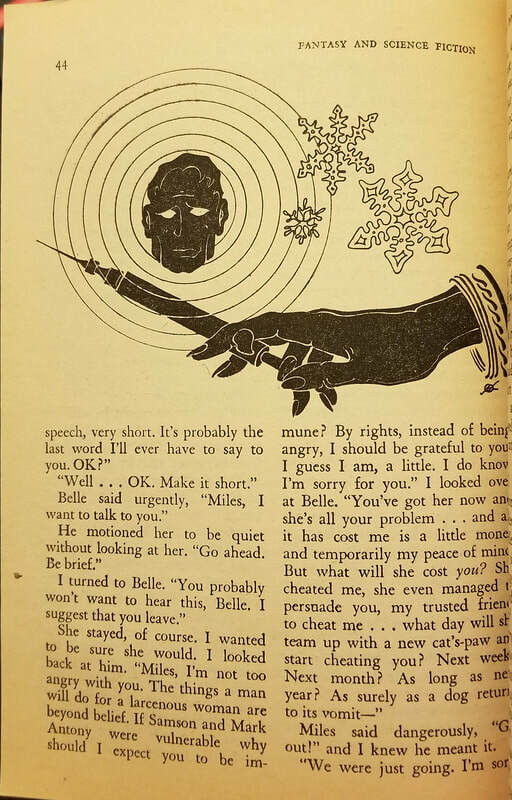 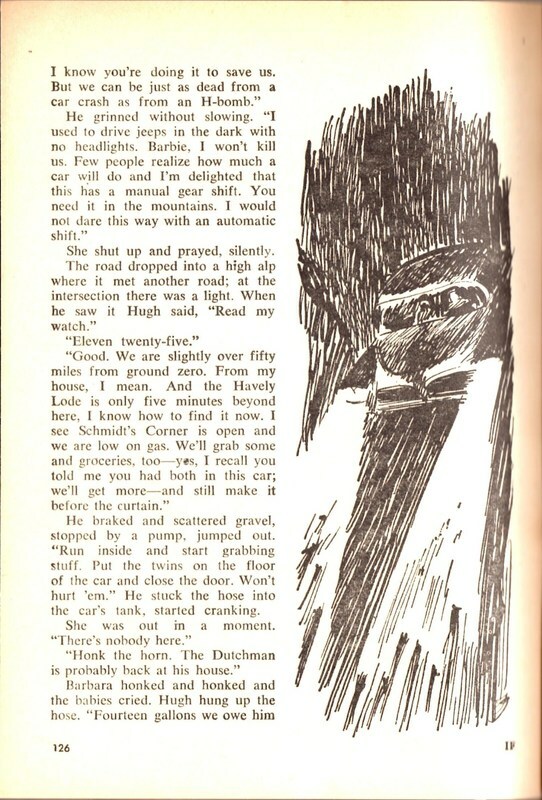 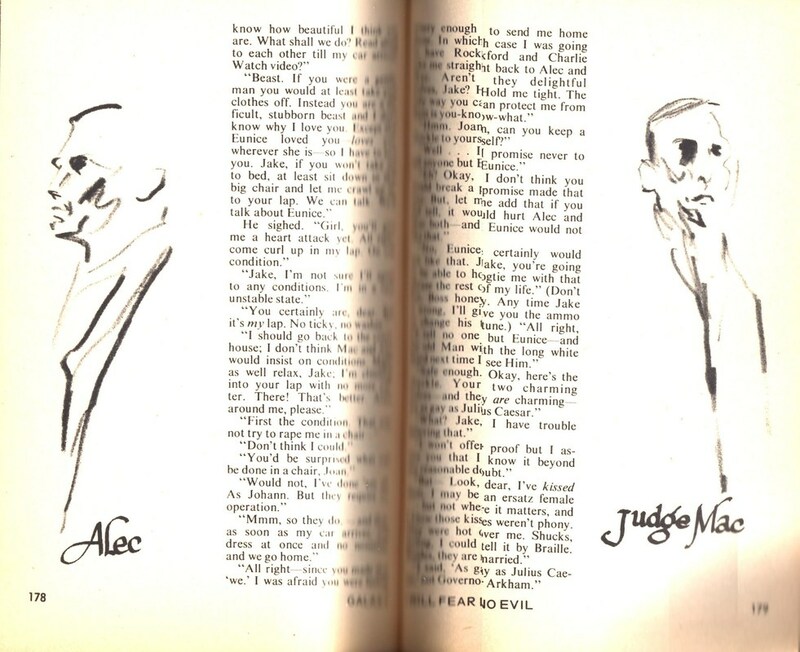 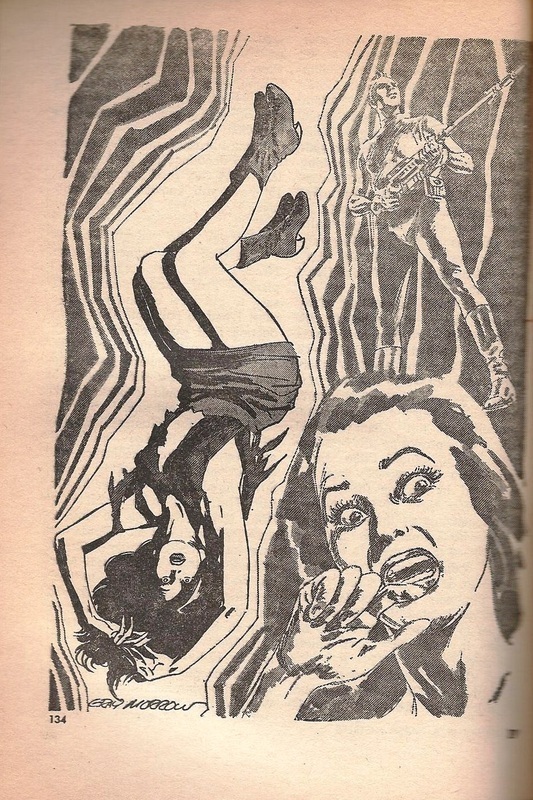 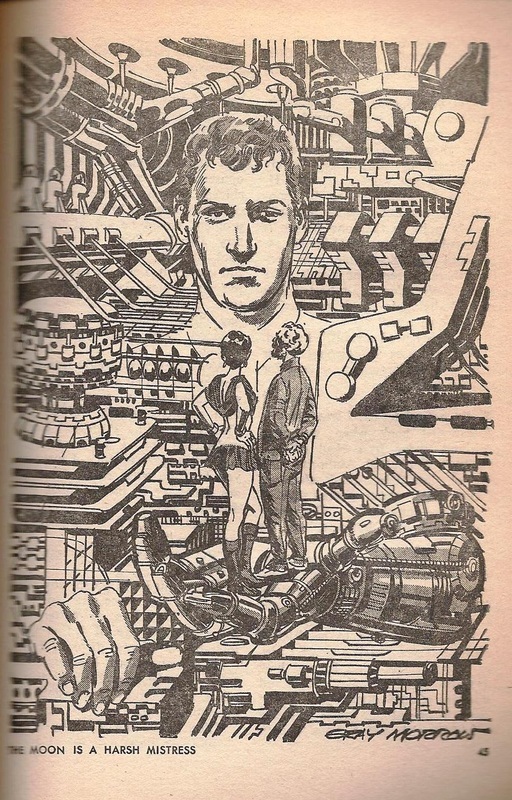 This page focuses on the serialization of Heinlein novels from the 1950s through the 1970s; quite a few include interiors drawings as well, which is a nice treat. 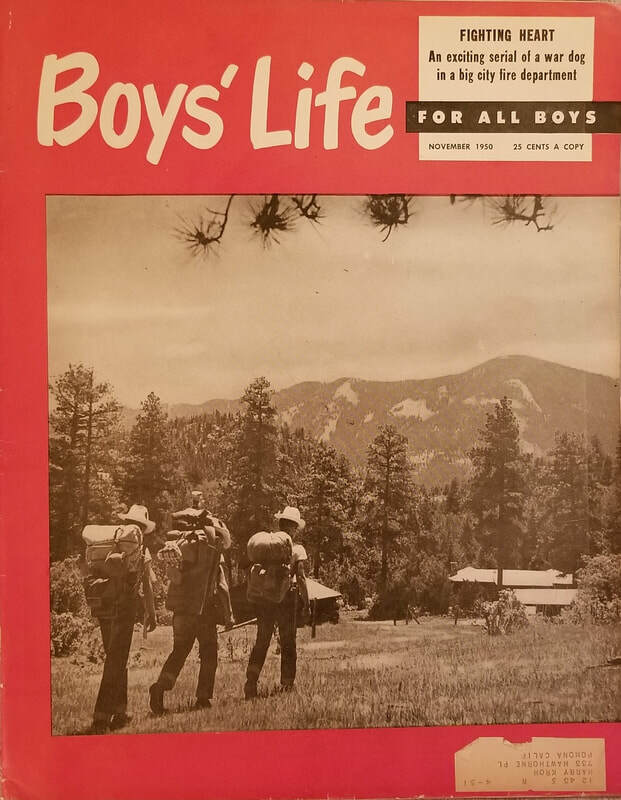 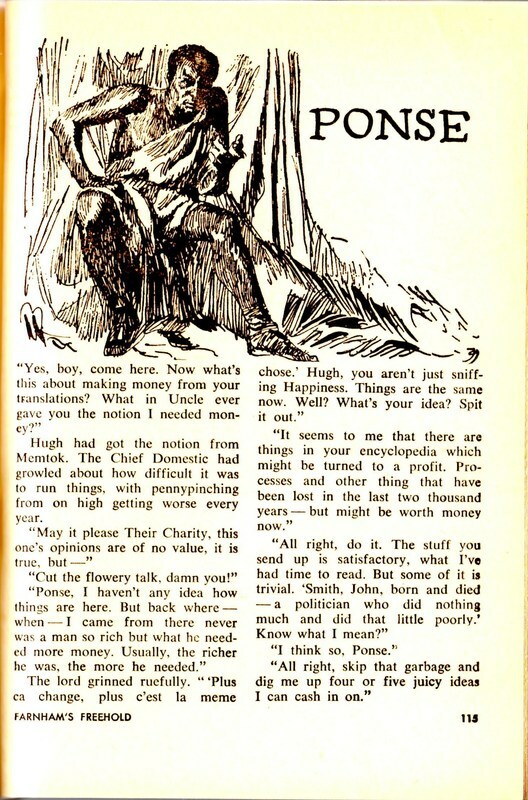 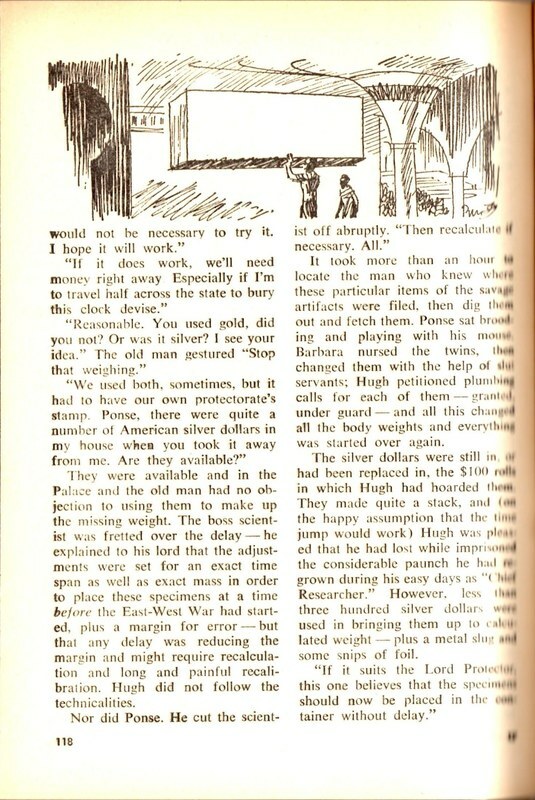 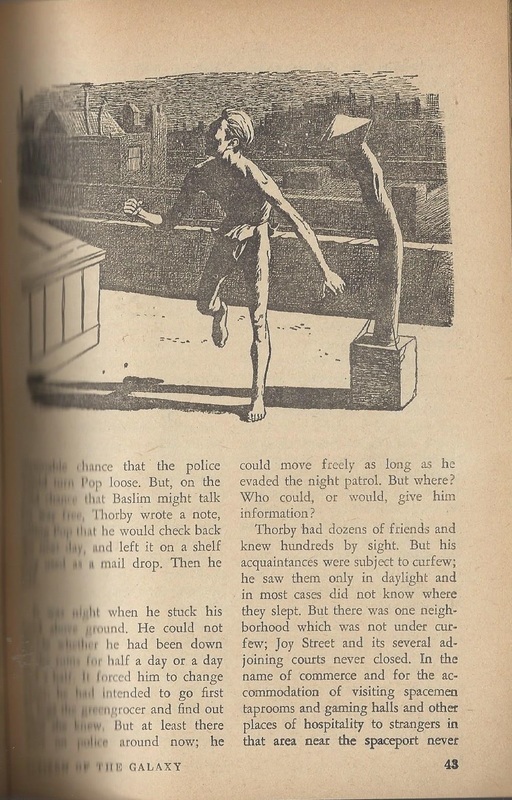 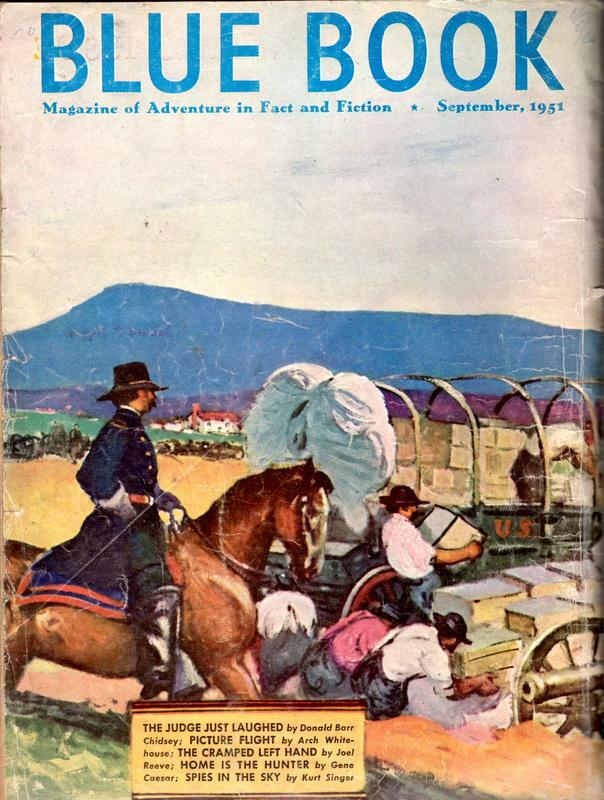 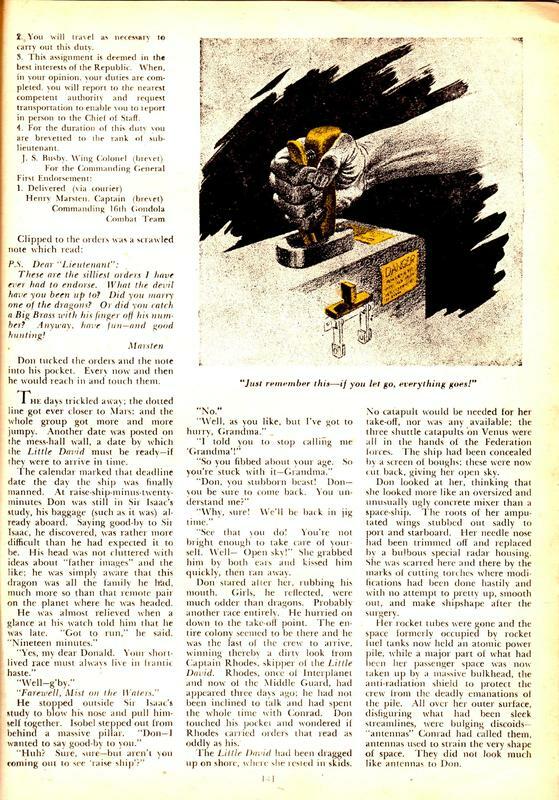 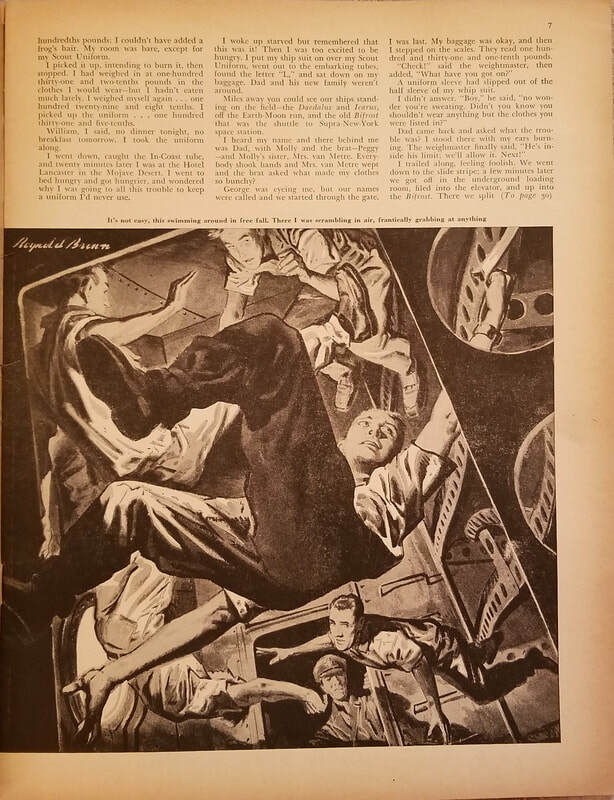 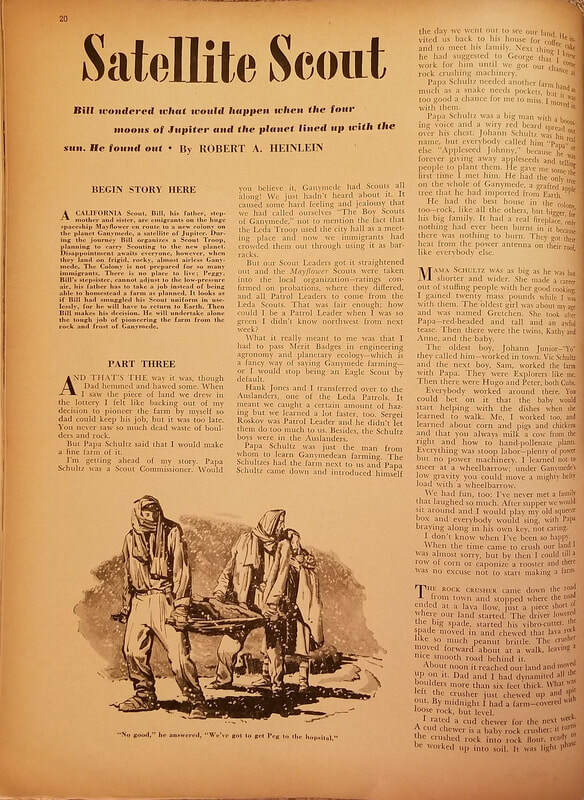 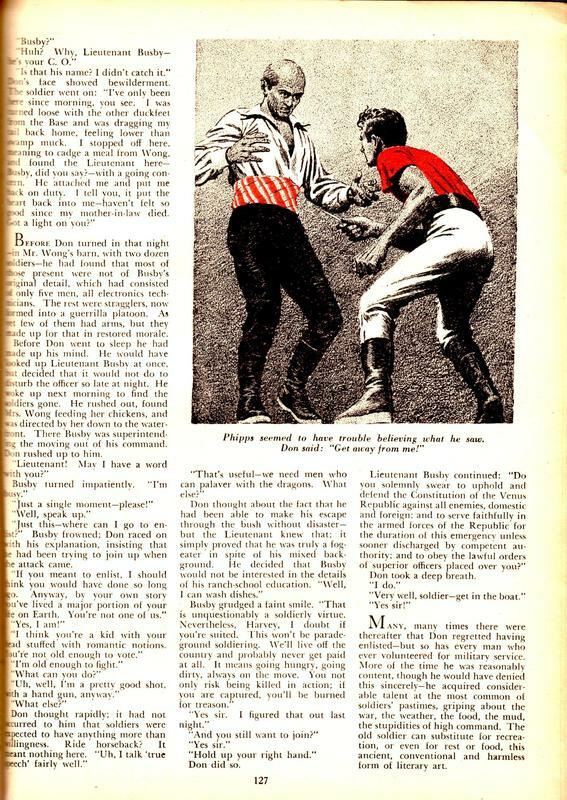 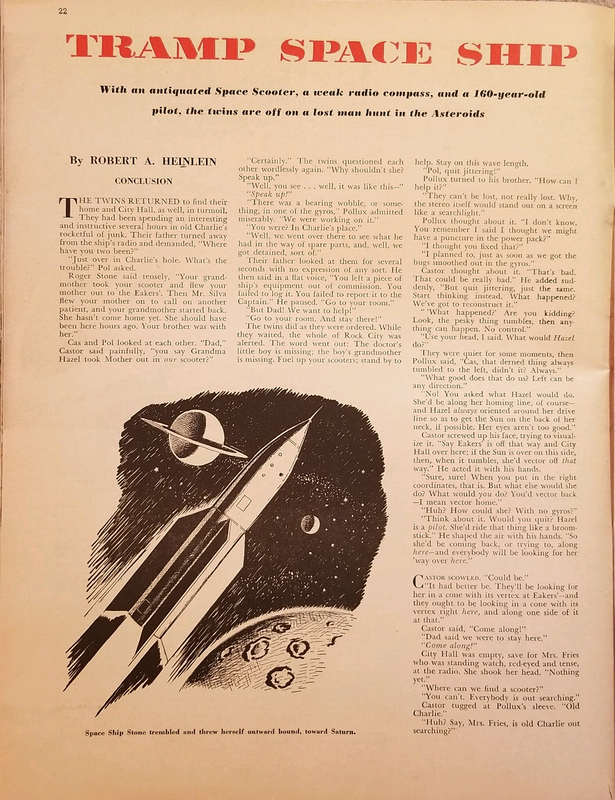 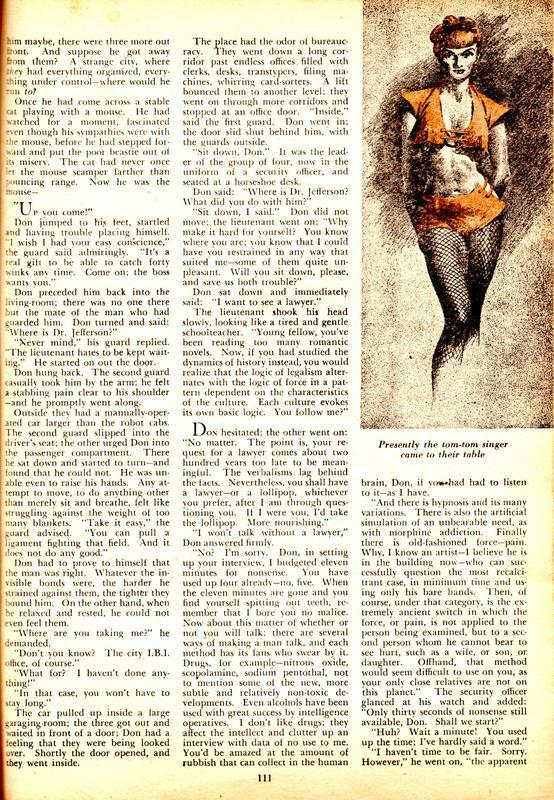 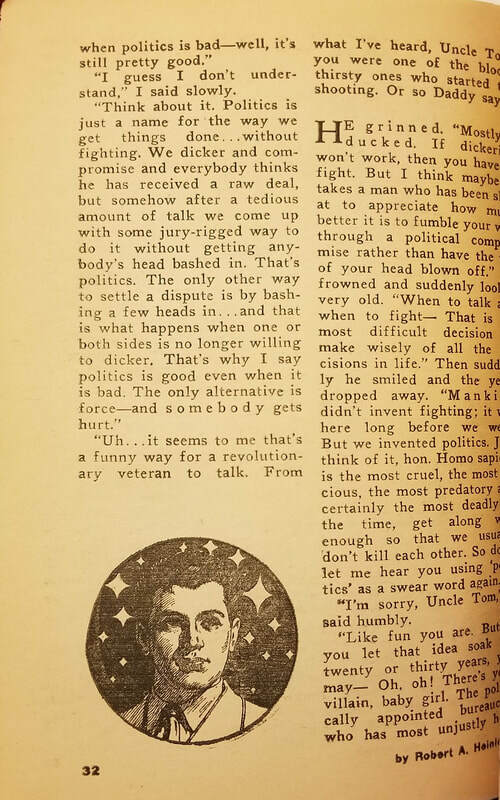 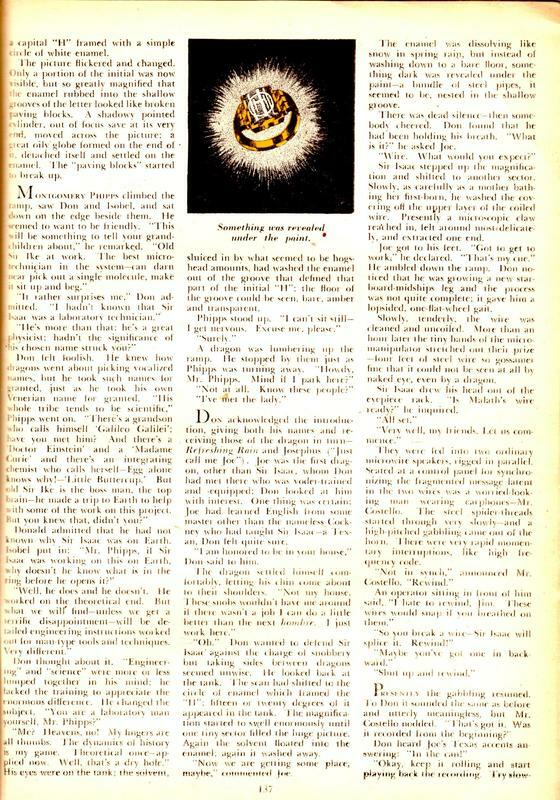 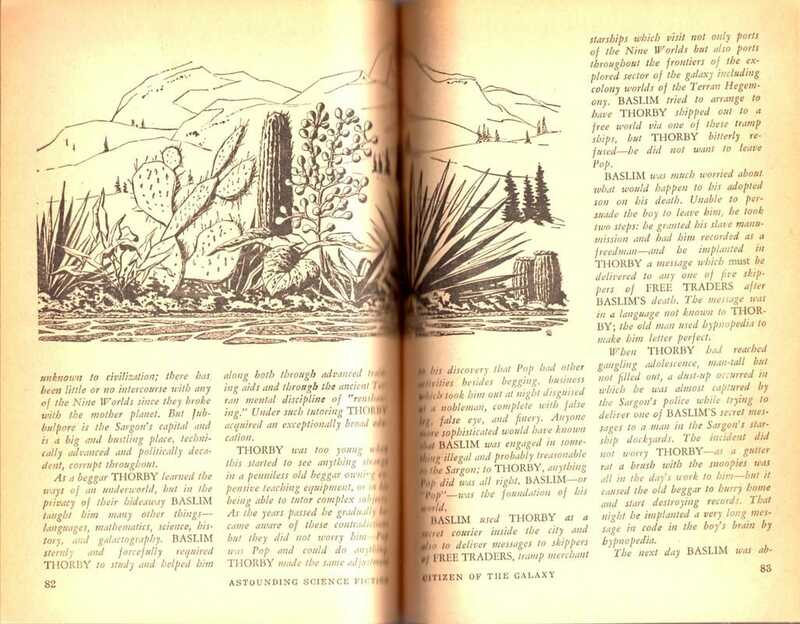 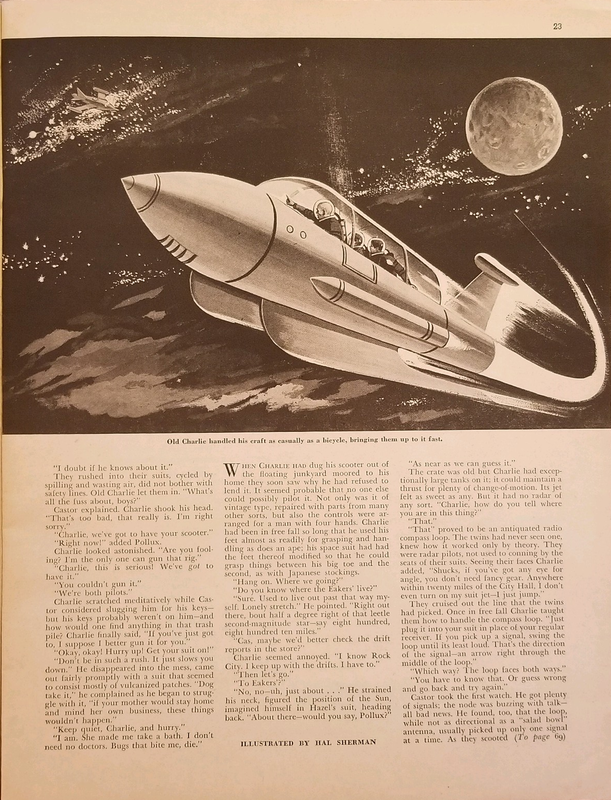 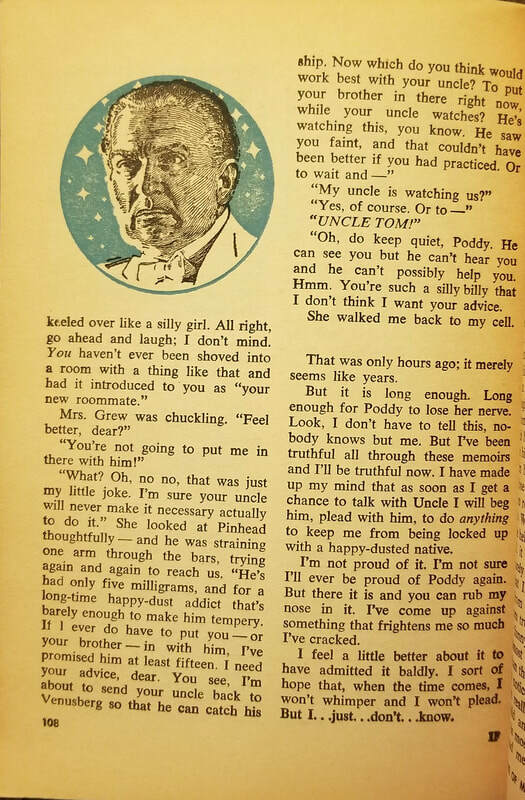 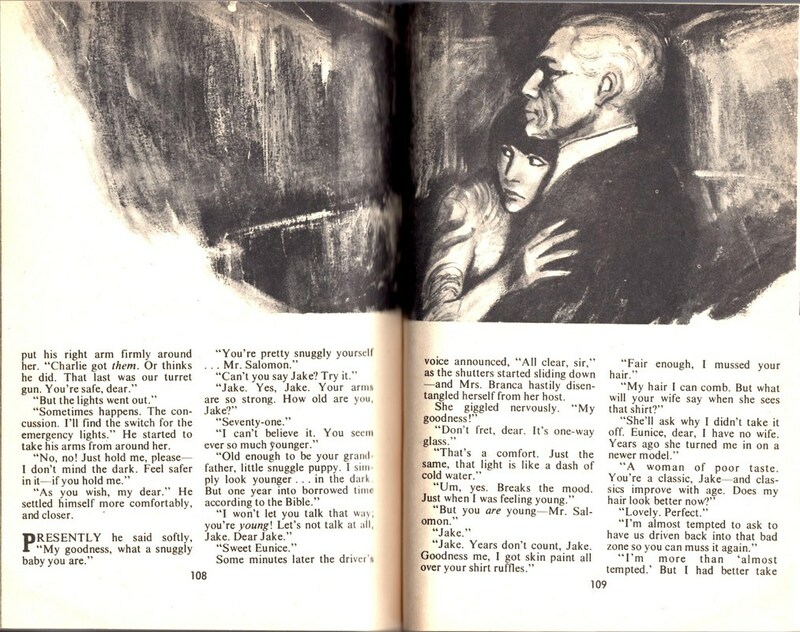 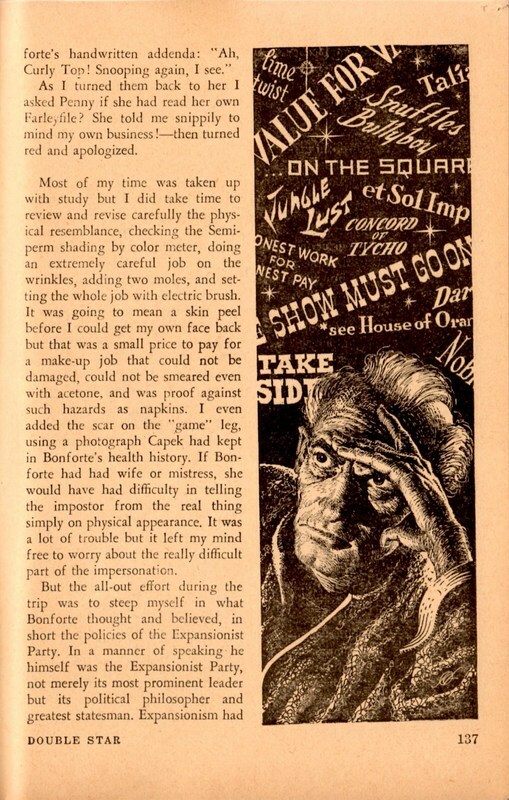 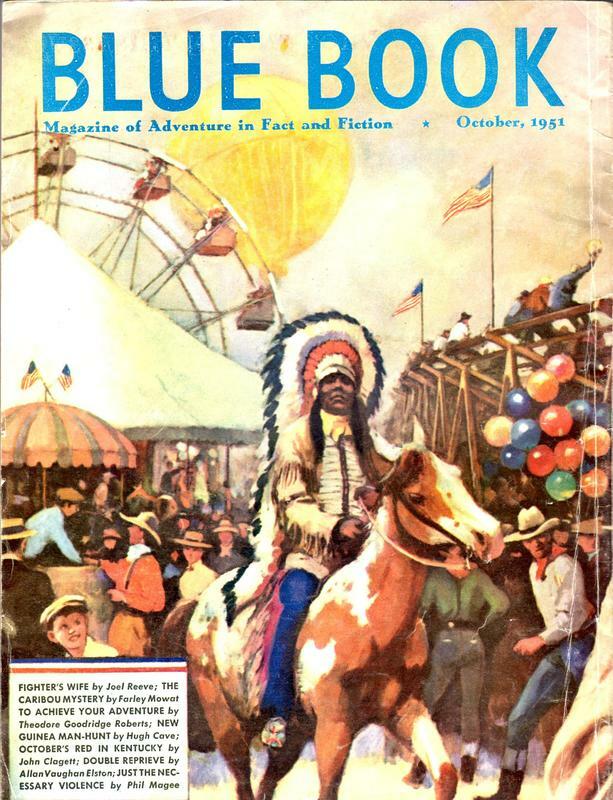 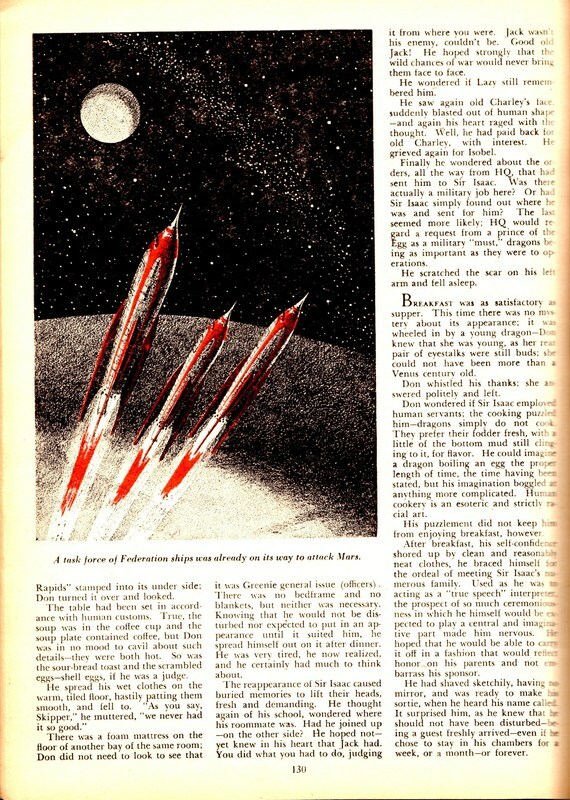 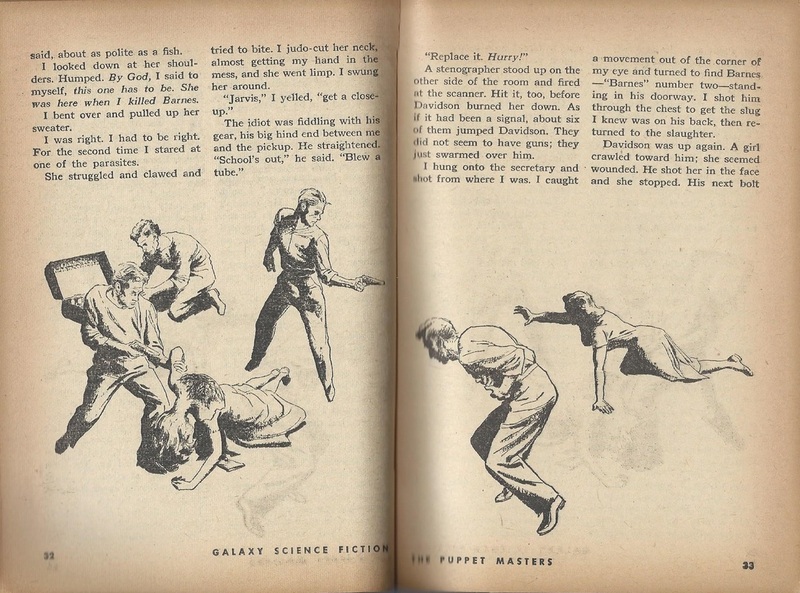 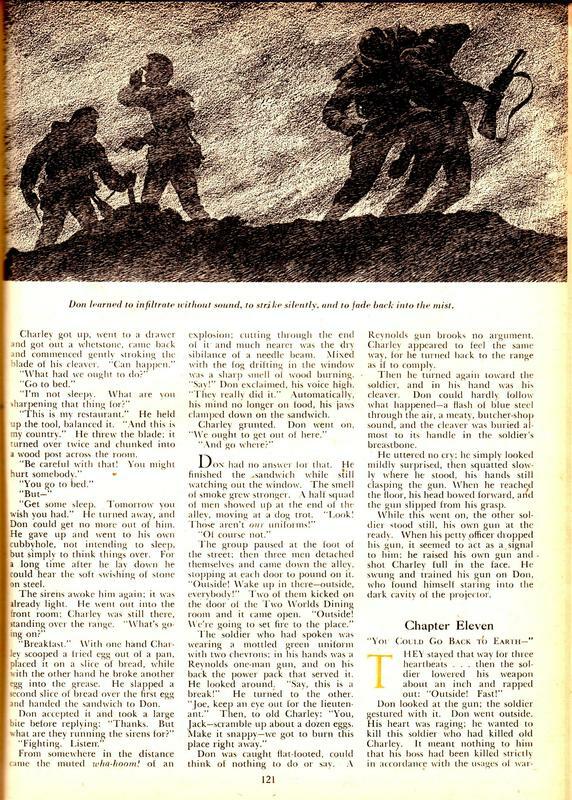 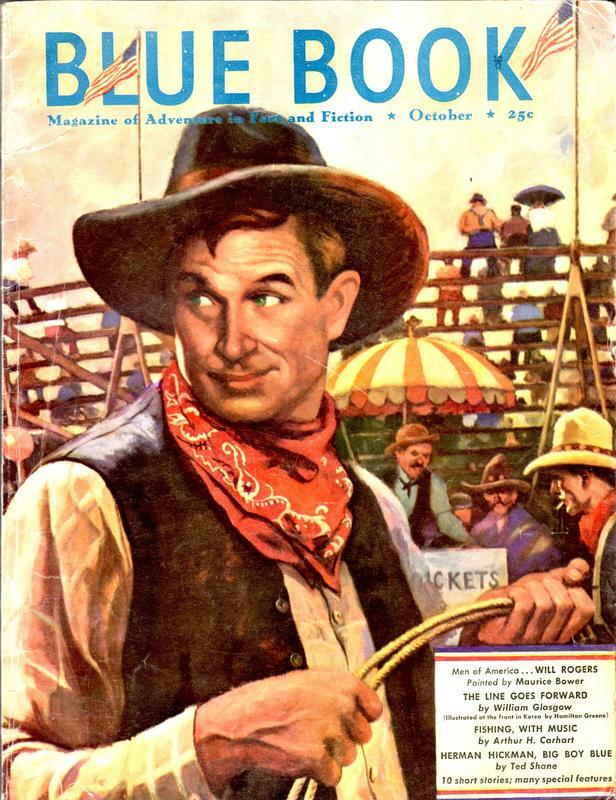 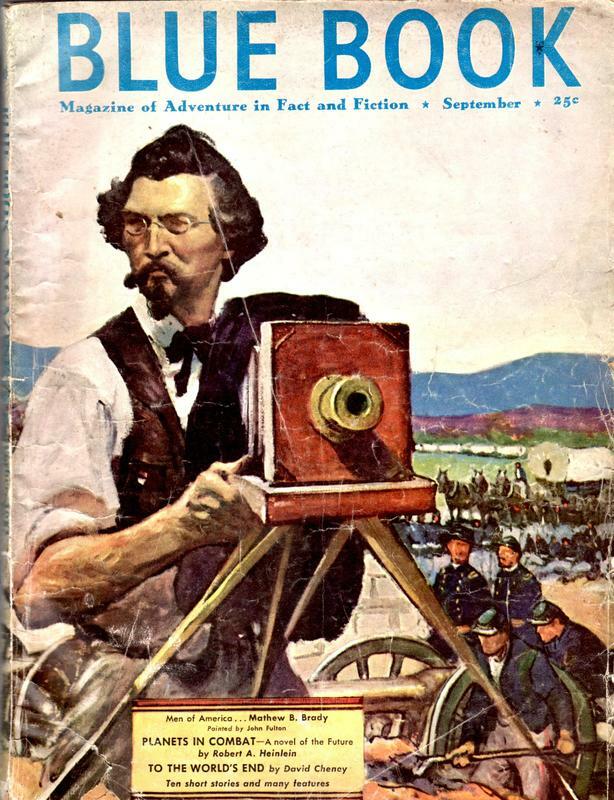 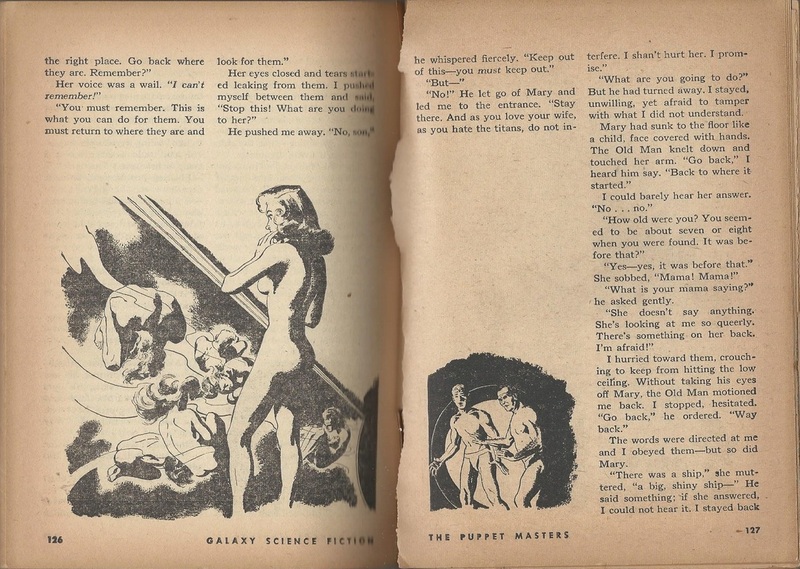 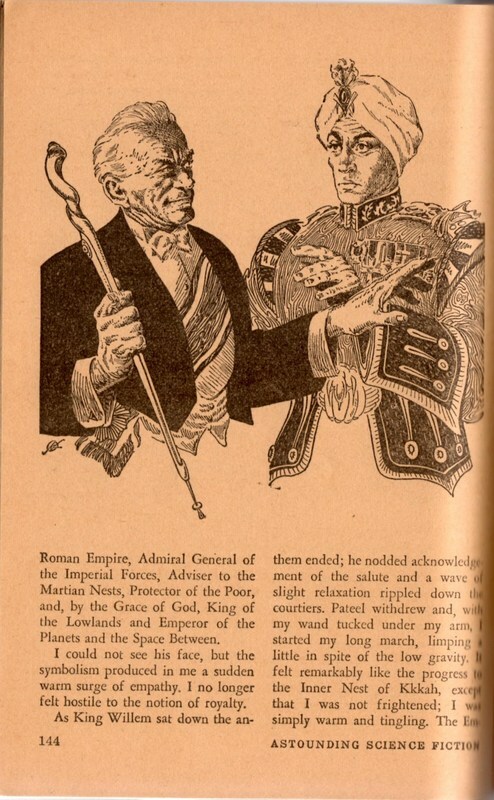 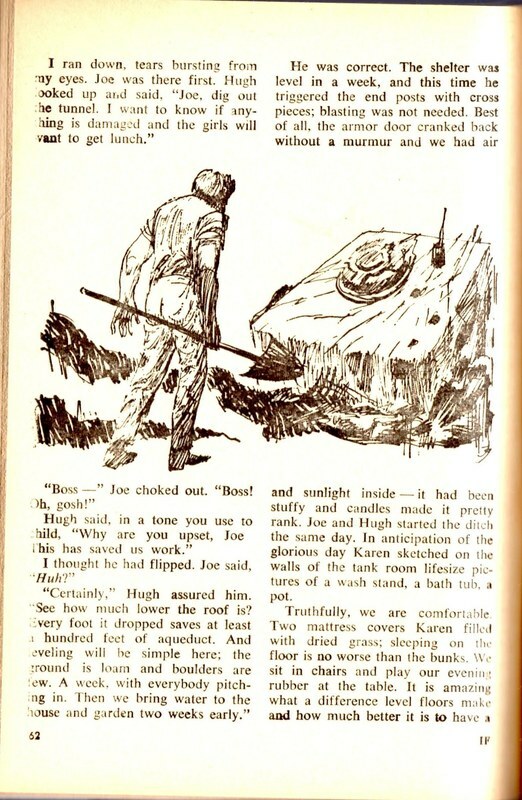 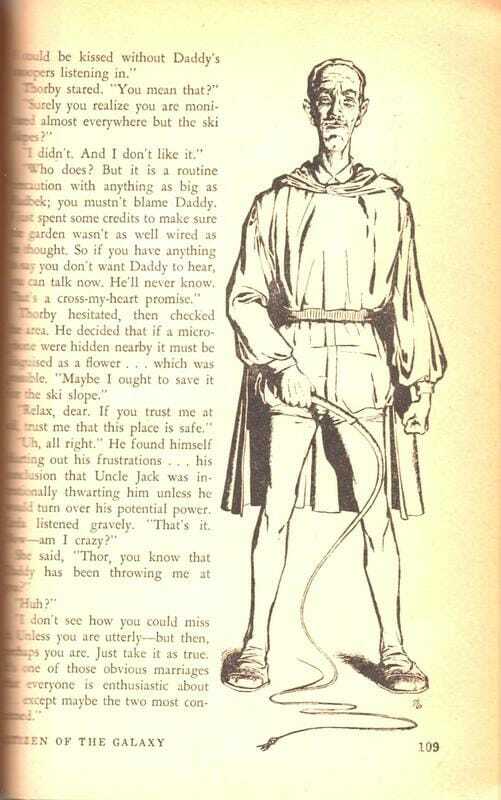 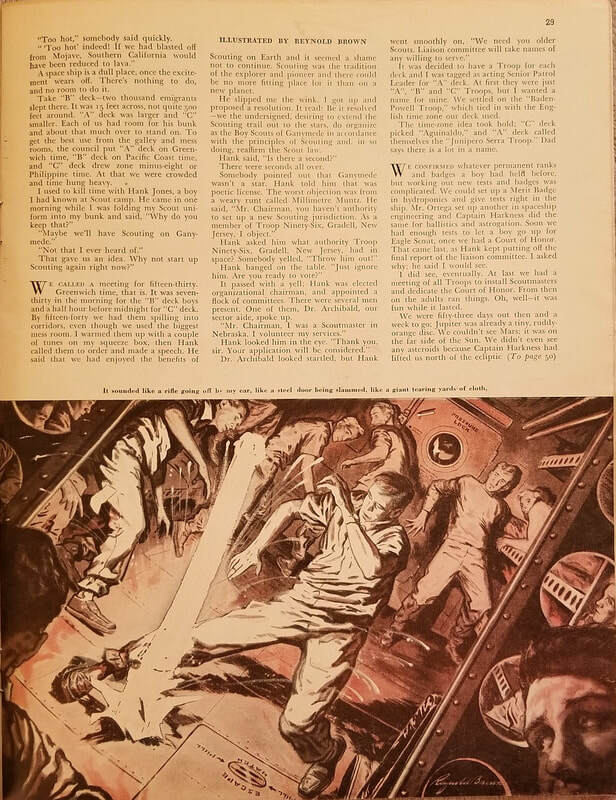 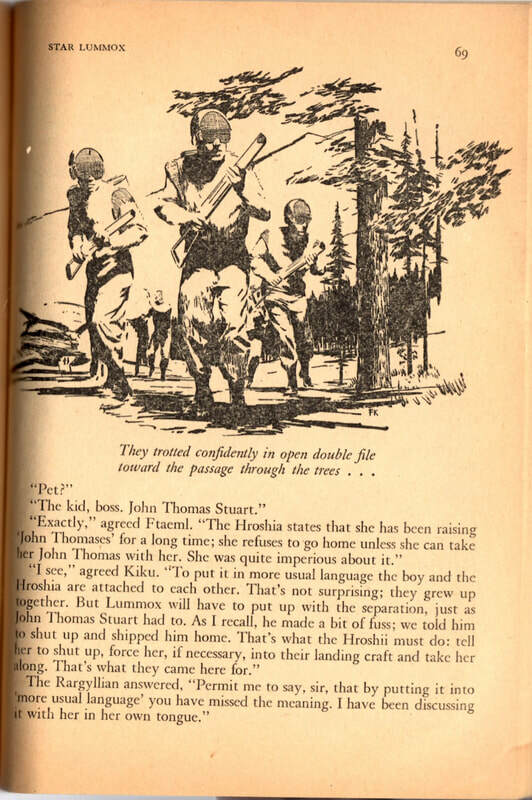 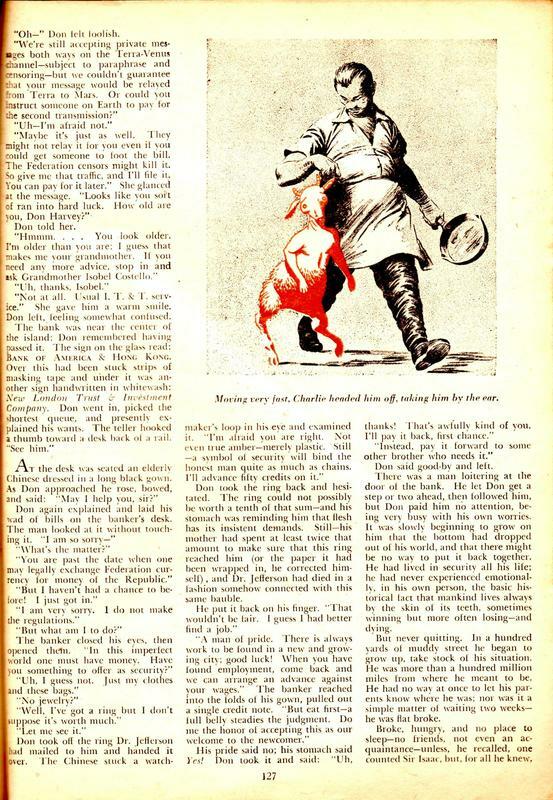 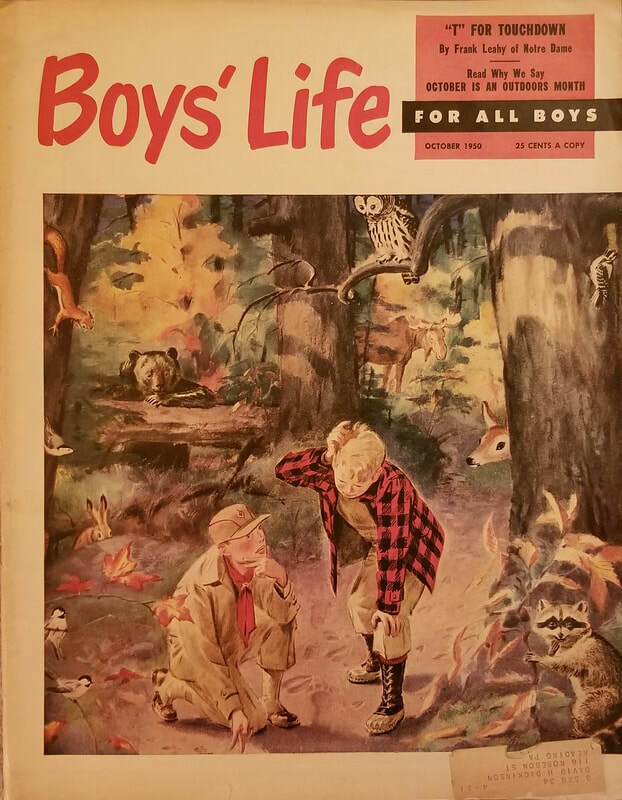 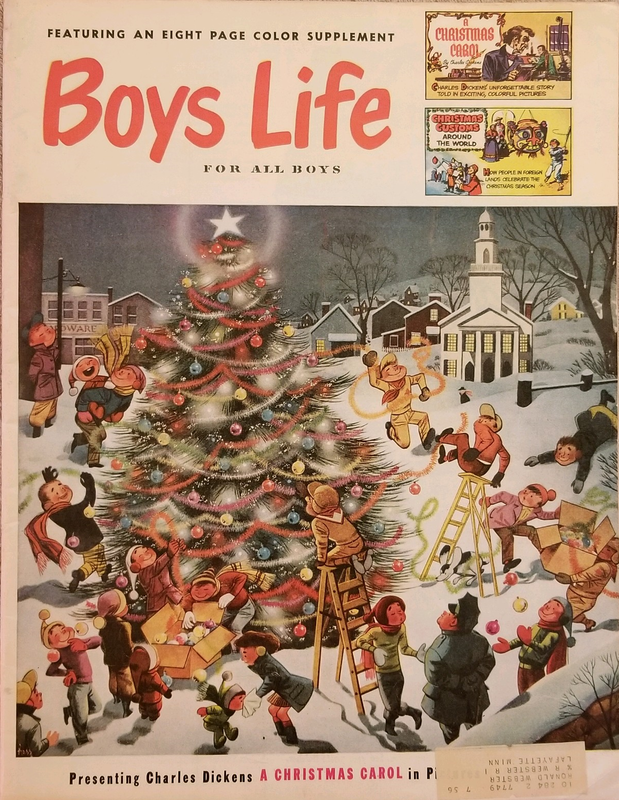 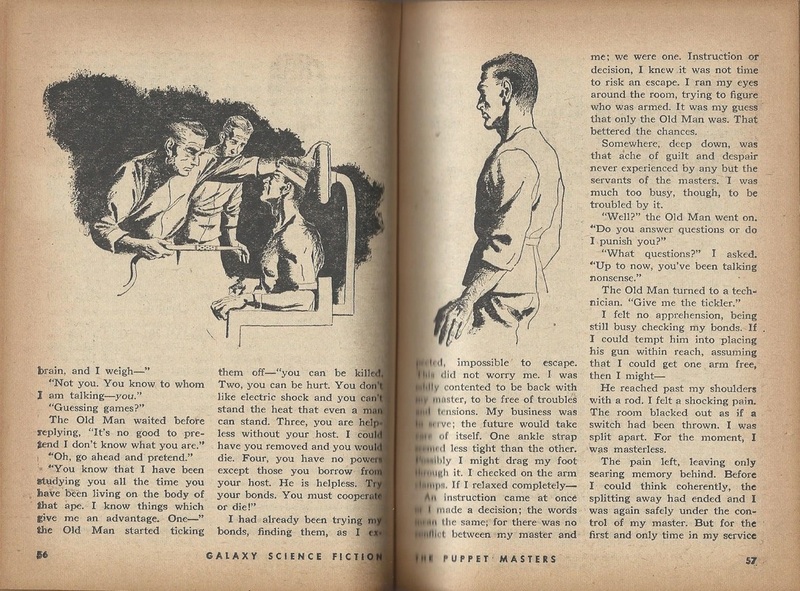 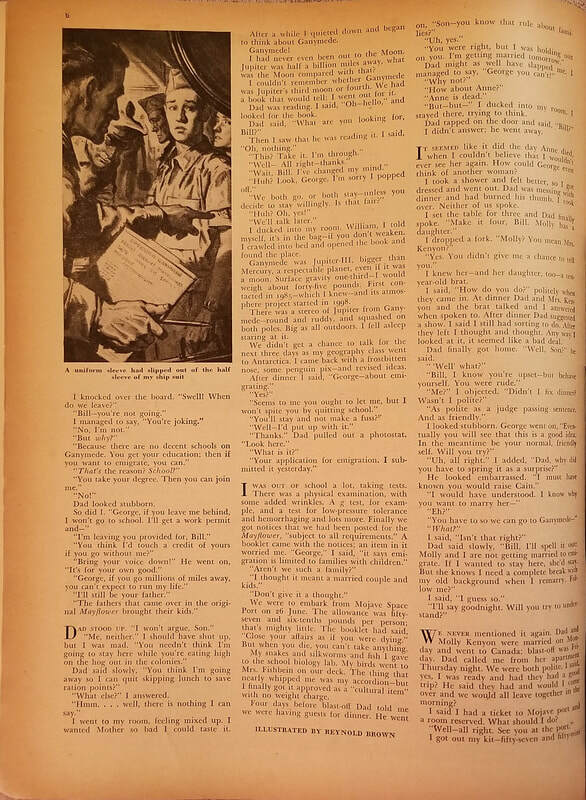 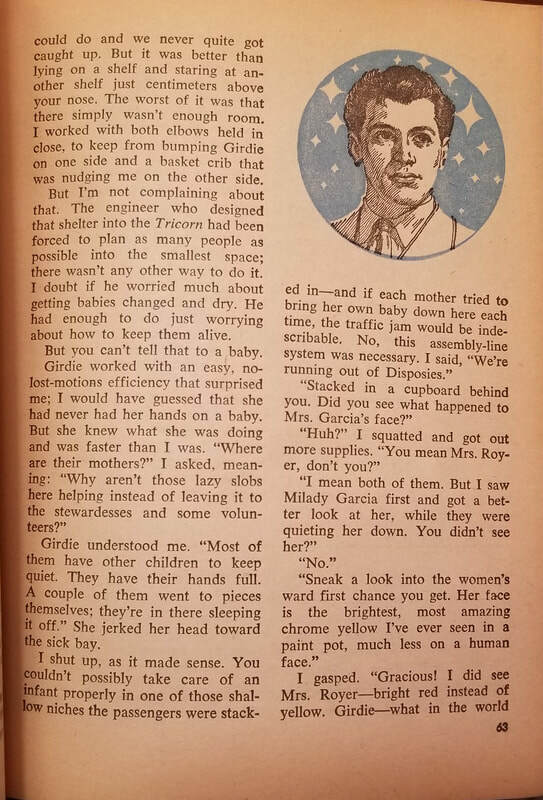 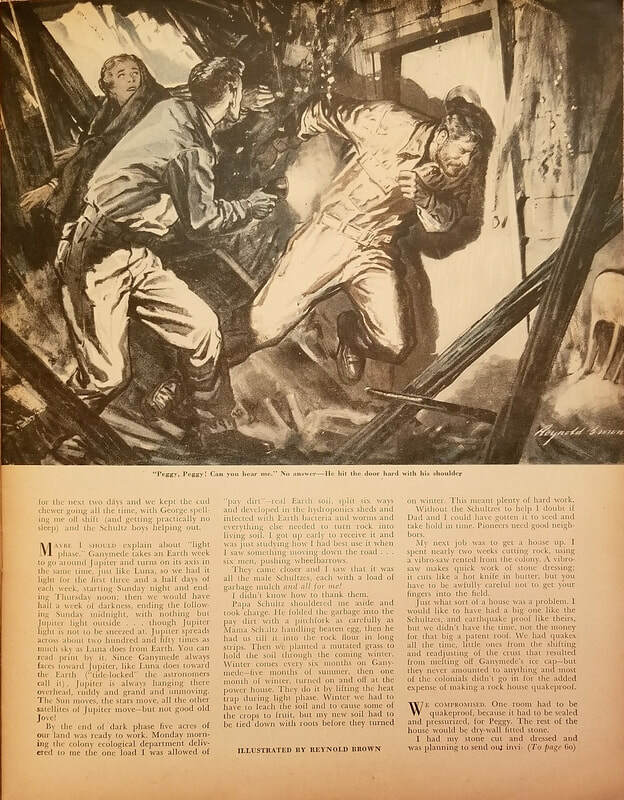 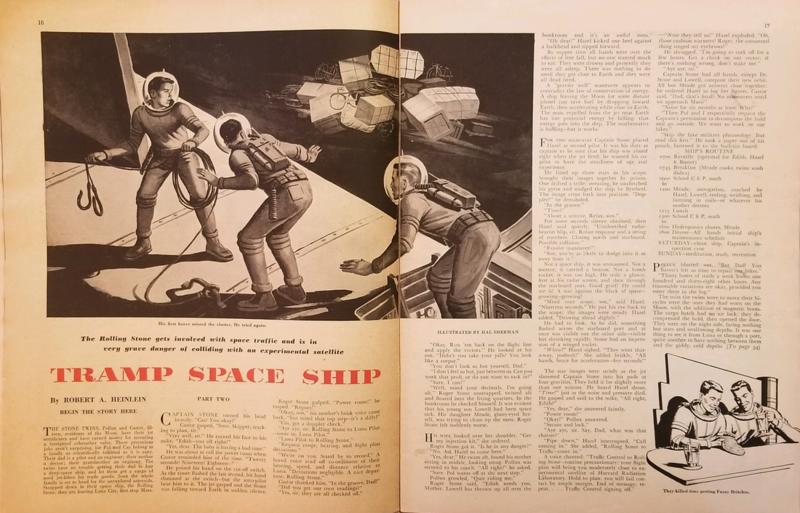 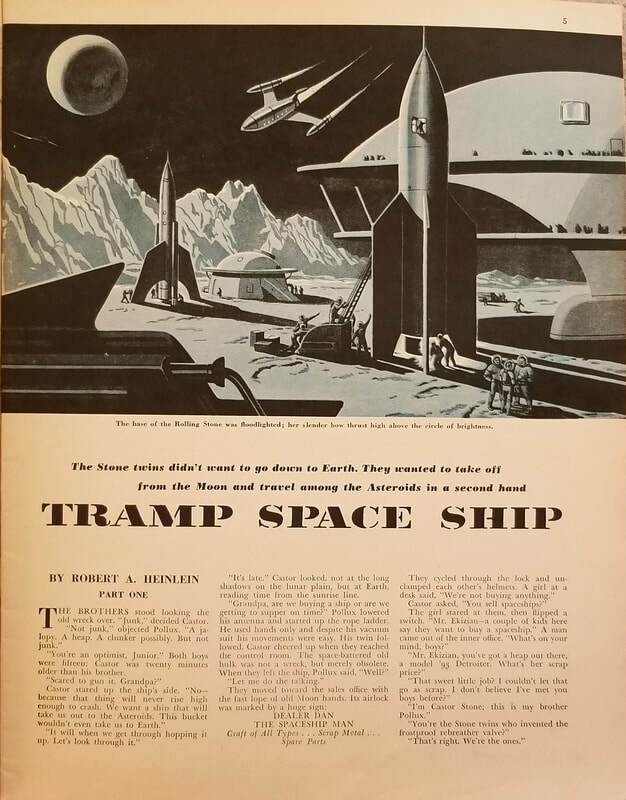 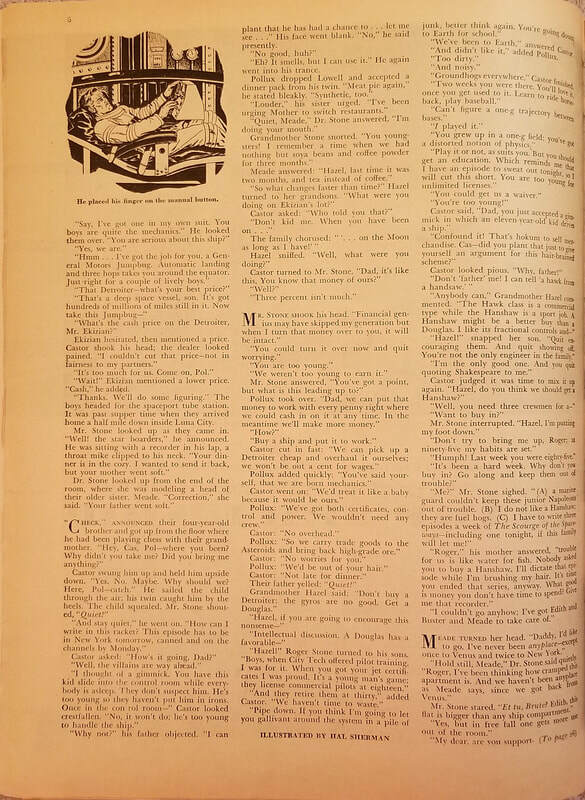 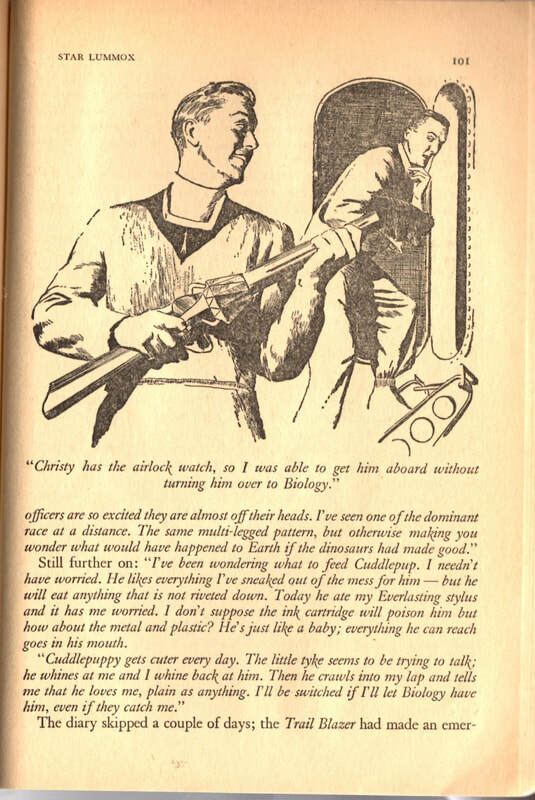 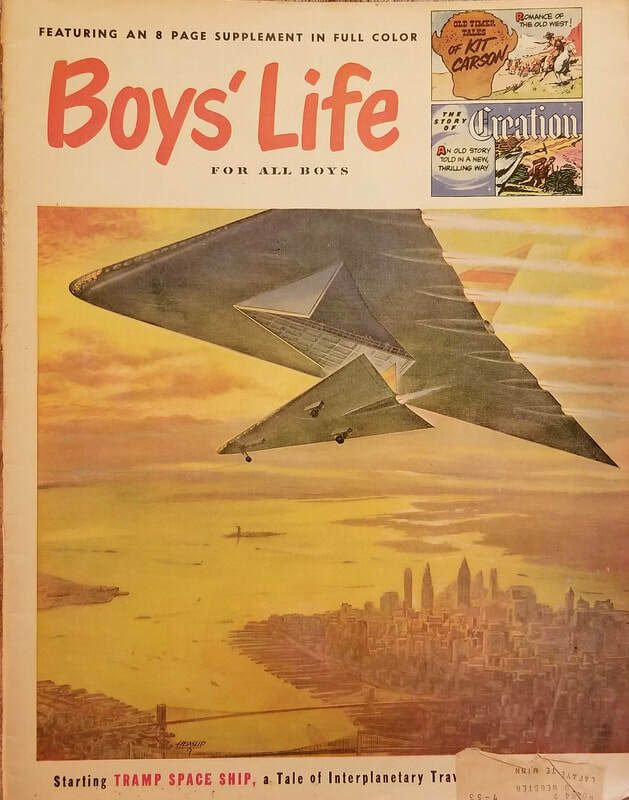 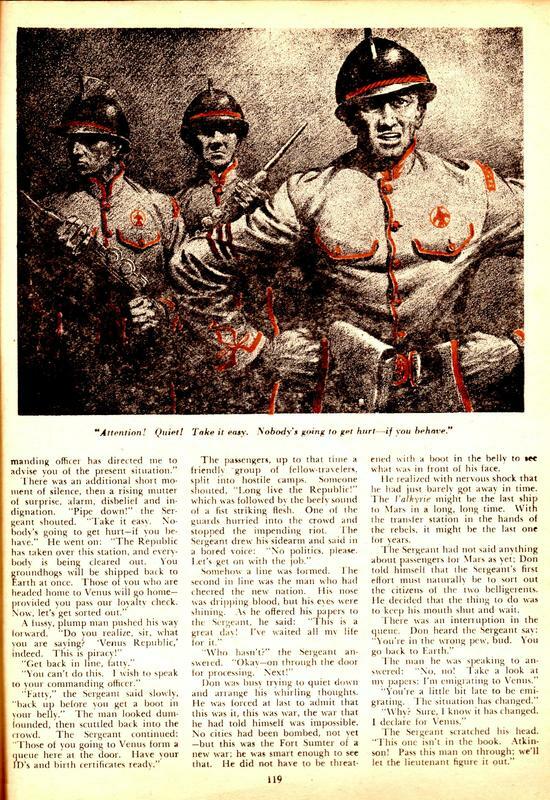 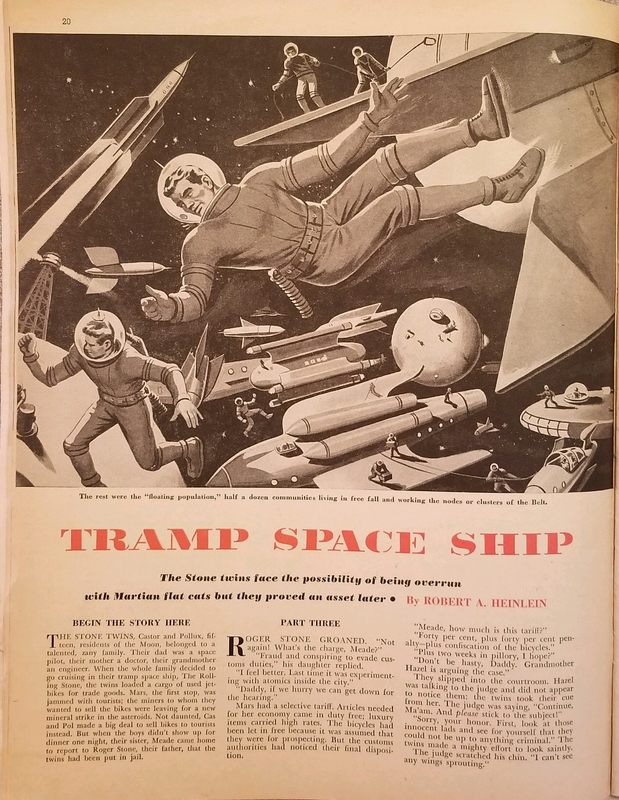 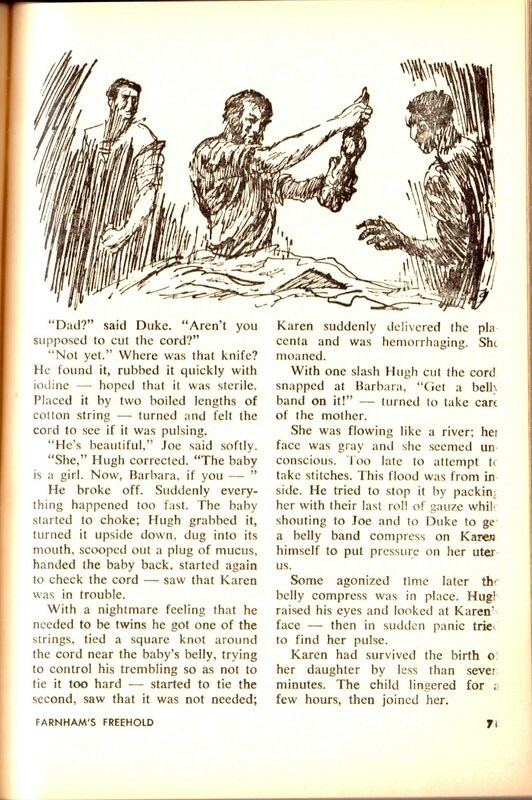 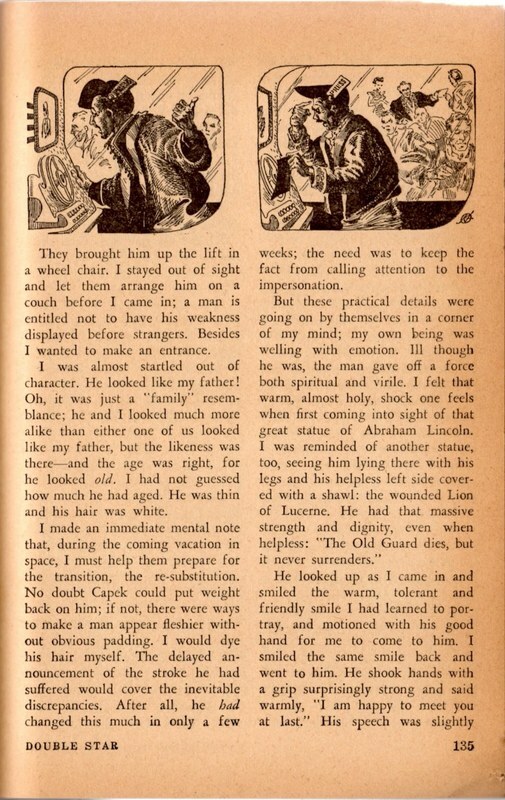 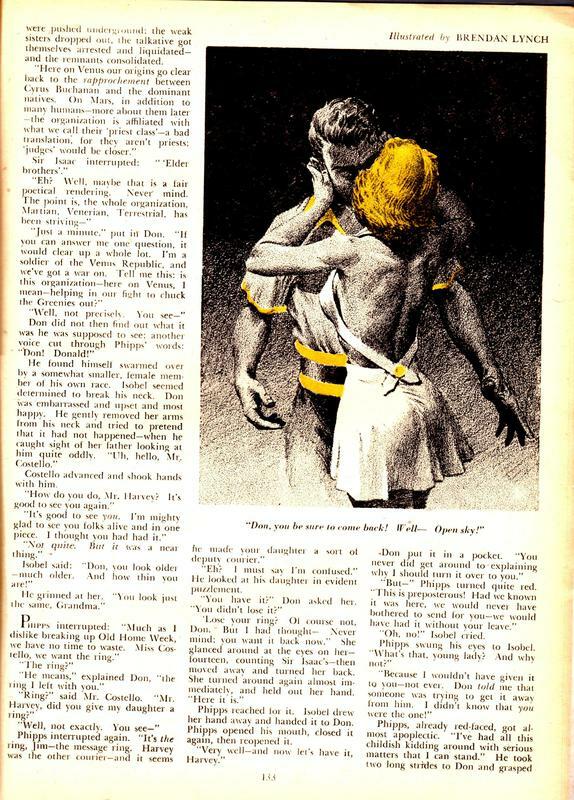 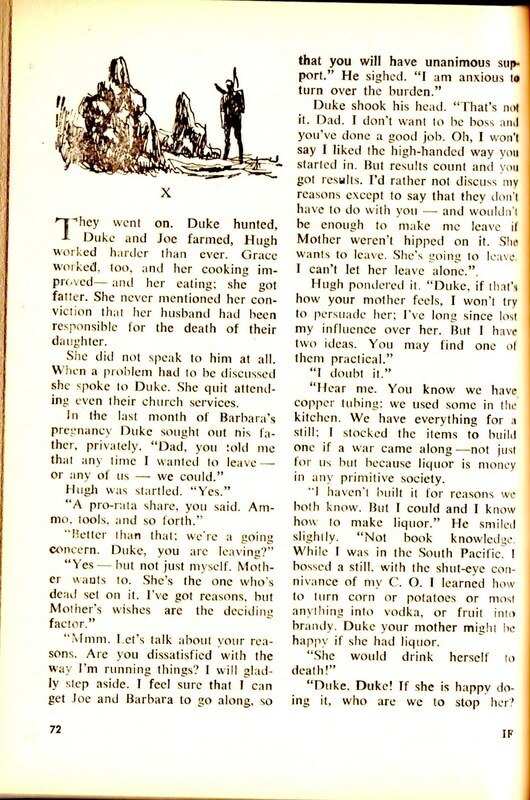 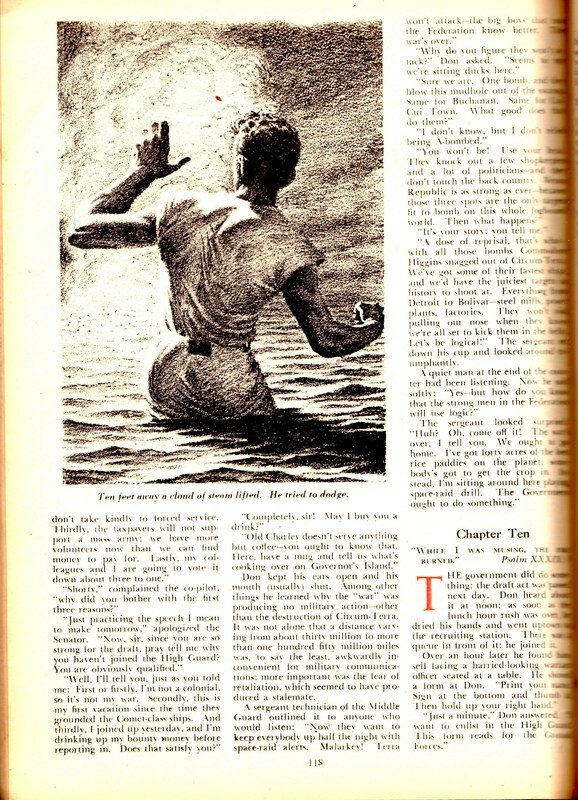 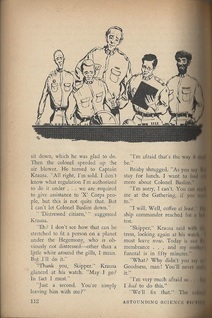 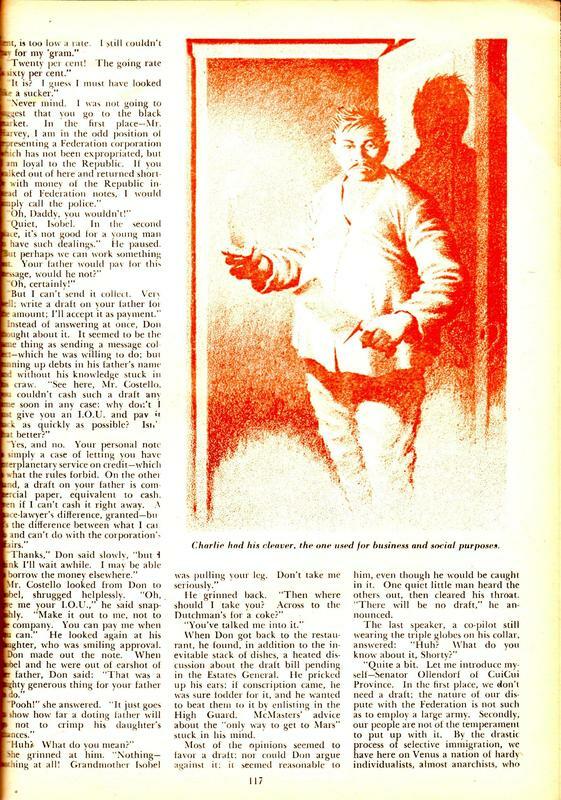 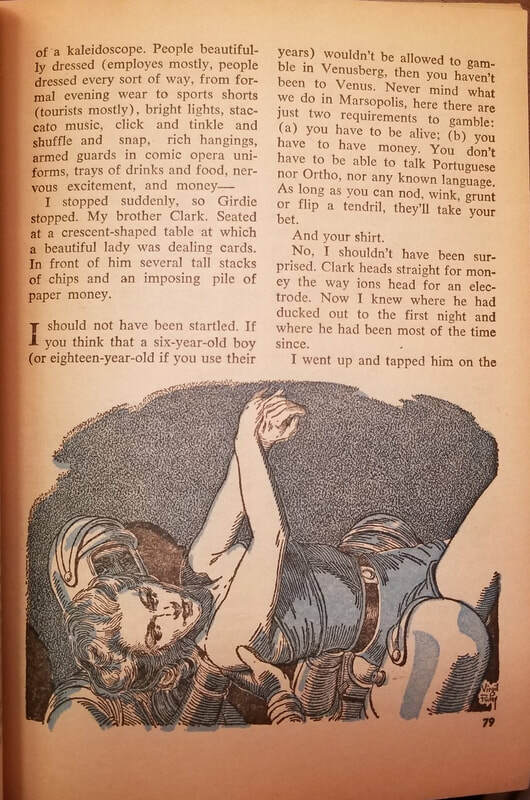 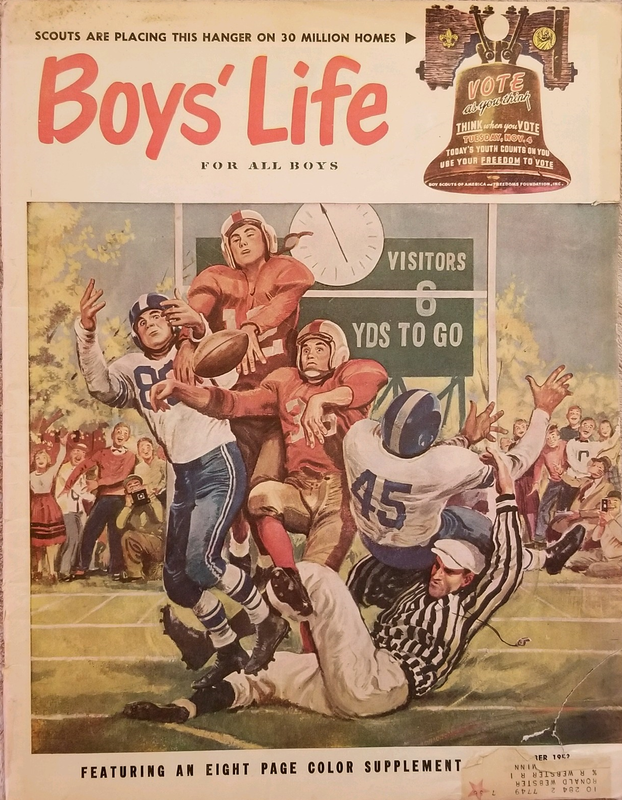 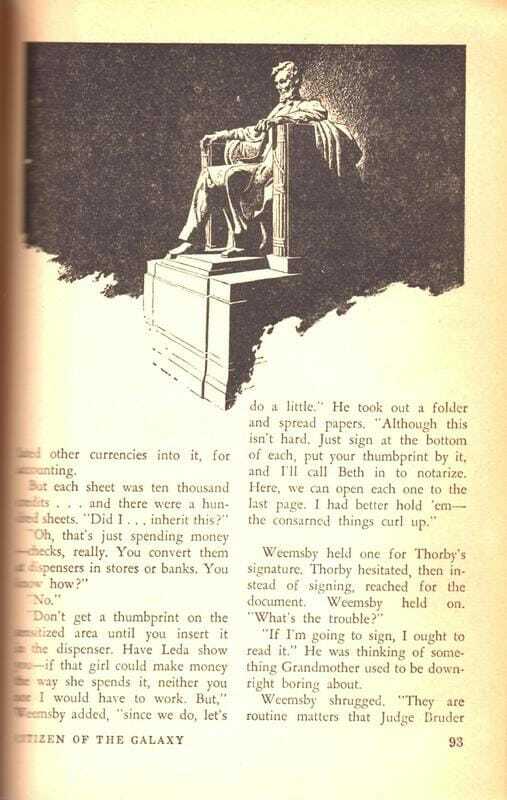 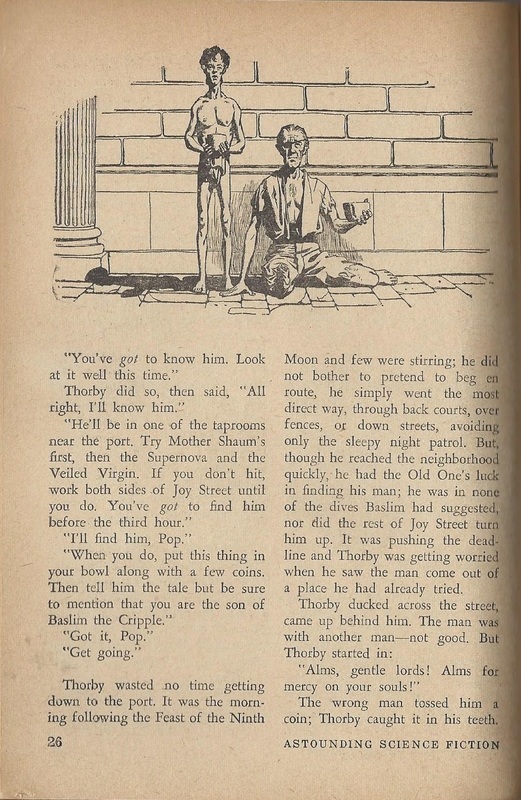 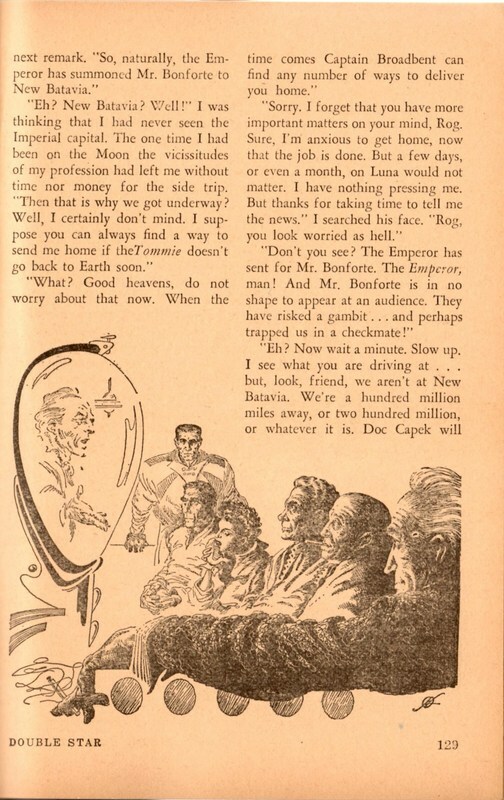 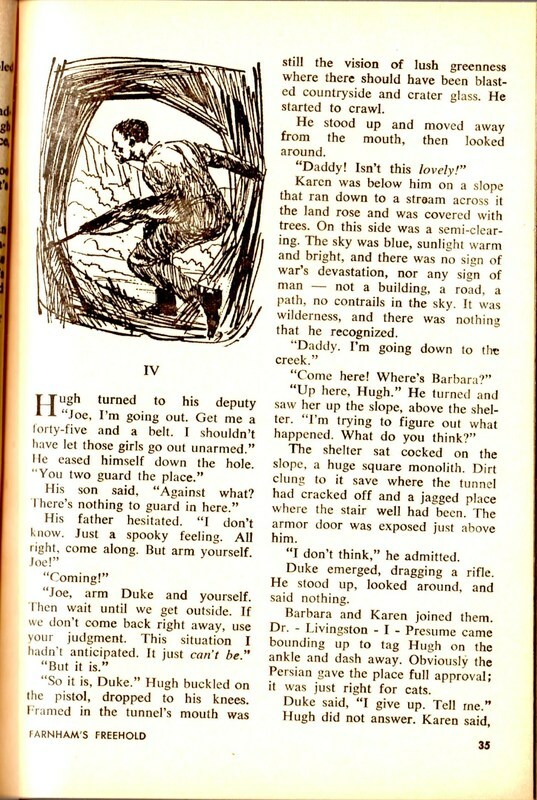 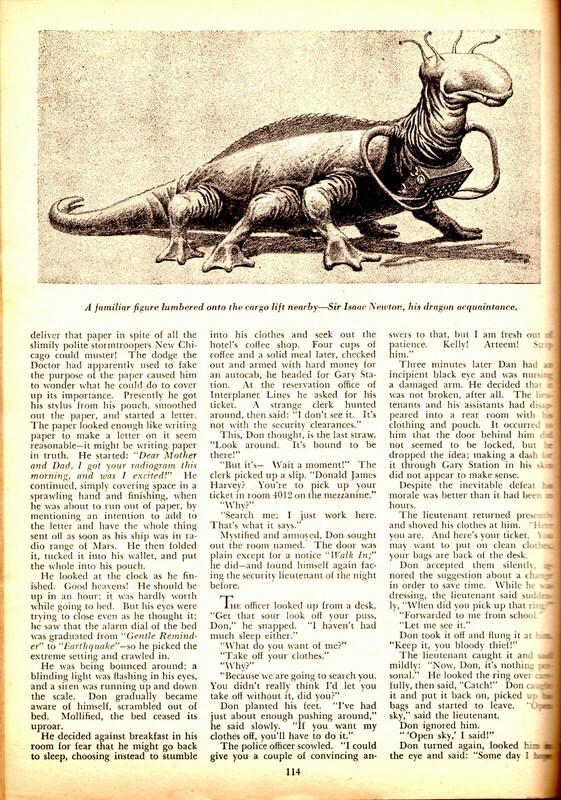 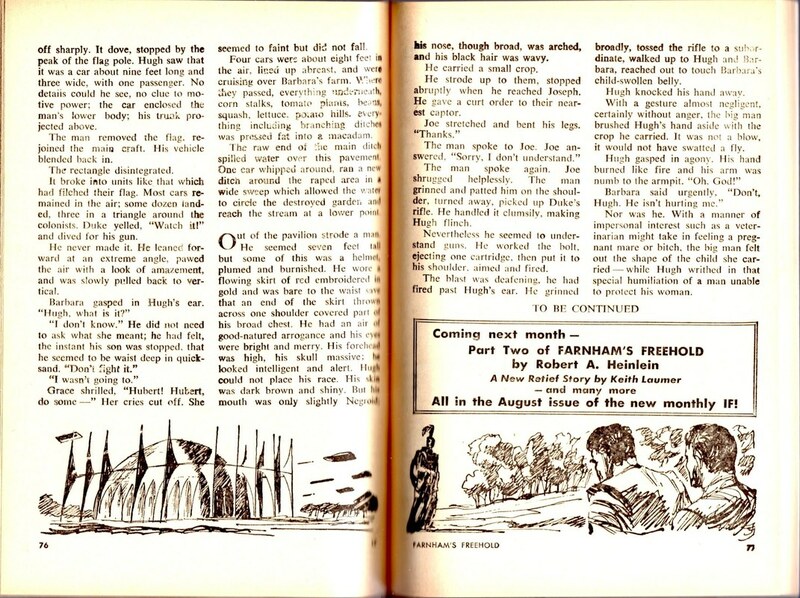 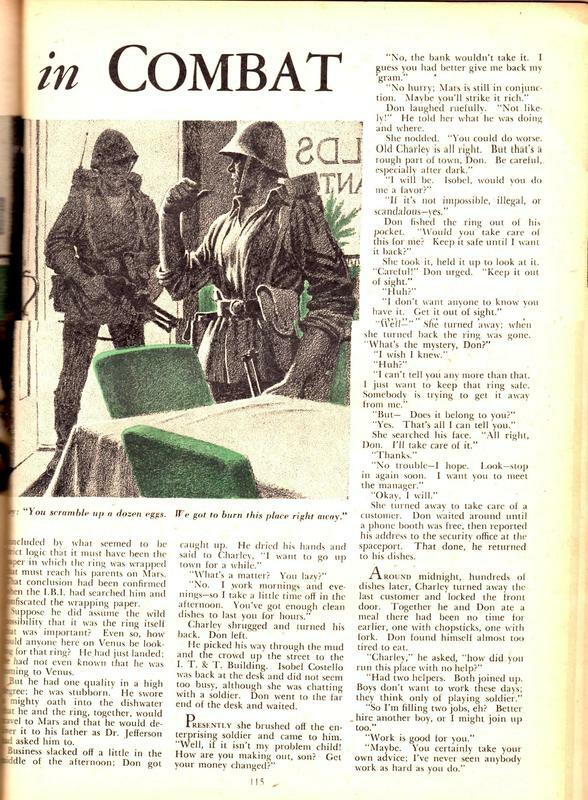 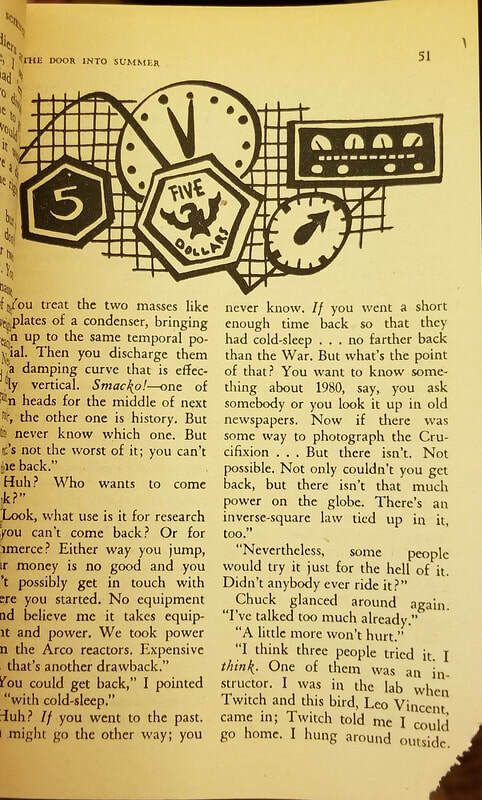 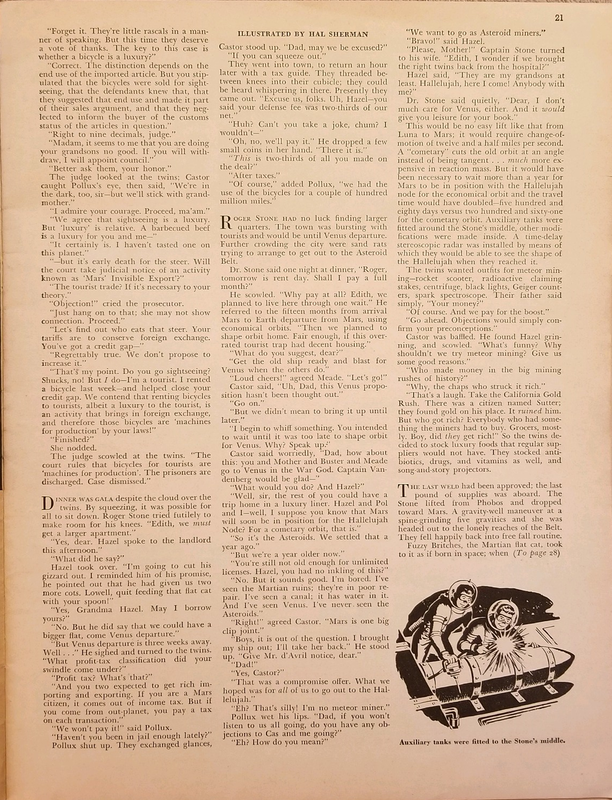 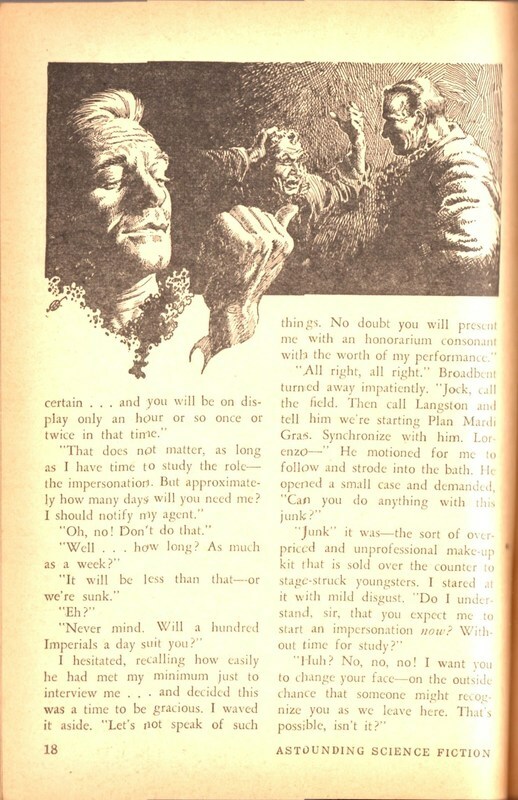 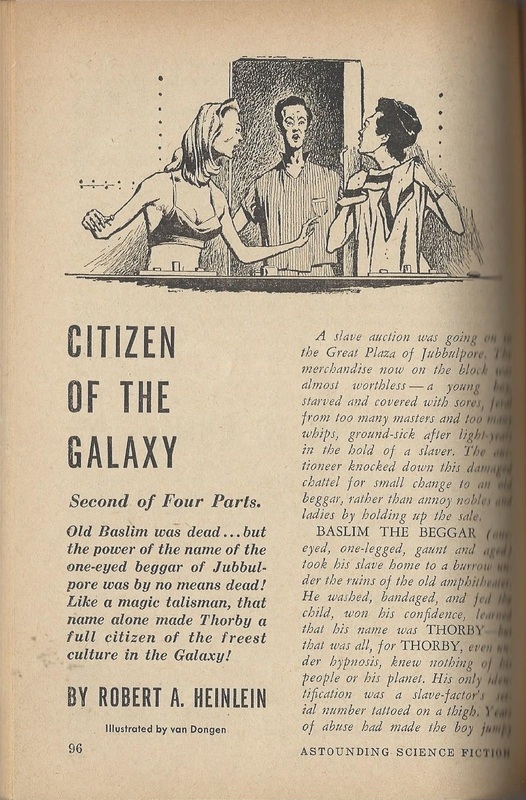 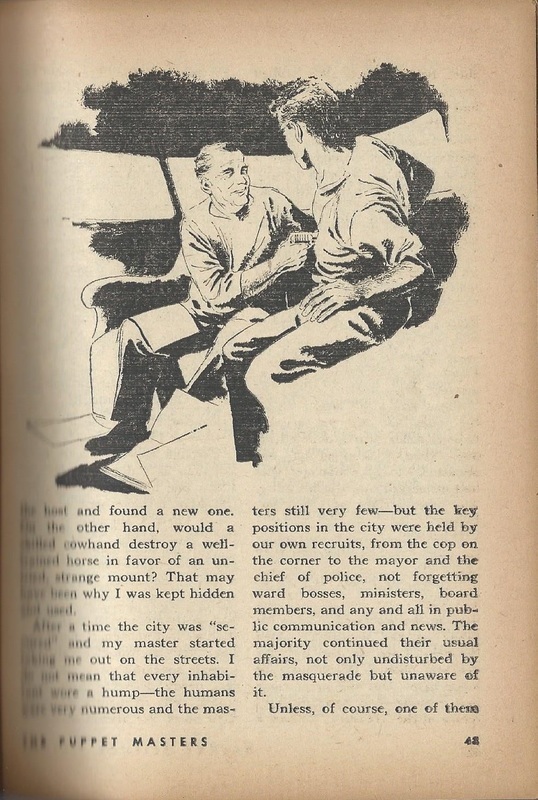 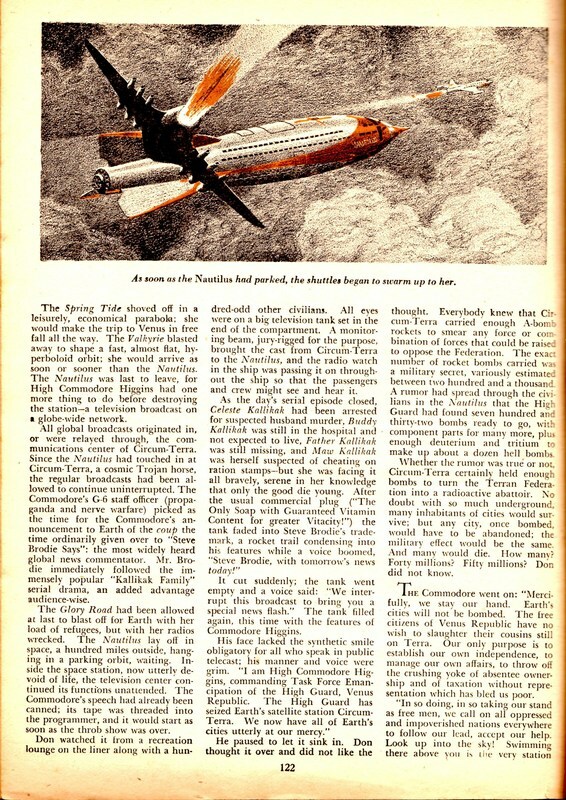 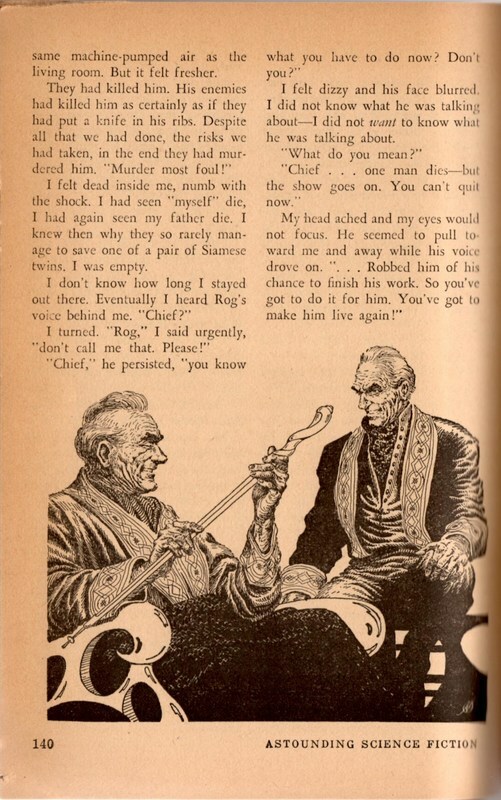 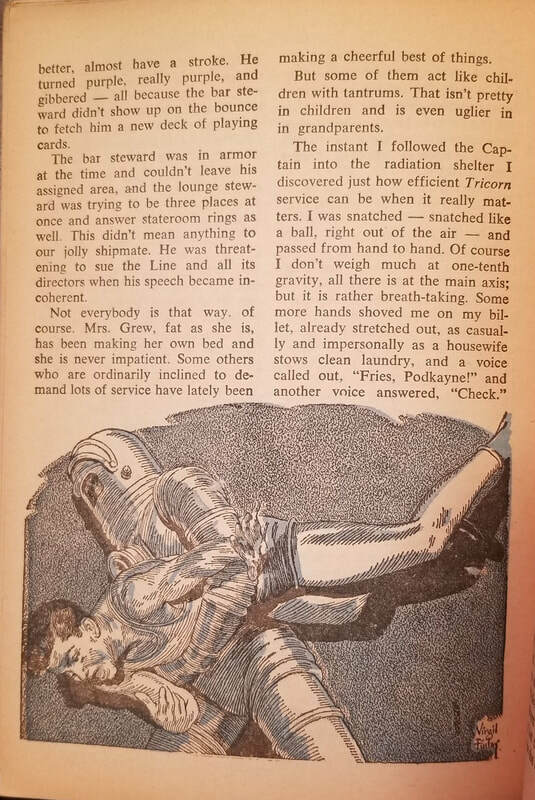 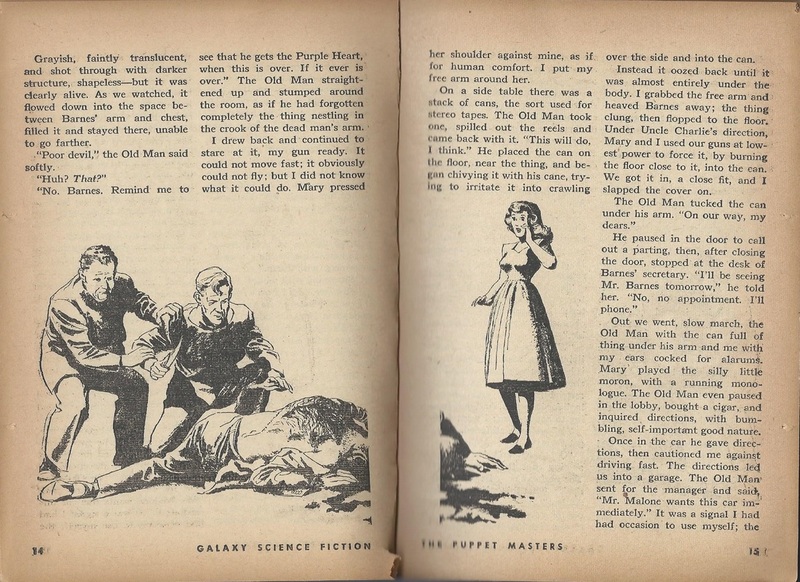 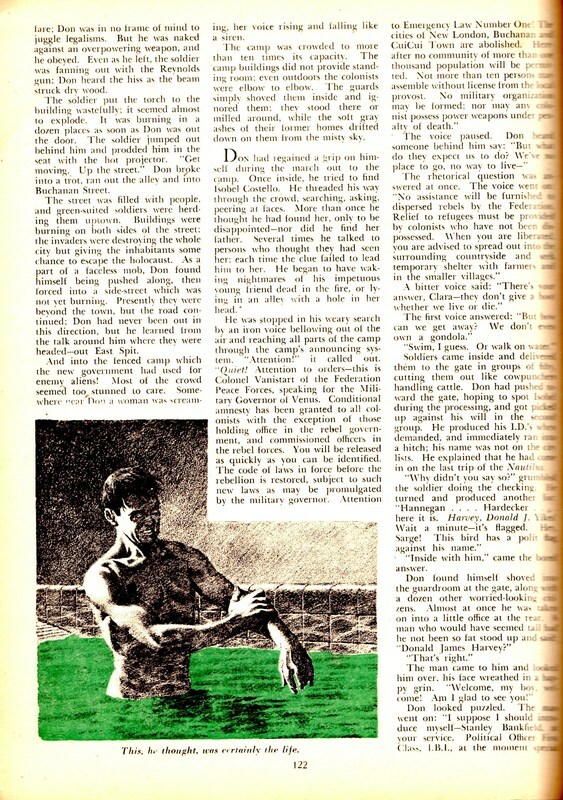 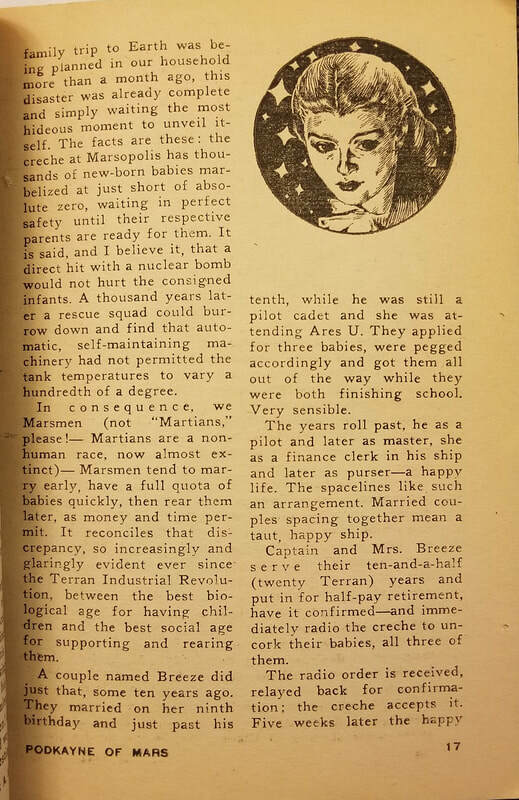 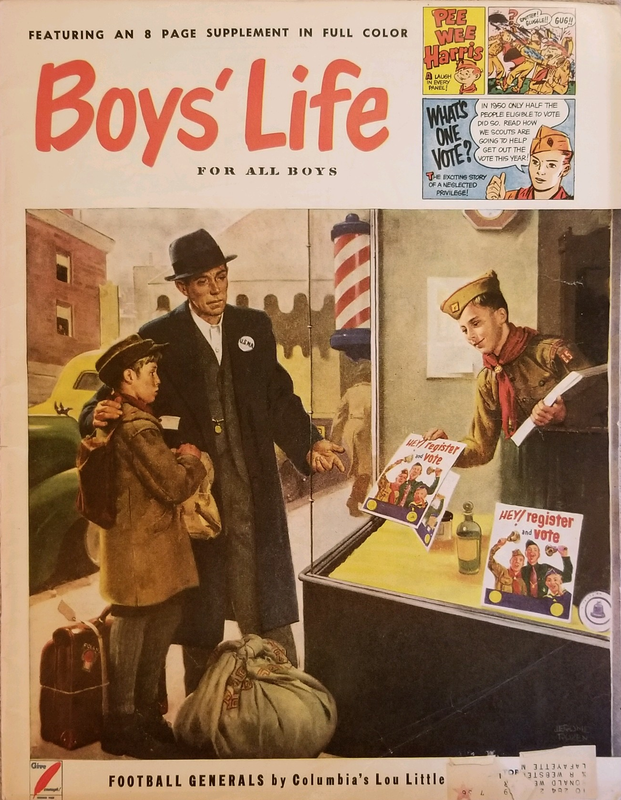 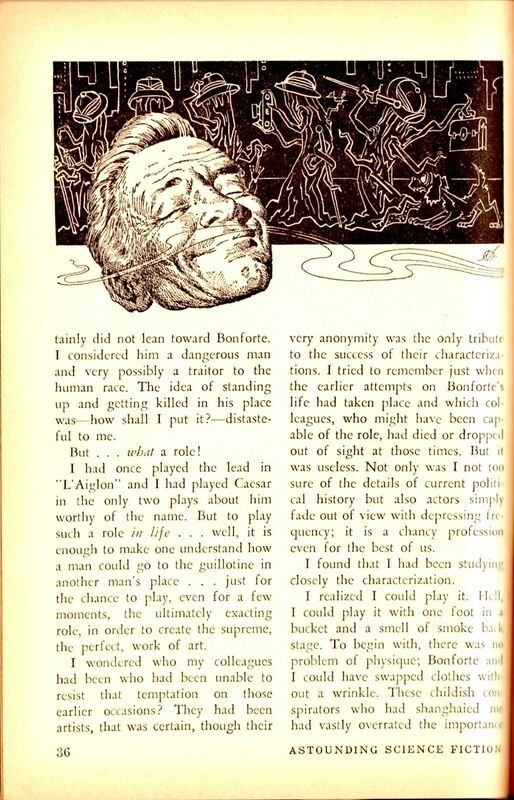 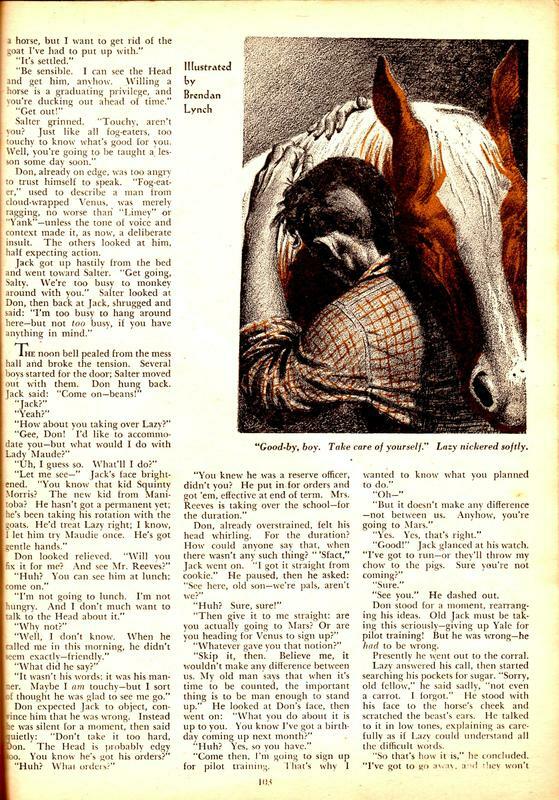 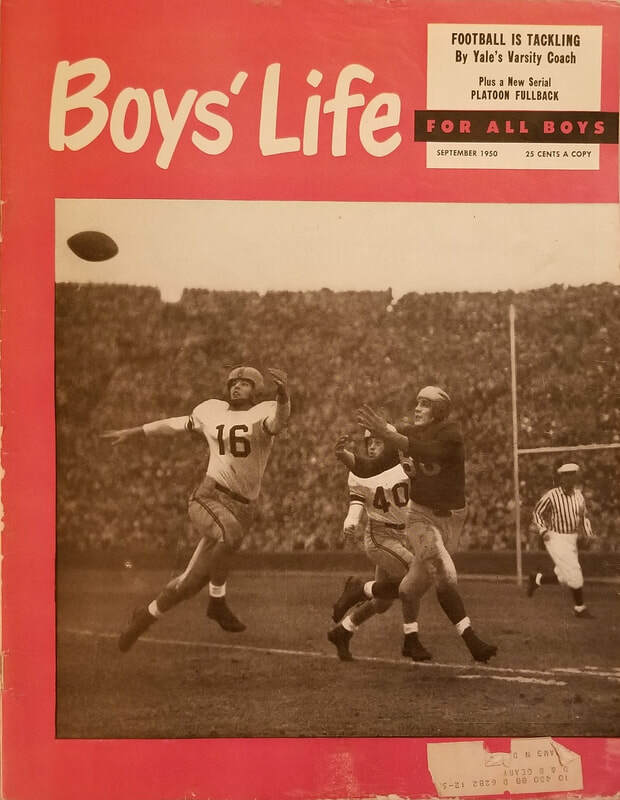 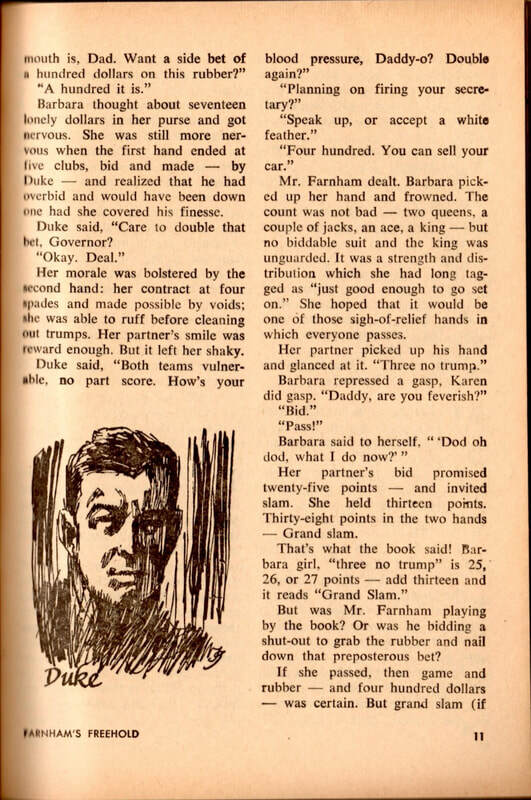 However, for the early magazine work, both stand-alone stories and novels serialized in the 1930s and 1940s—generally in periodicals of noticeably larger size—see my “Pulp Magazines” page. 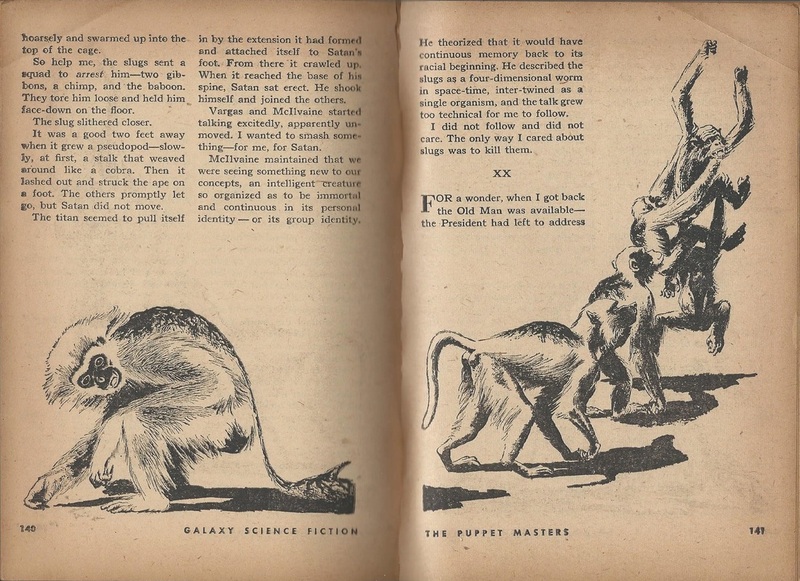 For the covers of various book printings of The Puppet Masters, see my “Earlier Adult Works” page. 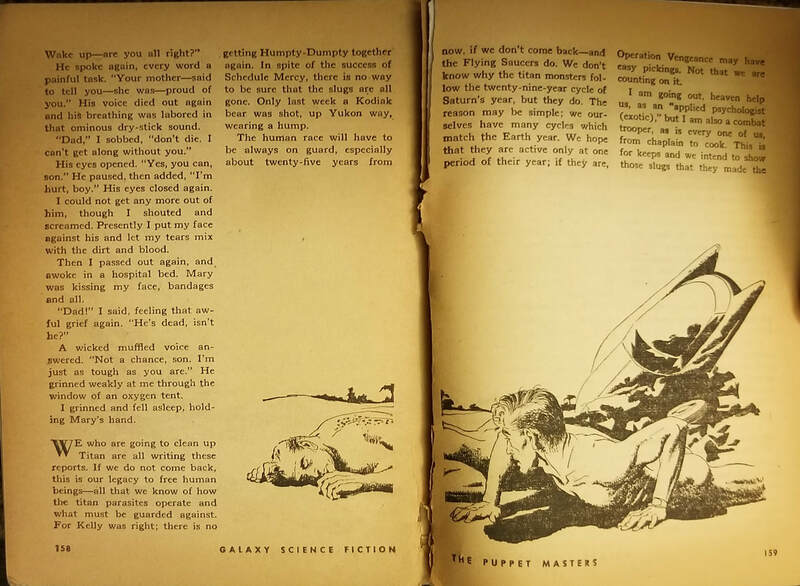 The August and September paintings are especially lovely, and of course scrupulously faithful to the text. 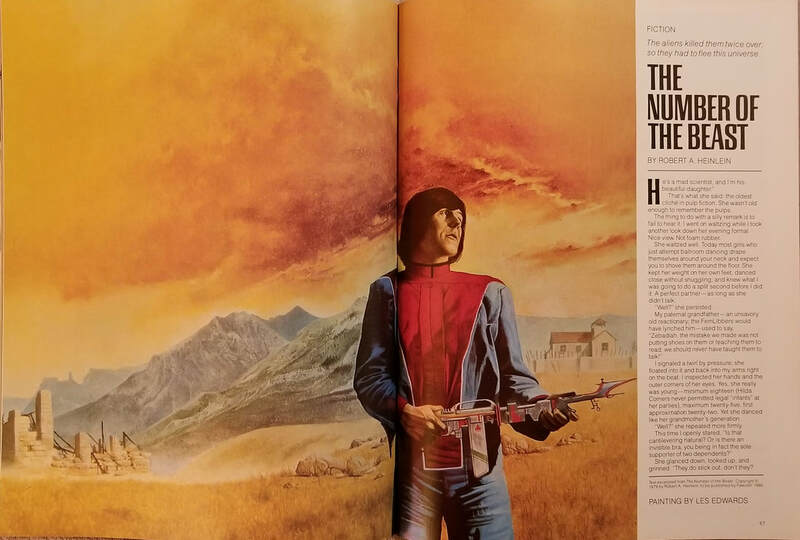 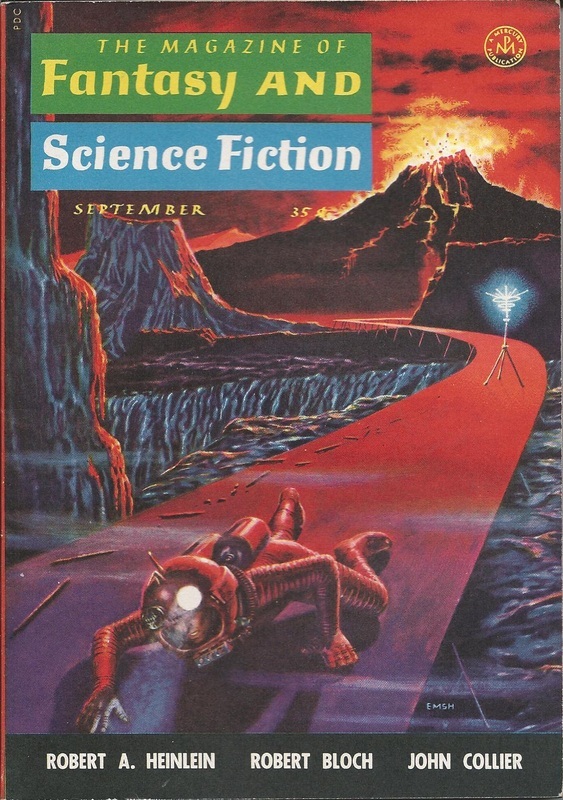 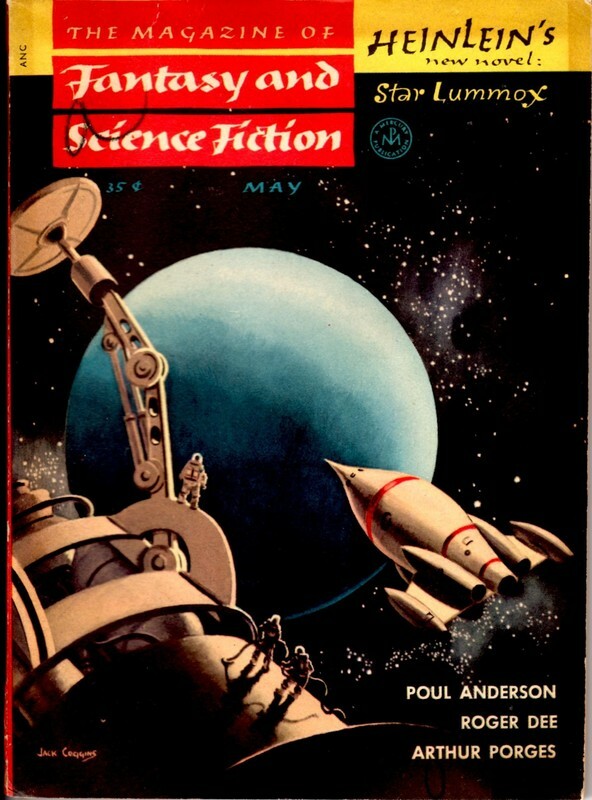 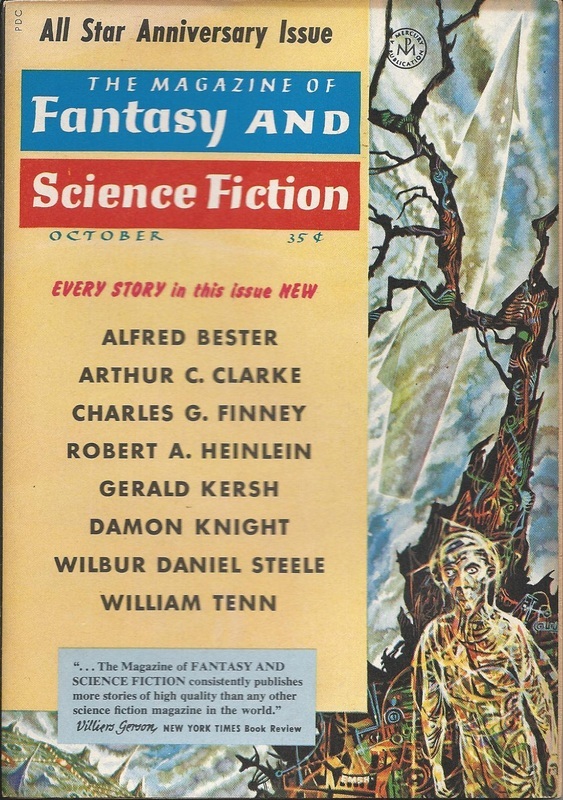 Unfortunately, The Magazine of Fantasy and Science Fiction​ by this period does not have interior art anymore. 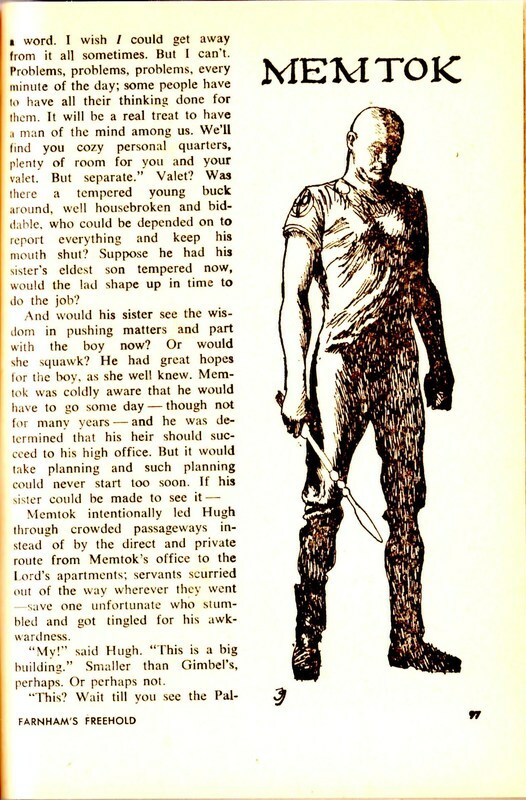 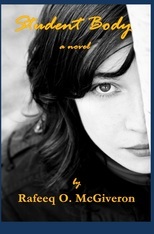 Various covers of the novel of course appear on my “Scribner’s YA/Juveniles” page. 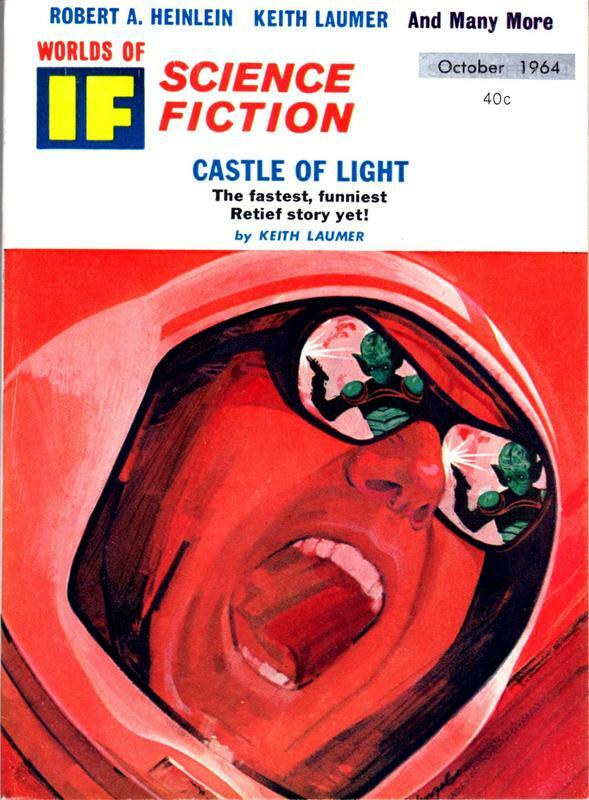 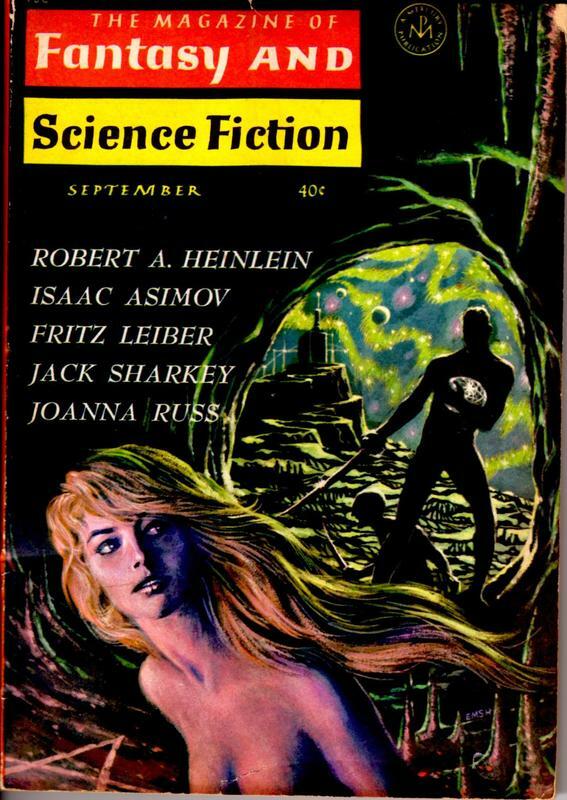 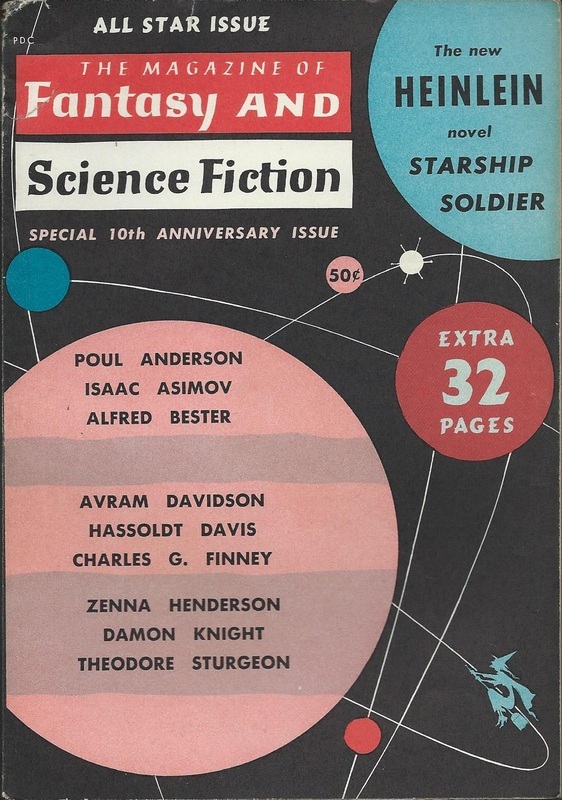 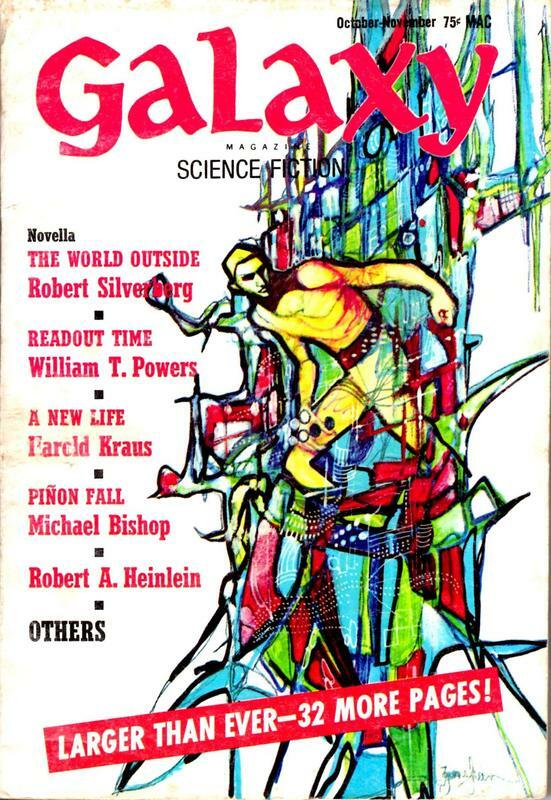 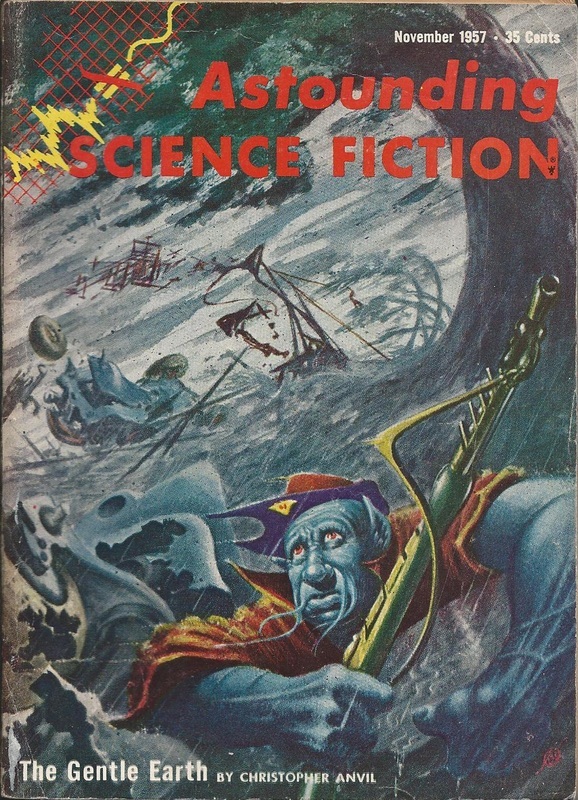 The colorful November 1959 cover of F&SF by Emshwiller is gorgeous. 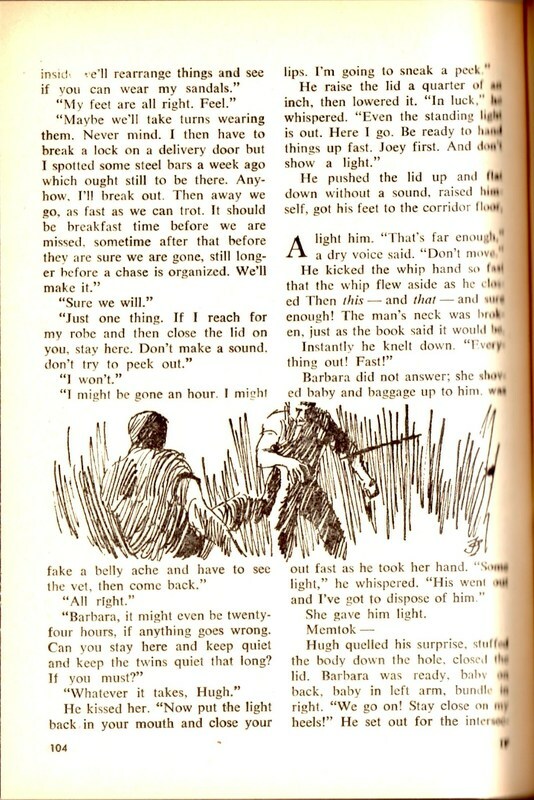 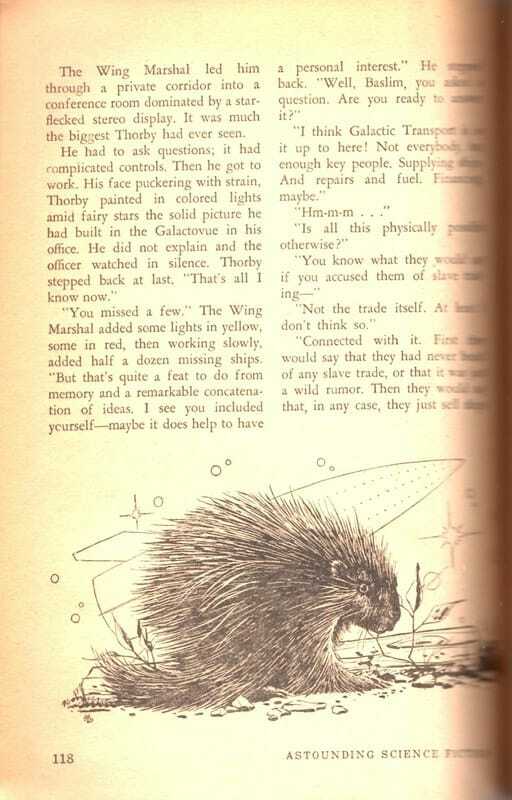 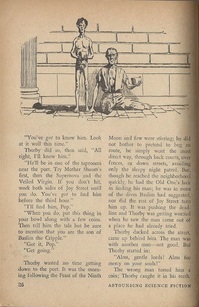 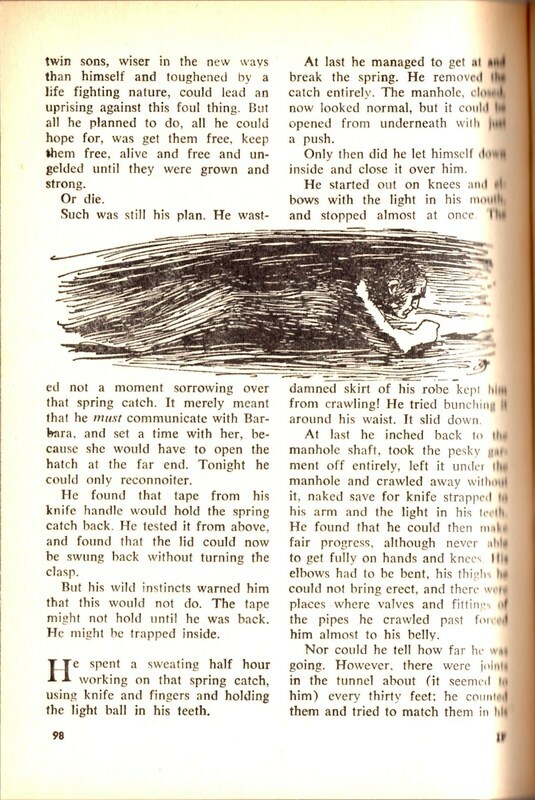 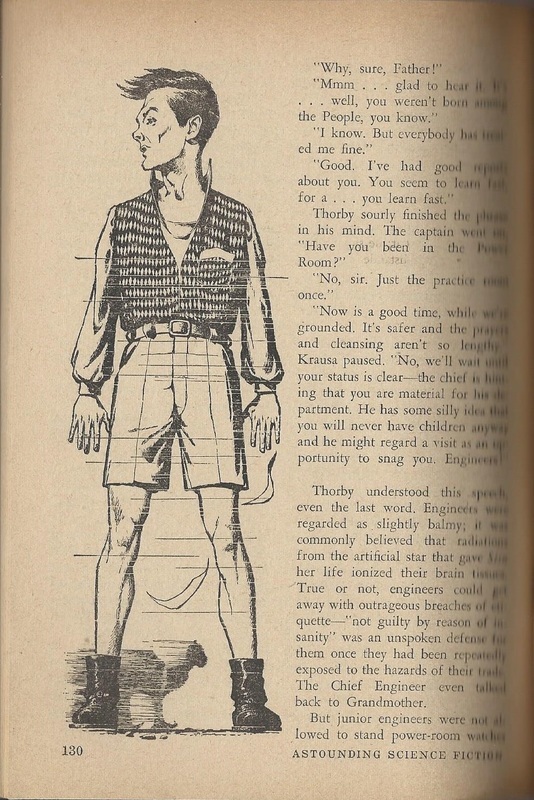 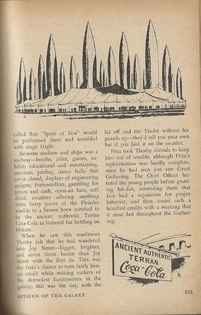 Again, however, neither has interior illustrations. 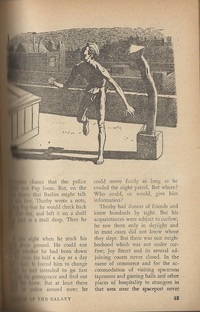 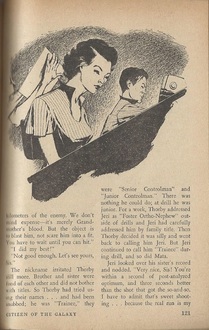 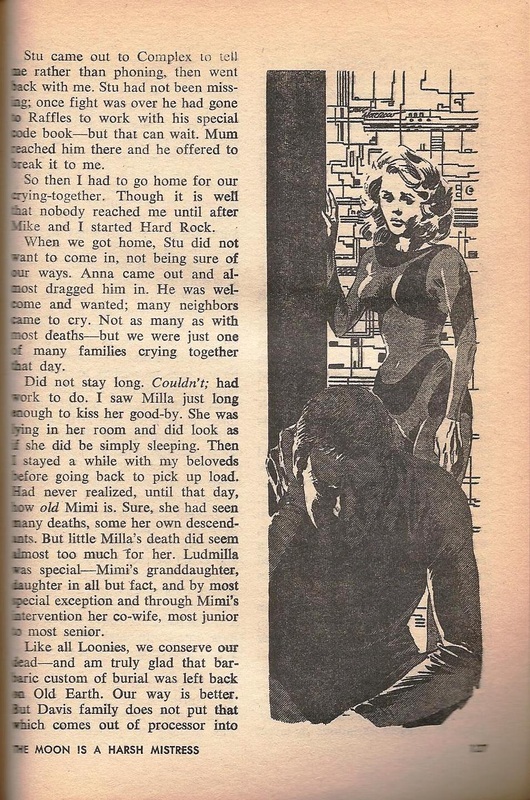 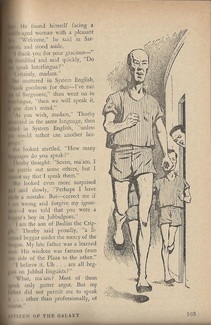 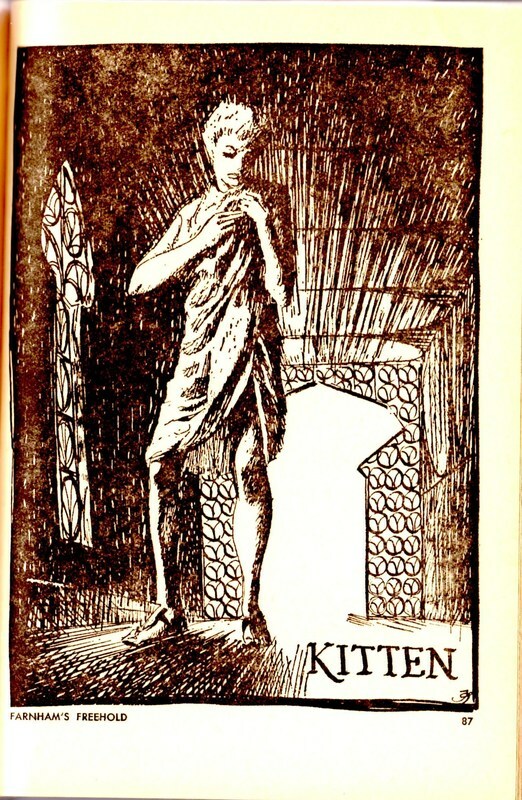 For covers of various editions of the novel, see “Scribner’s YA/Juveniles”; some may not consider it a juvie, but it was indeed written for that series. 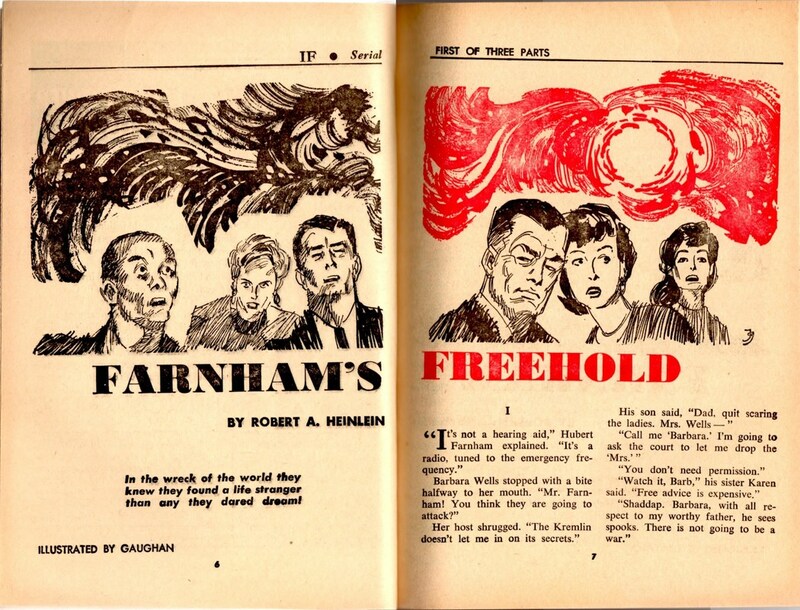 Even though it’s a young-adult novel, it wasn’t written for Scribner’s, so the novel’s covers are shown at my “Later Works” page. 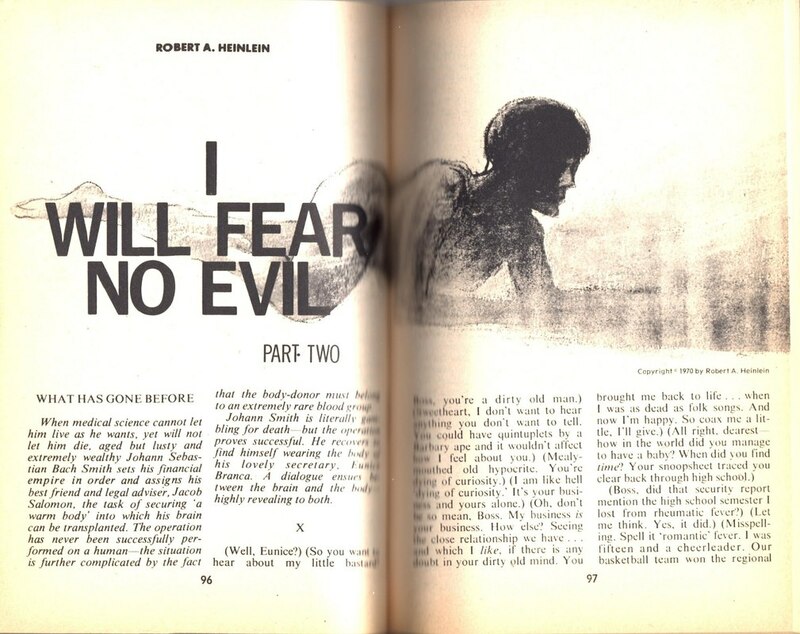 For covers of I Will Fear No Evil when published as a novel, see my “Later Works” page.